Azul Beach Hotel is a family-friendly, boutique-style property located on a gorgeous beach 20 minutes from Cancun International Airport. 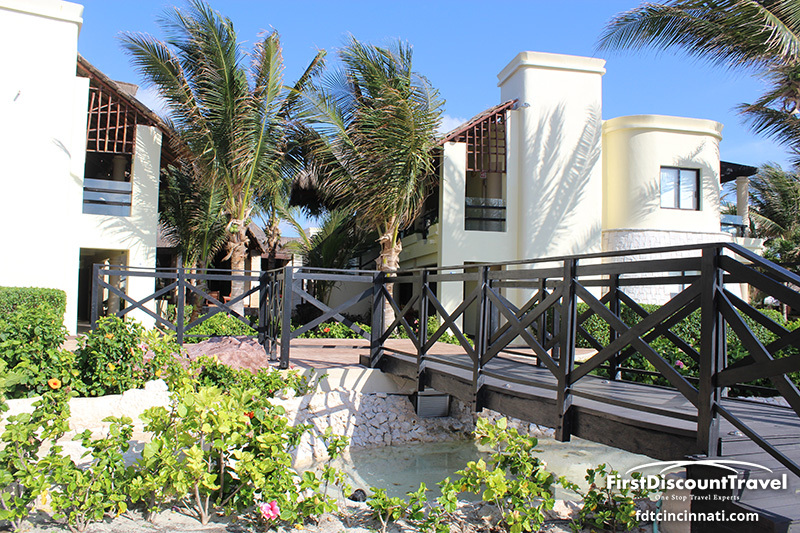 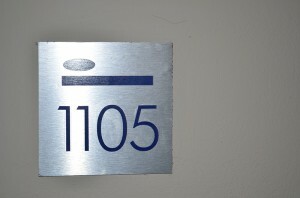 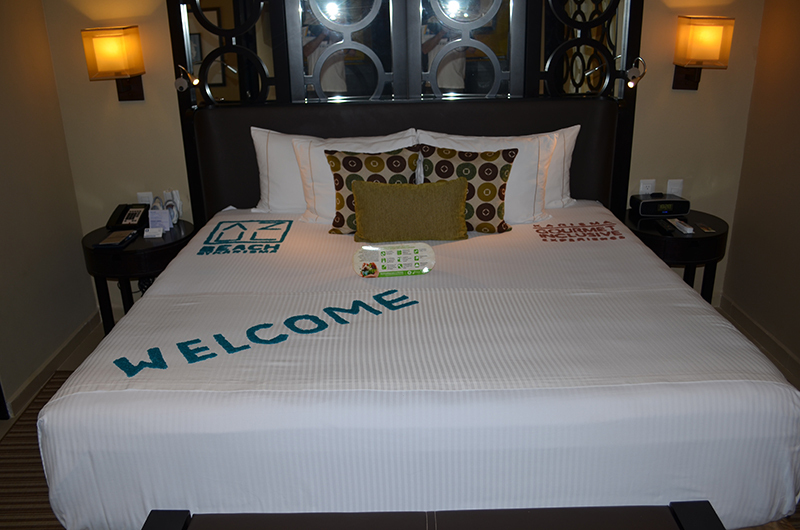 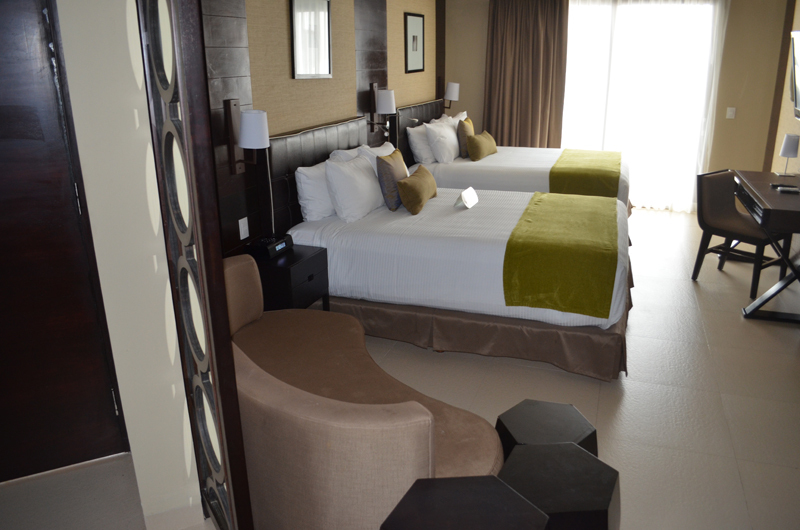 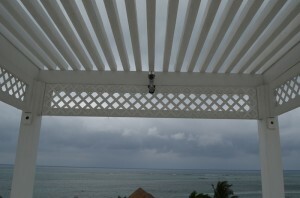 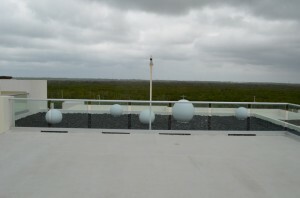 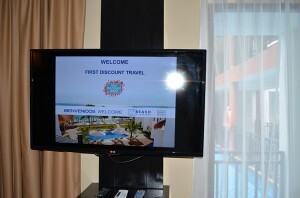 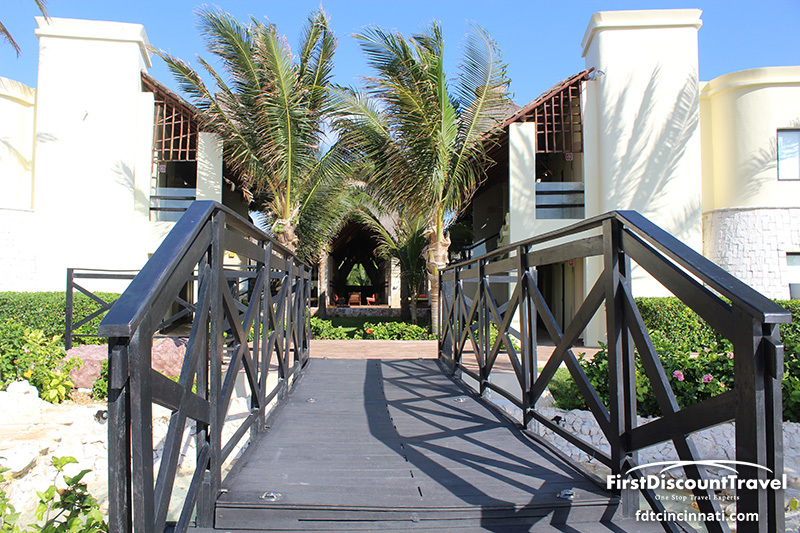 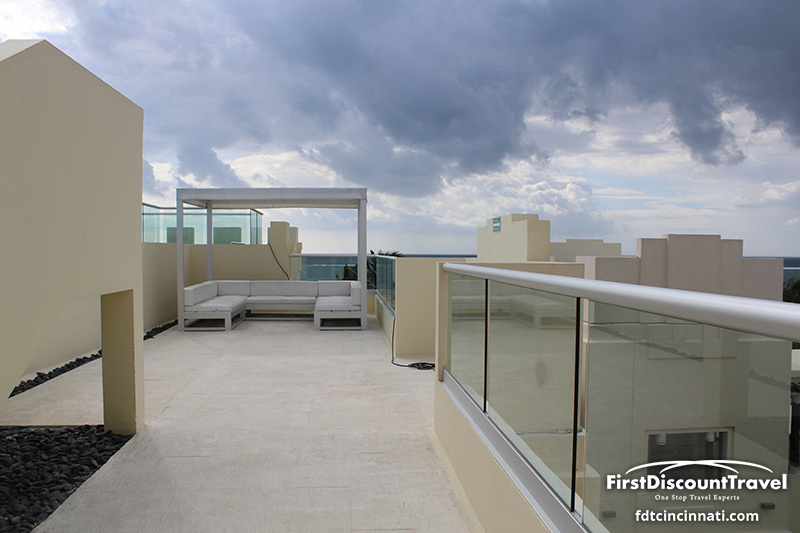 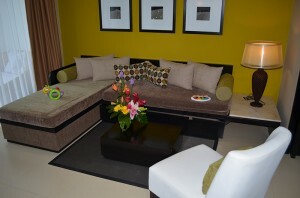 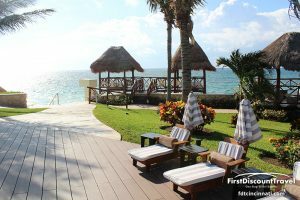 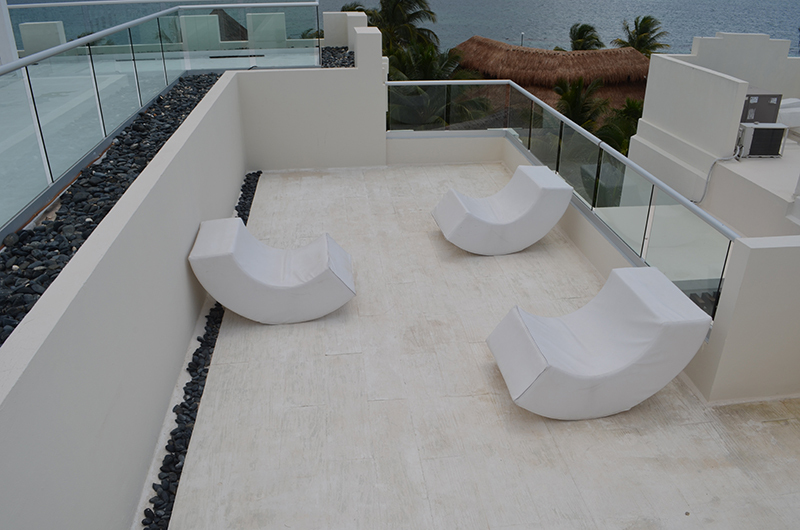 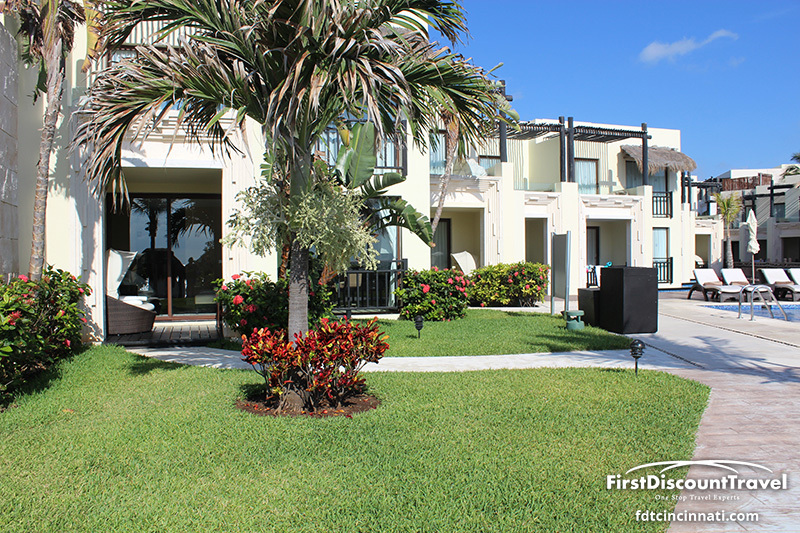 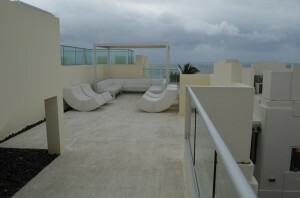 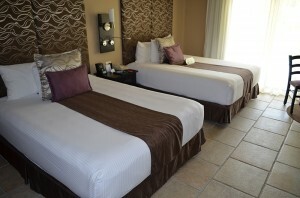 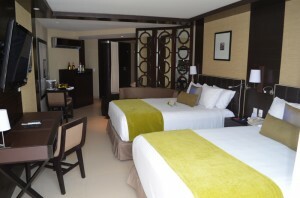 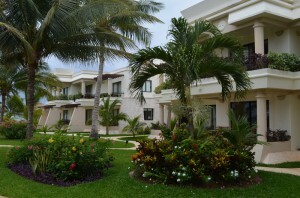 All of the newly renovated 148 rooms are just steps from the beach, pools, restaurants and bars. Featuring the Gourmet Inclusive concept, epicurean offerings include candlelight dining on the beach, a fresh fish fry and butler service to the canopied beach beds. 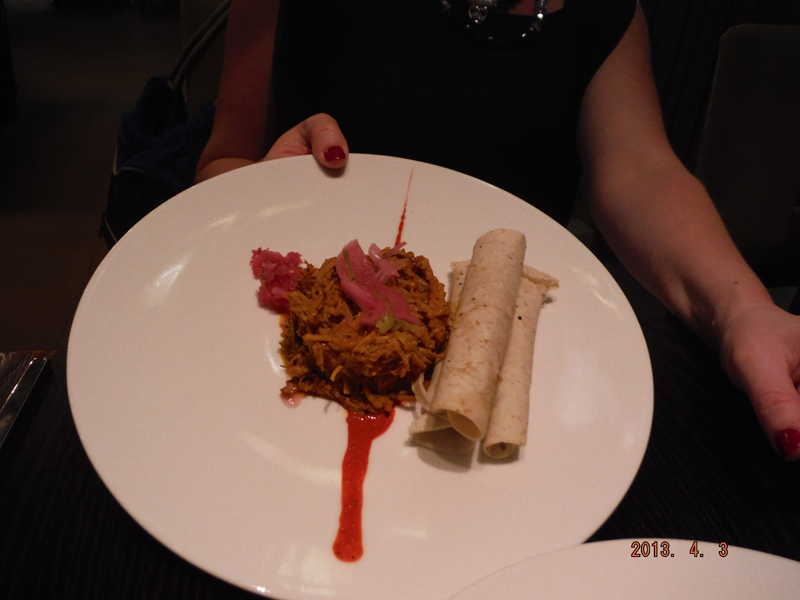 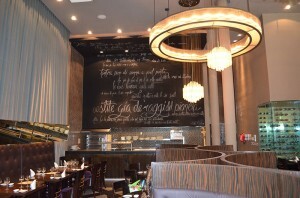 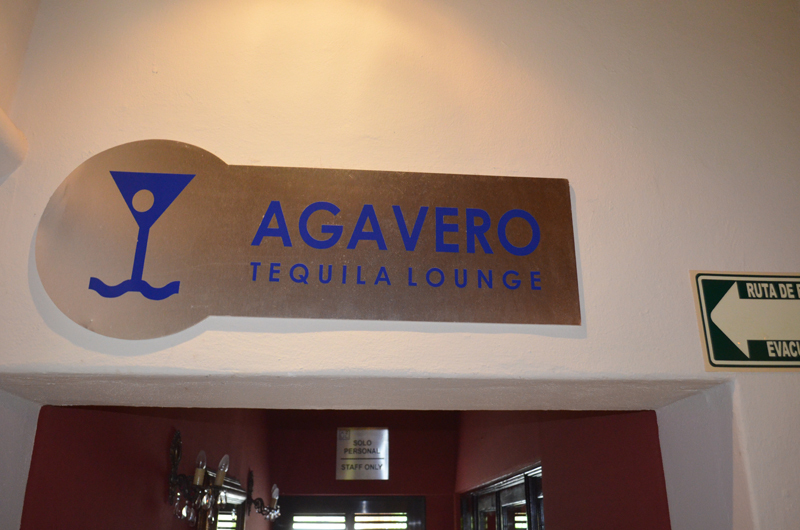 There’s an all-lobster menu, 24-hour room service and over 30 tequilas in the tequila lounge. 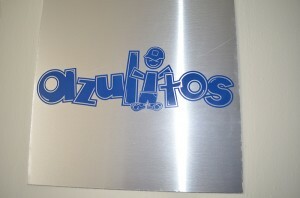 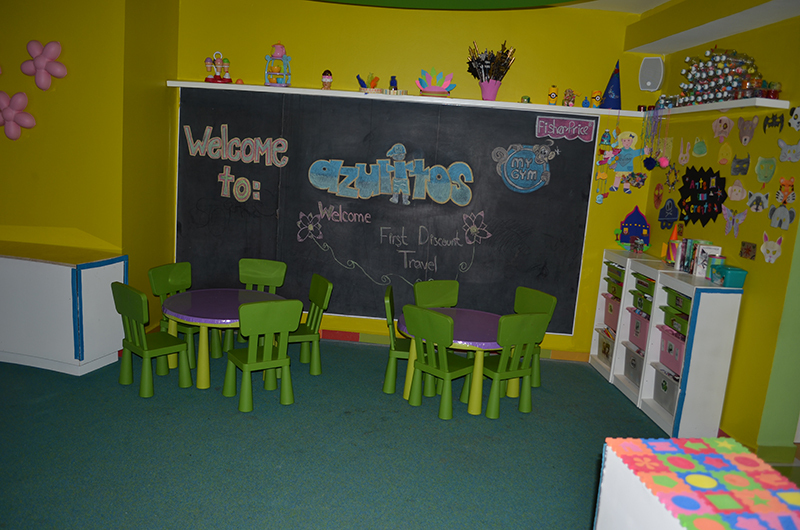 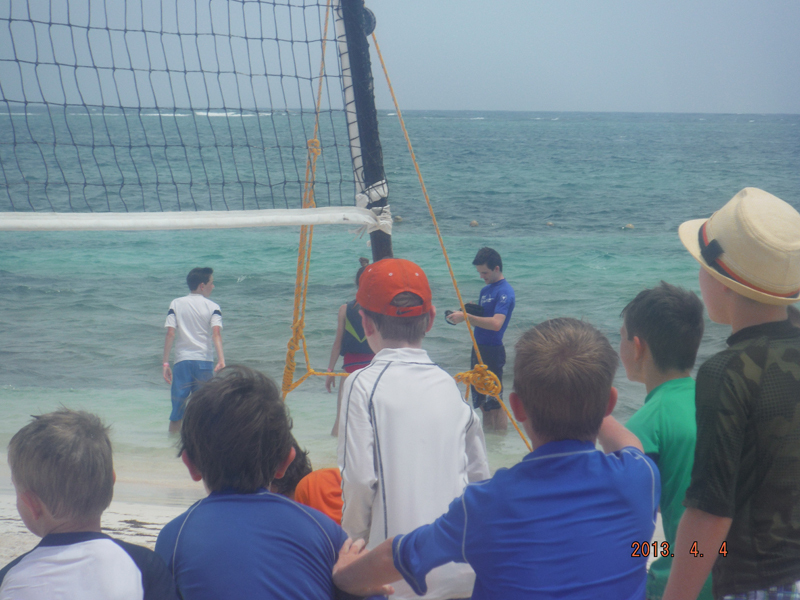 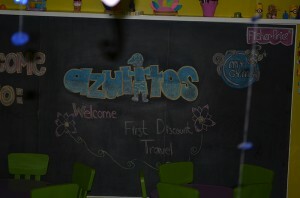 Azul Beach especially caters to families with young children with loaner baby equipment, kid's club and parent support. 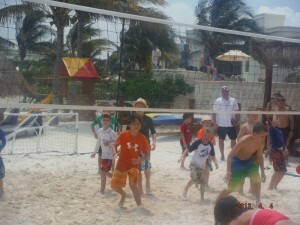 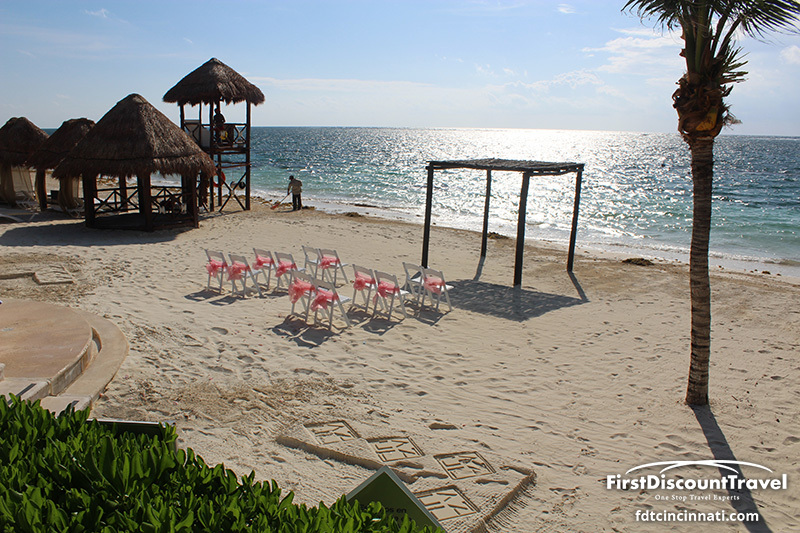 The exclusive Family & Friends Vacation Planner coordinates family reunions. 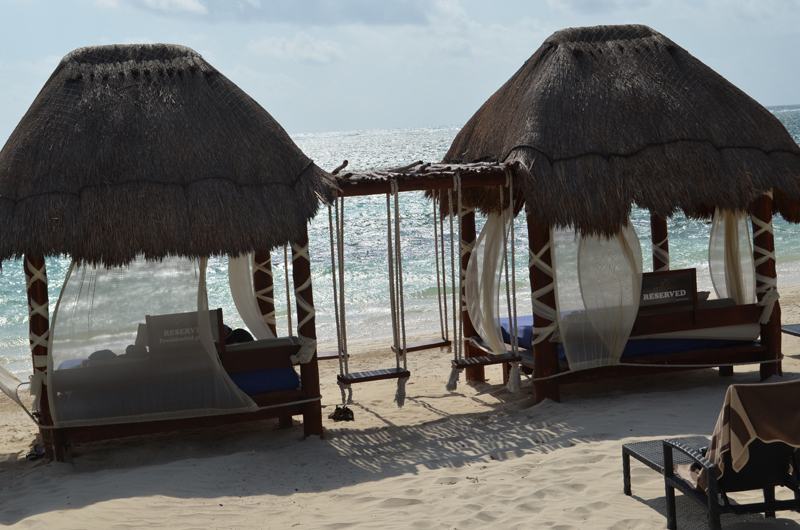 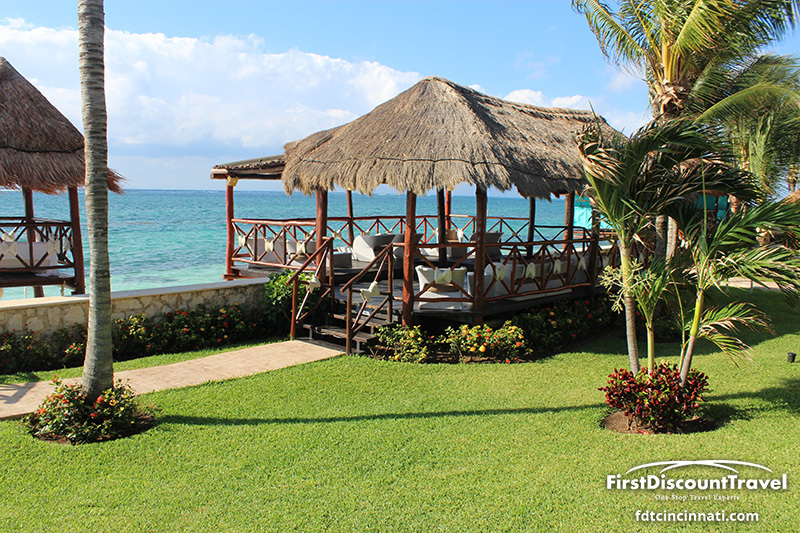 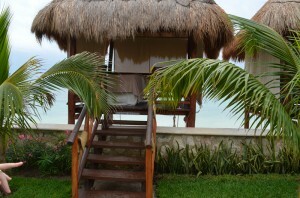 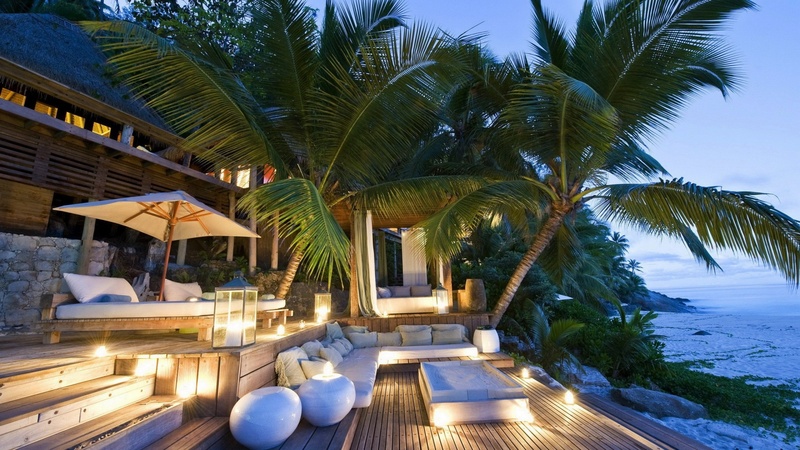 Romantic couples love Beachfront Sky Massages and Suite Scenes. 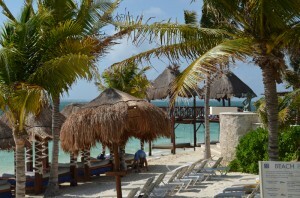 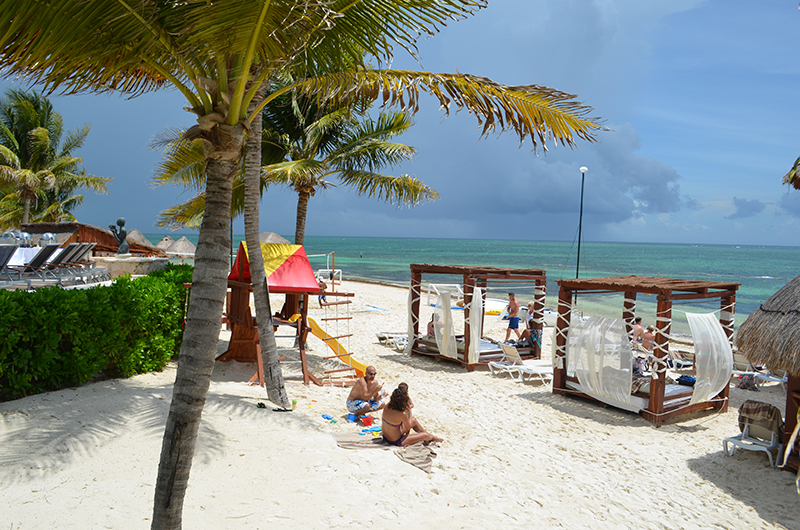 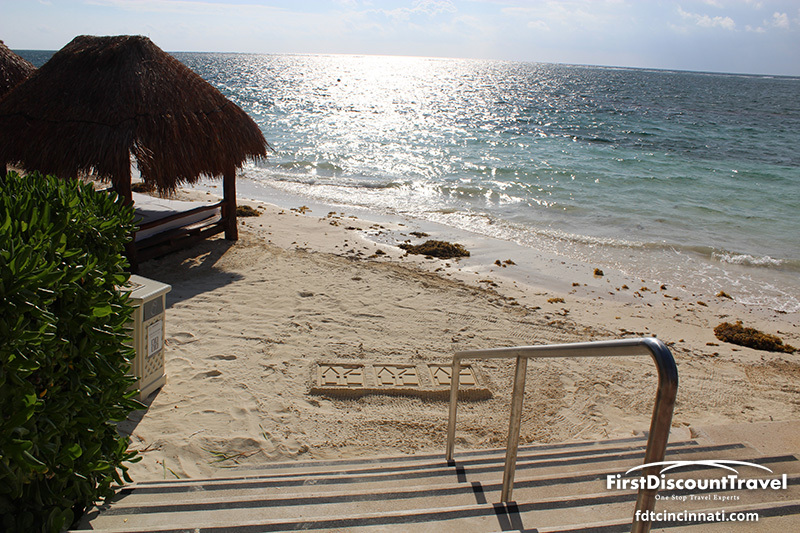 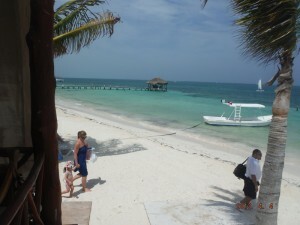 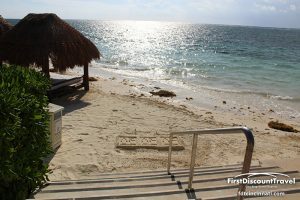 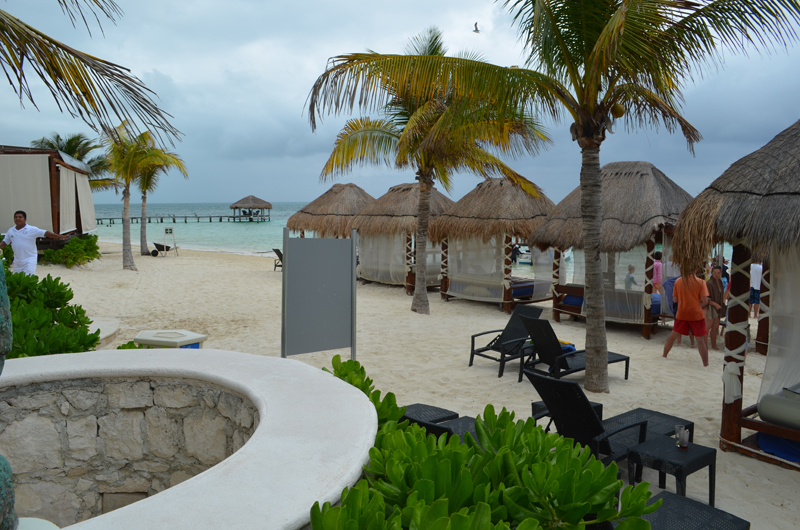 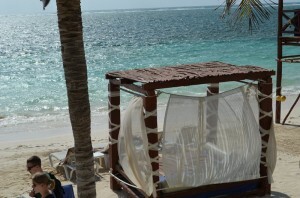 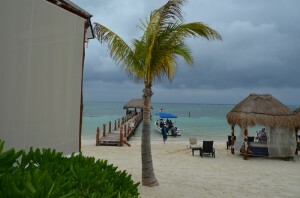 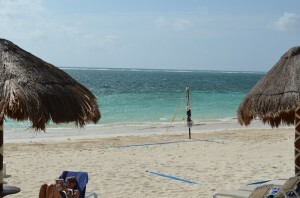 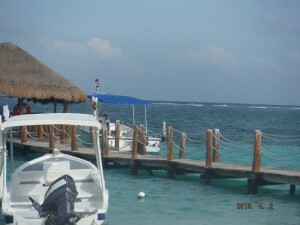 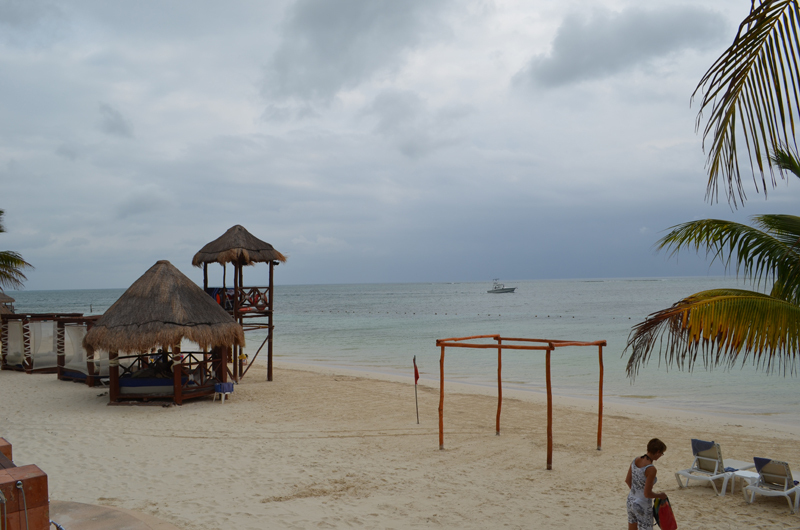 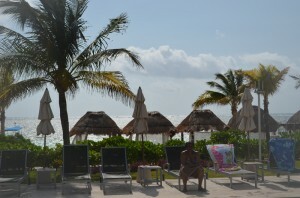 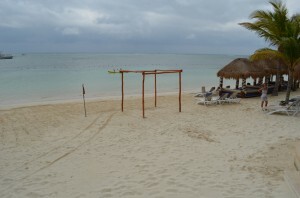 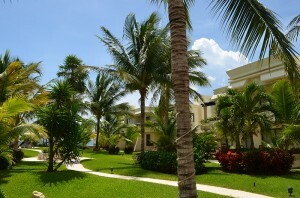 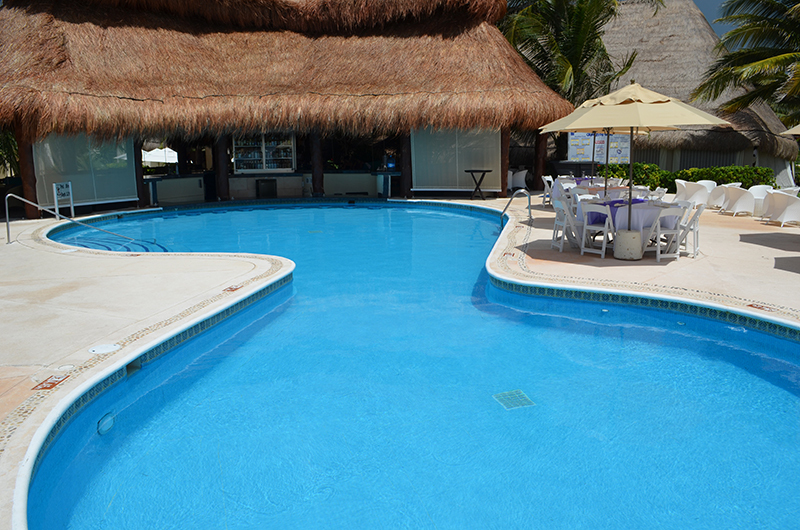 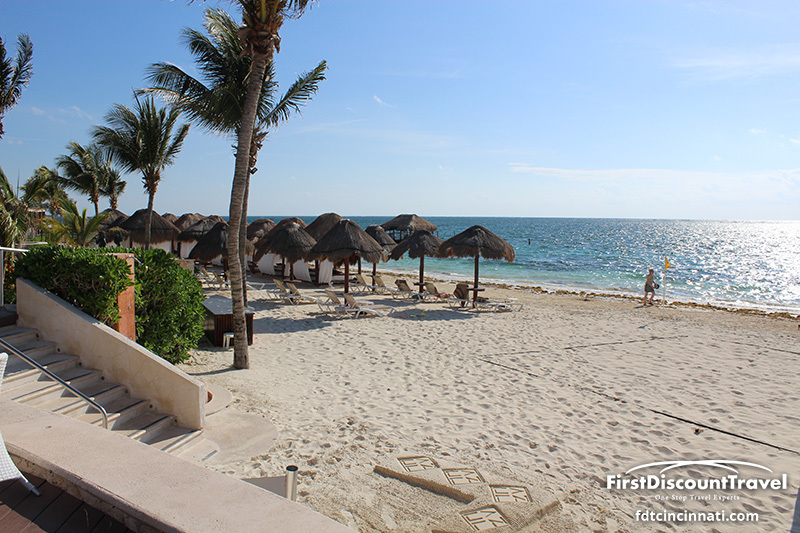 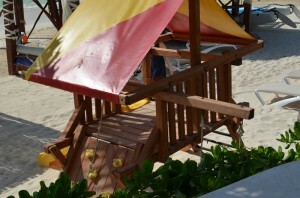 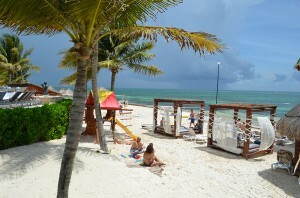 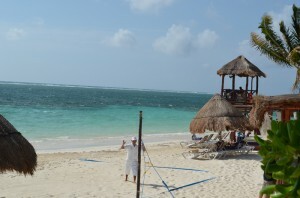 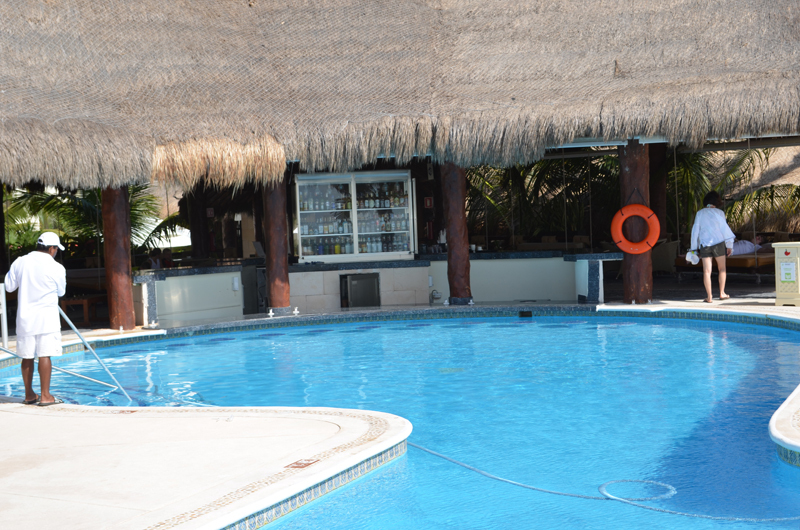 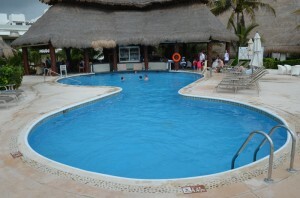 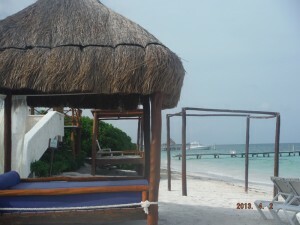 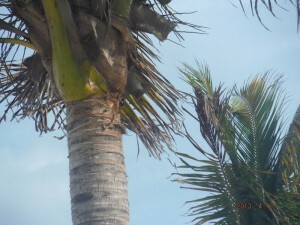 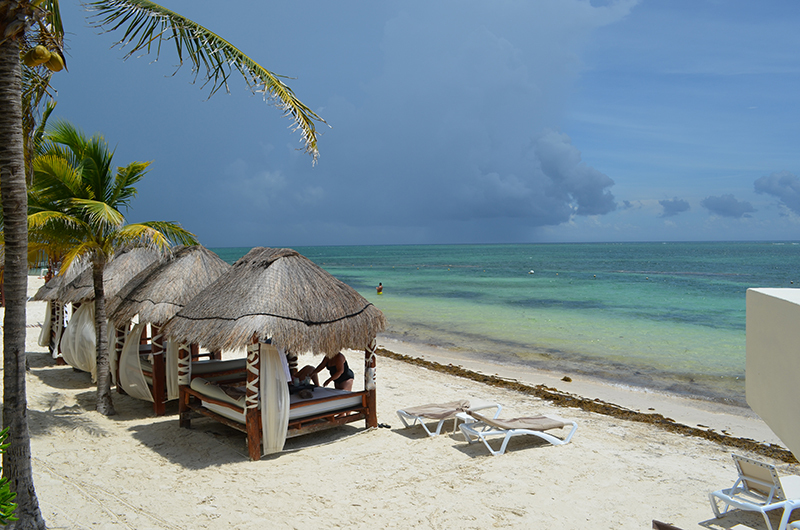 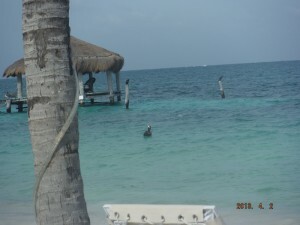 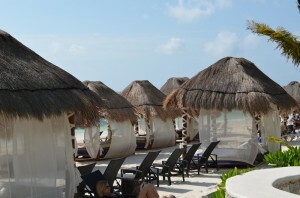 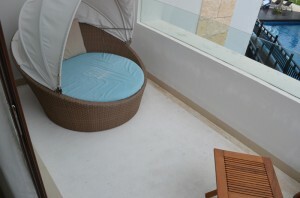 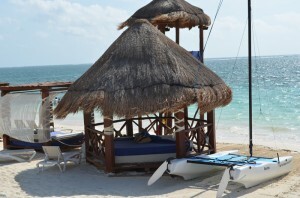 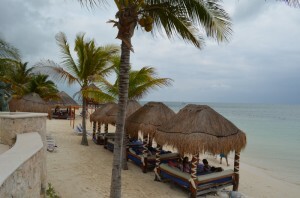 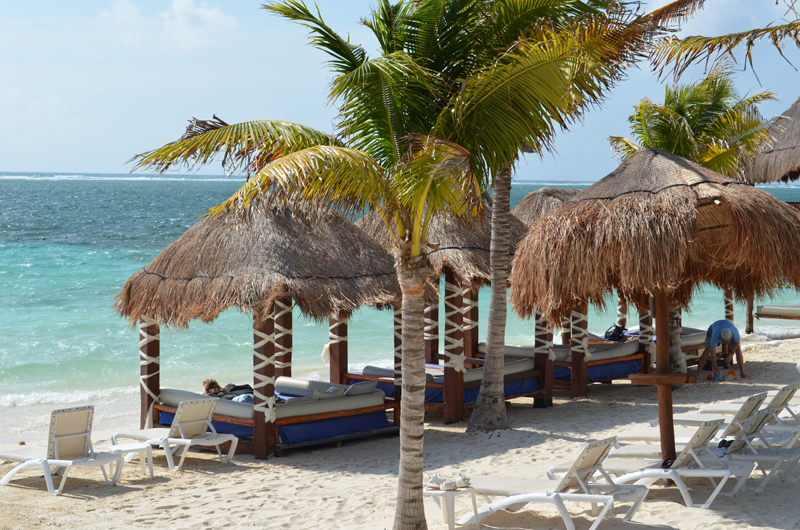 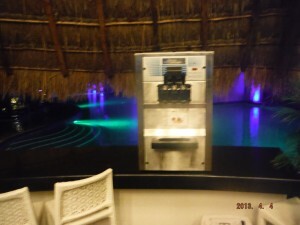 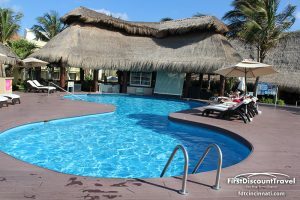 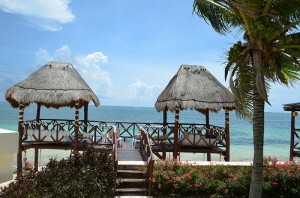 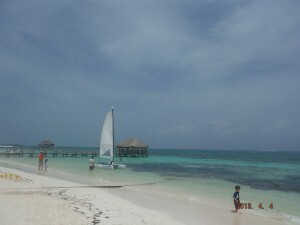 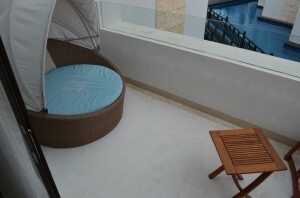 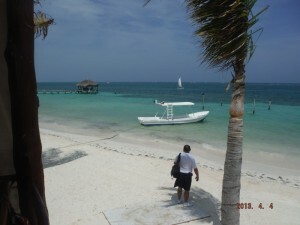 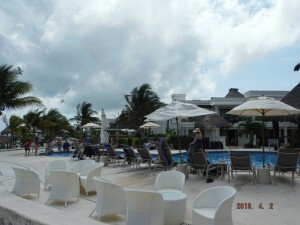 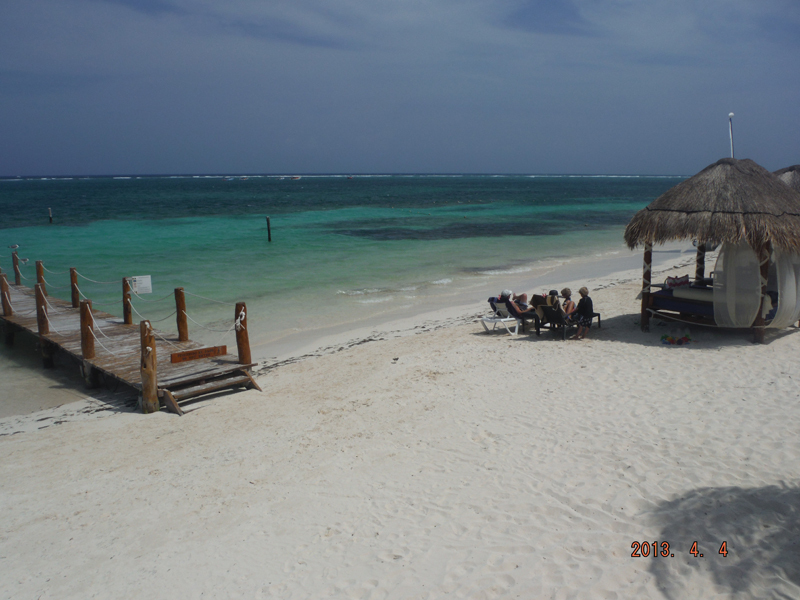 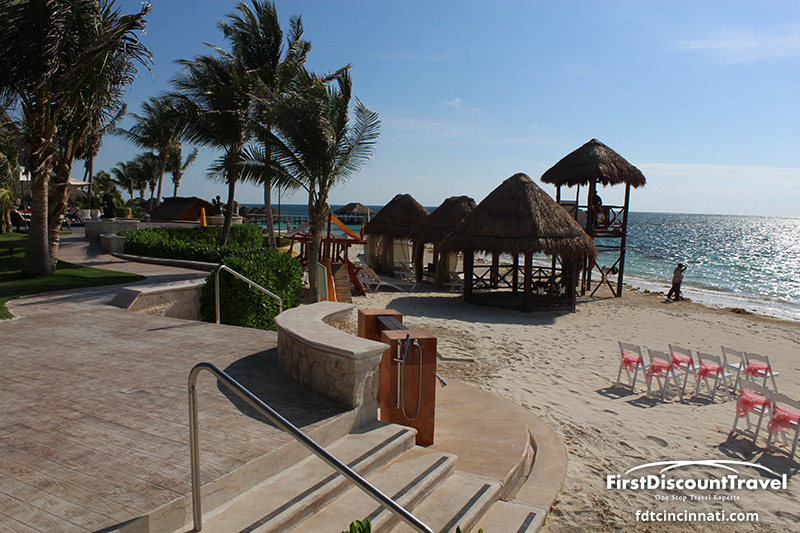 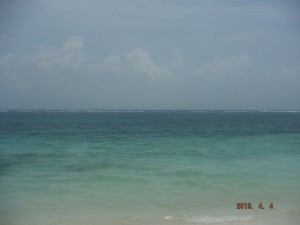 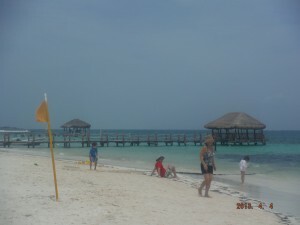 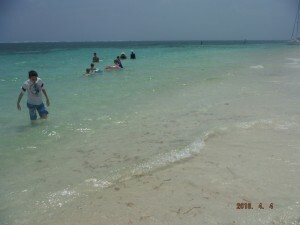 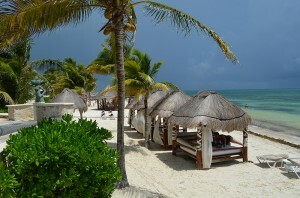 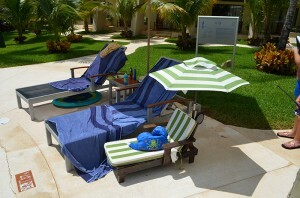 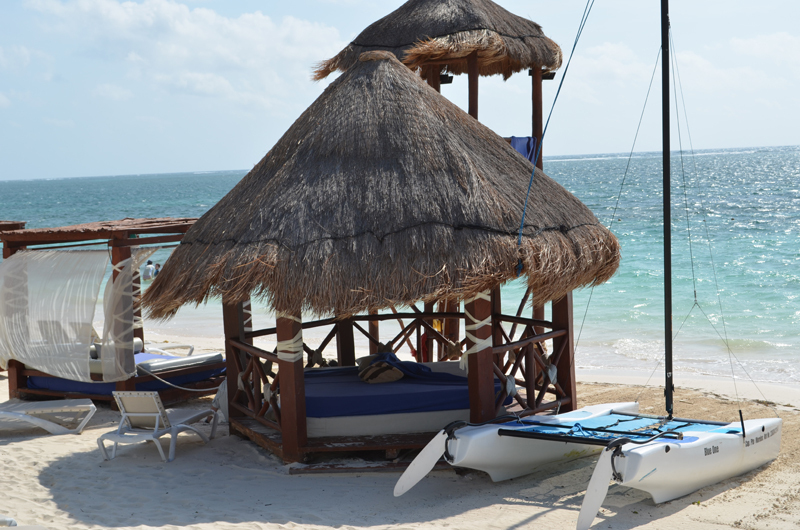 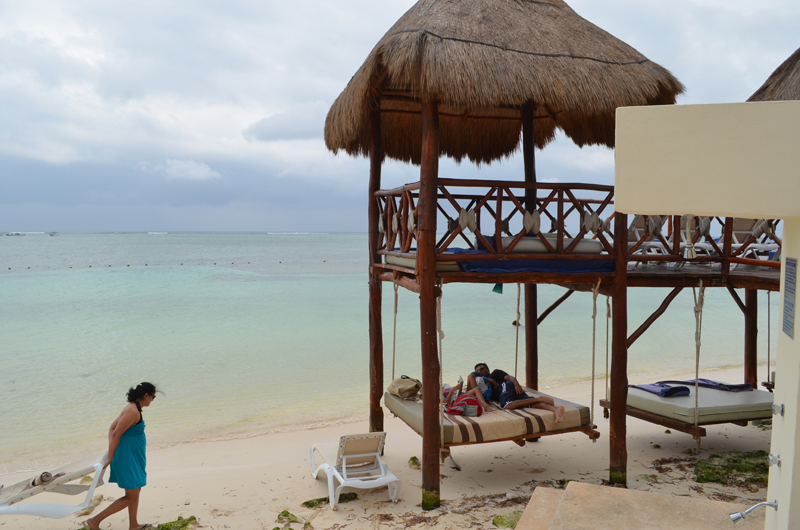 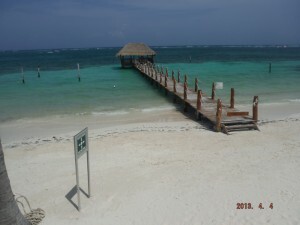 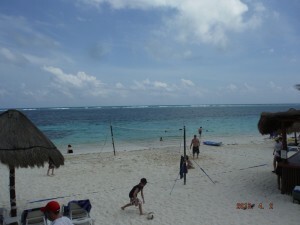 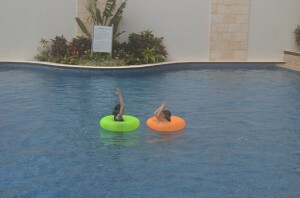 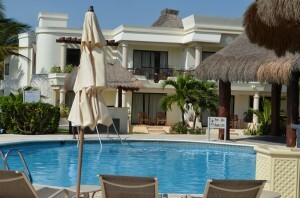 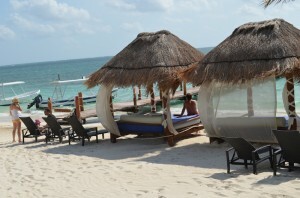 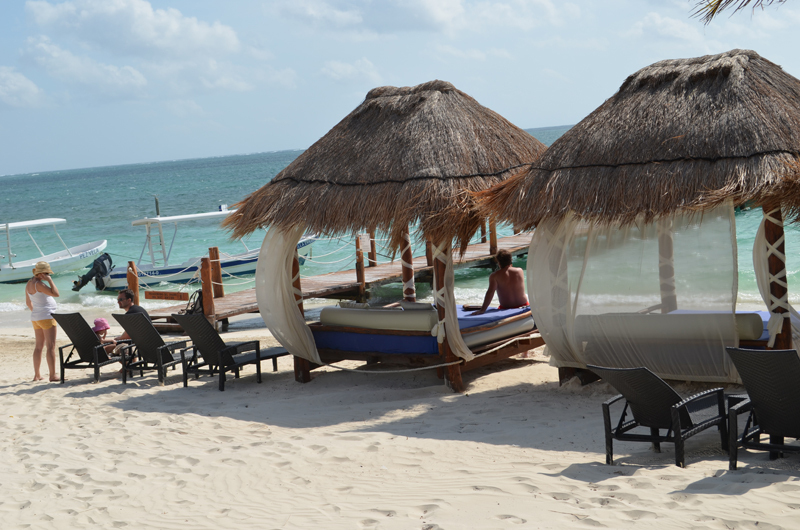 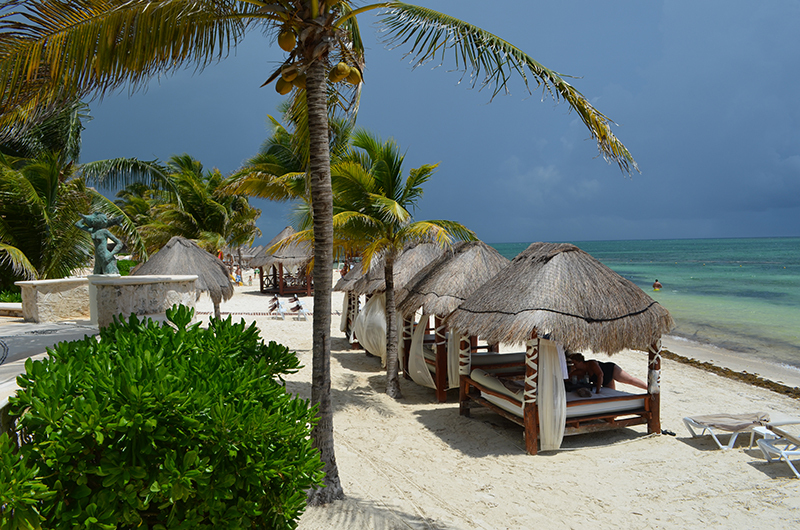 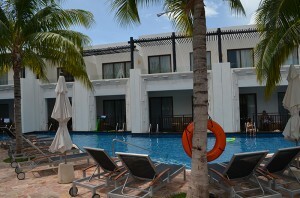 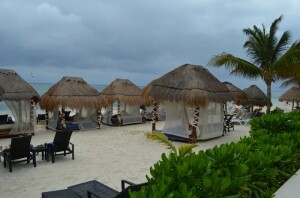 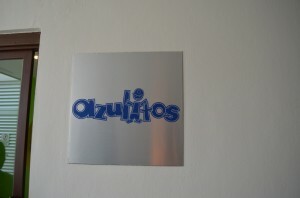 As for the Azul Beach, it is located 30 minutes from the Cancun Airport. 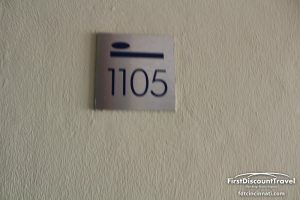 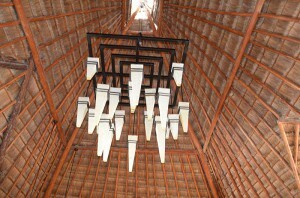 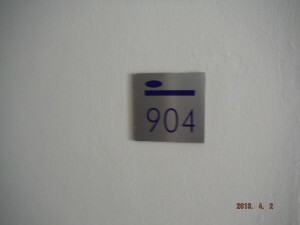 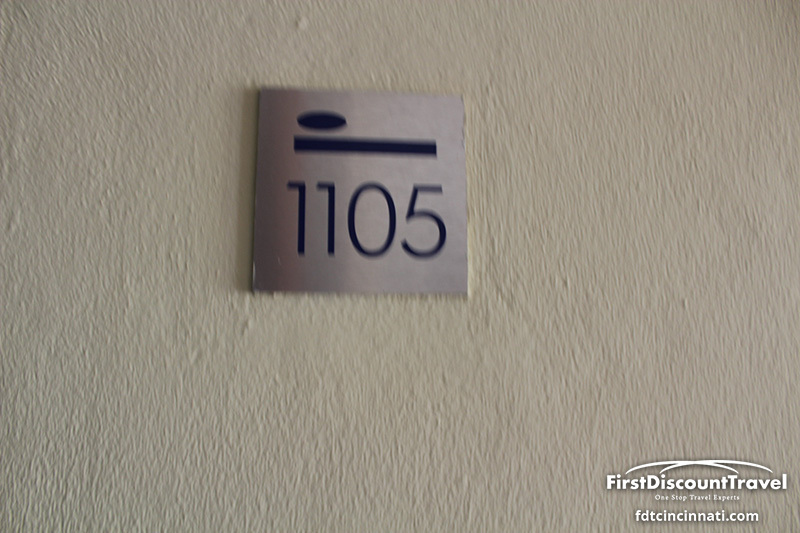 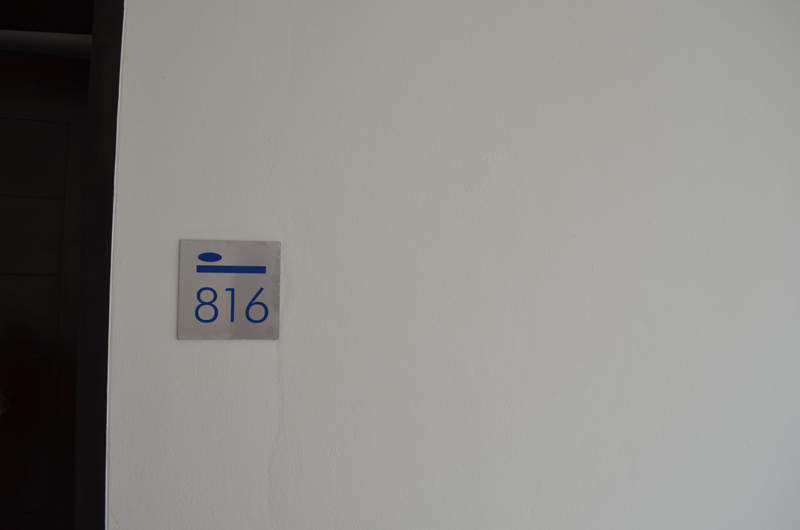 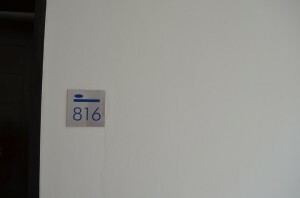 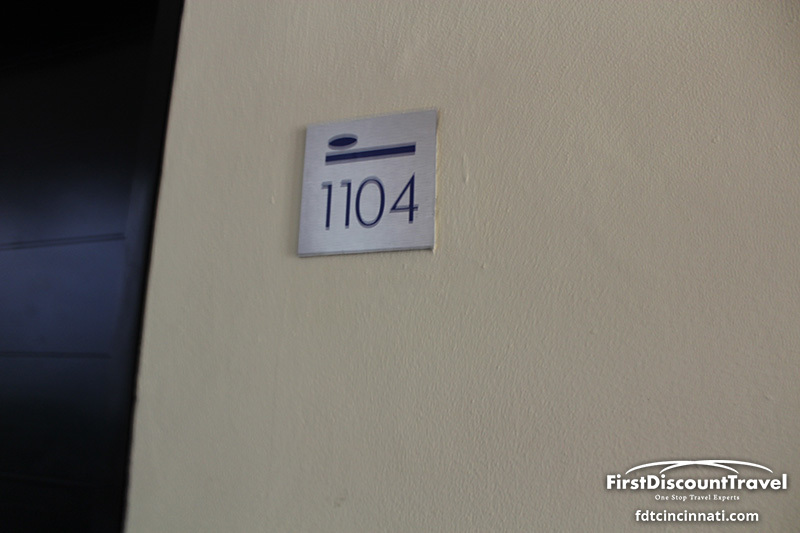 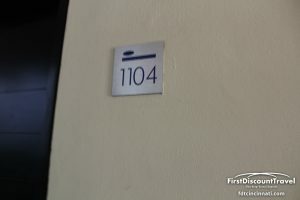 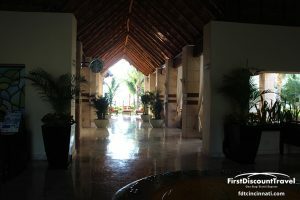 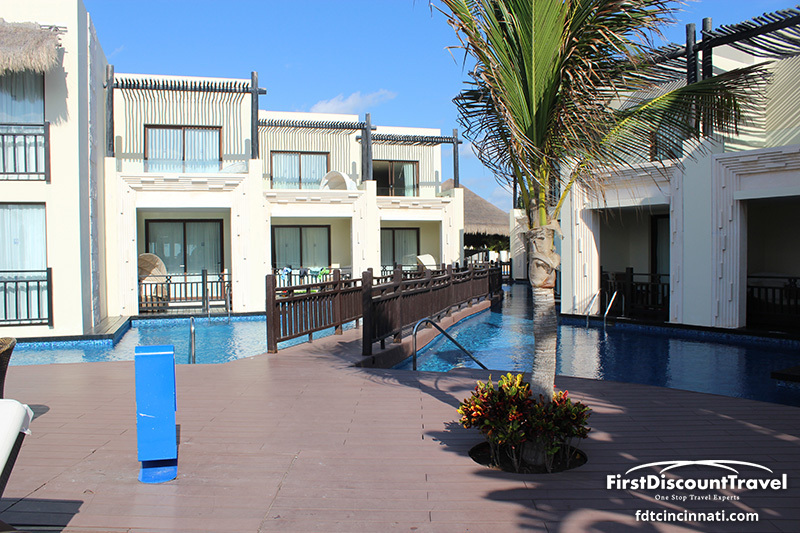 There are 148 rooms and suites located on a nice beach. 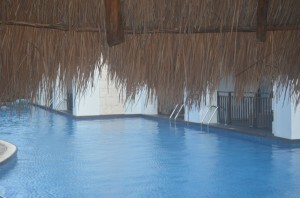 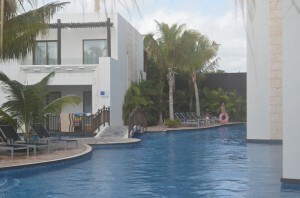 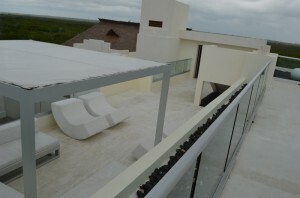 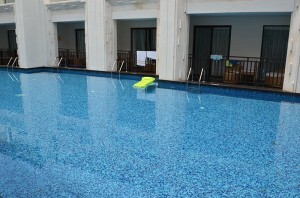 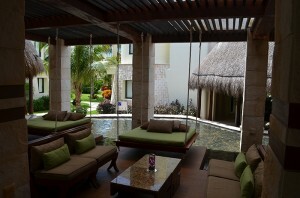 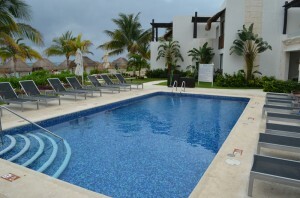 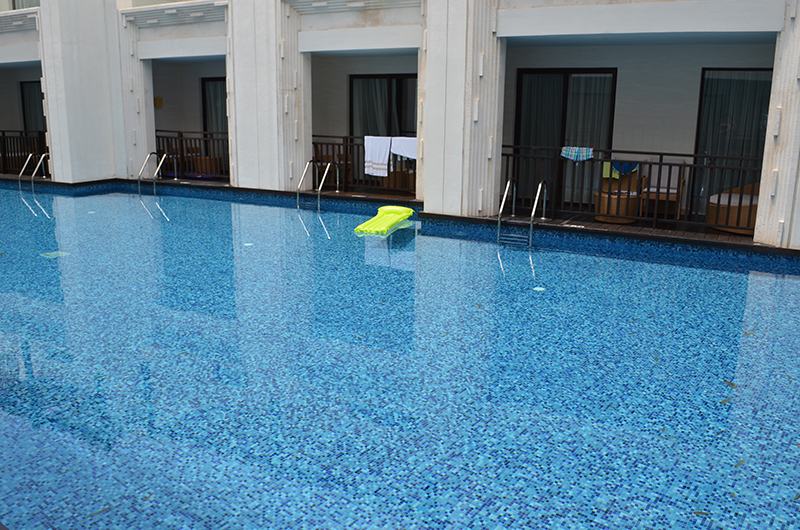 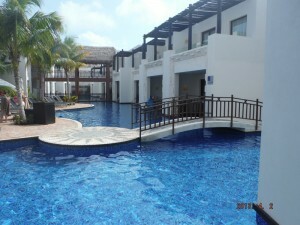 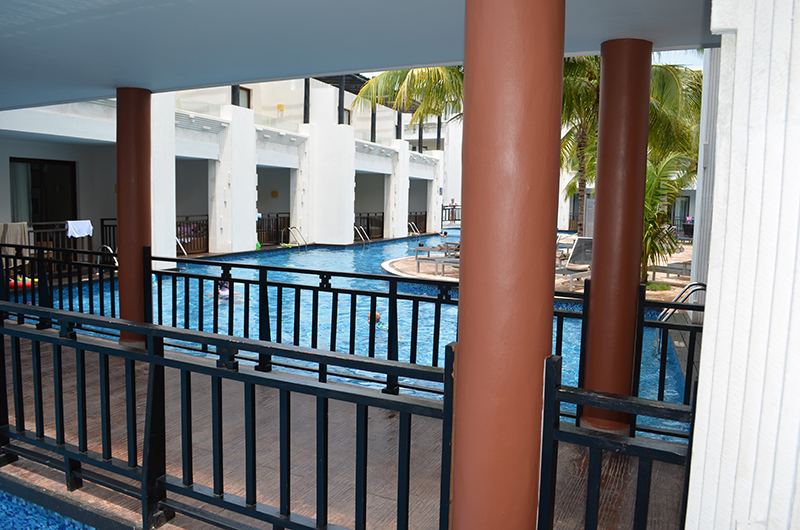 The Azul has four pools, two of which have swim up bars. 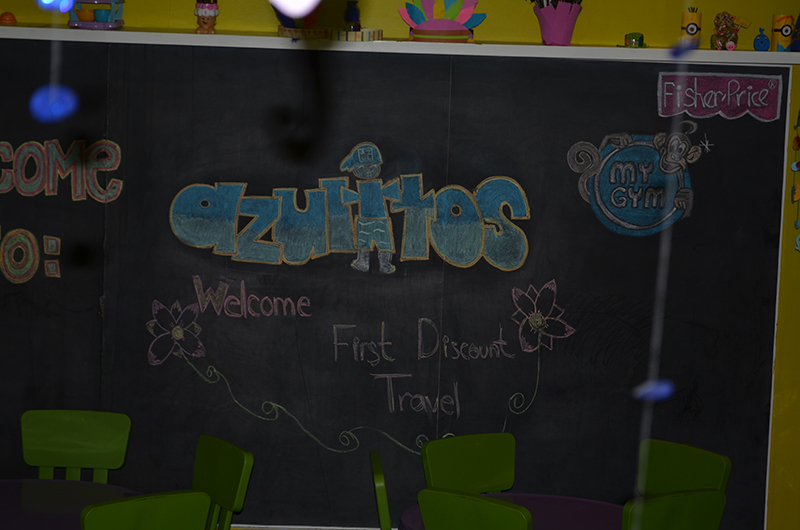 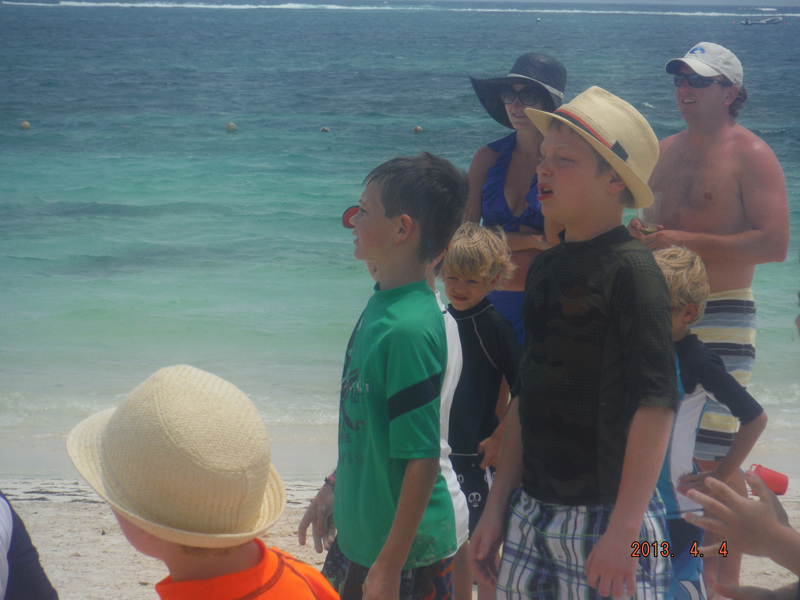 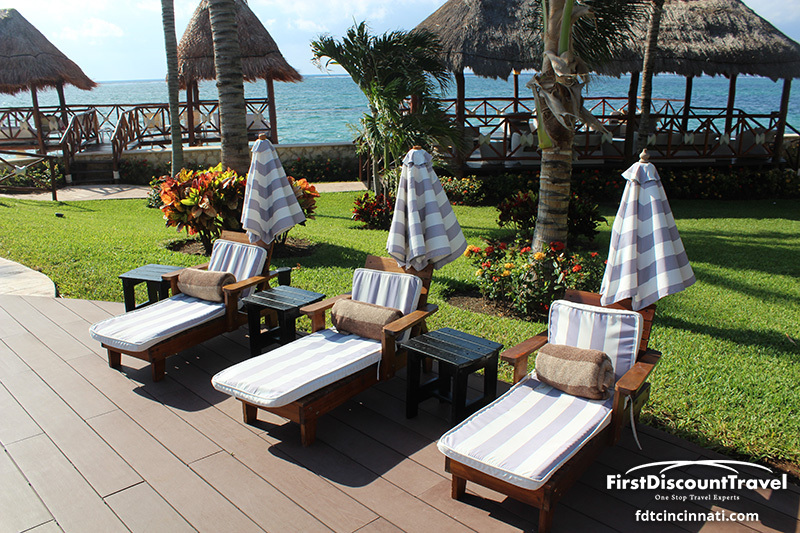 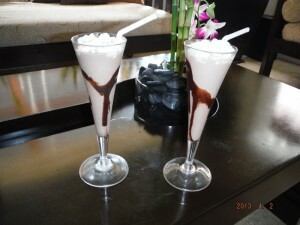 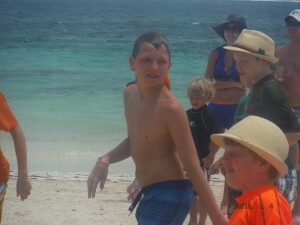 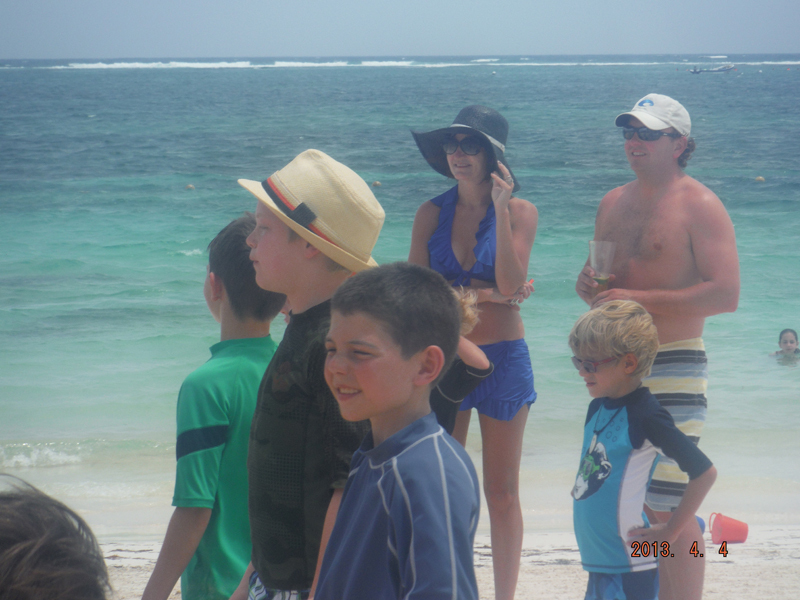 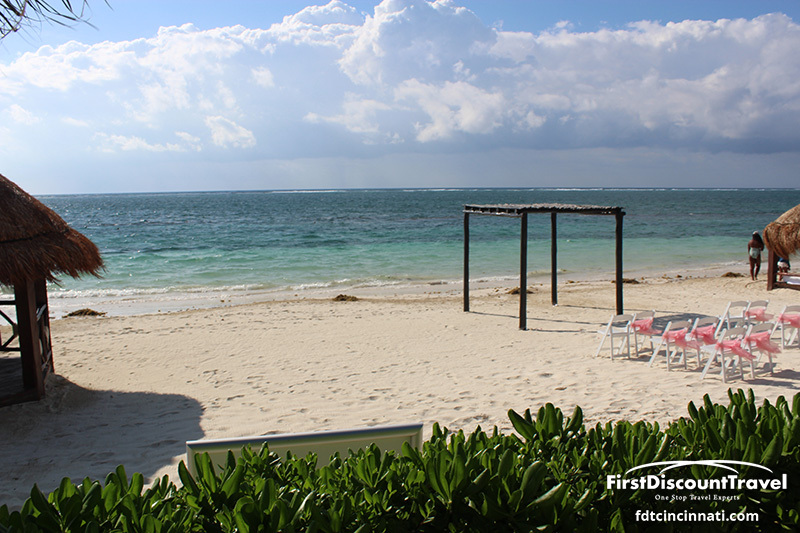 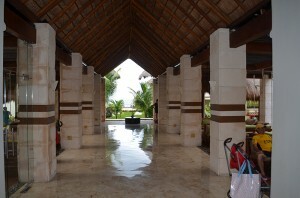 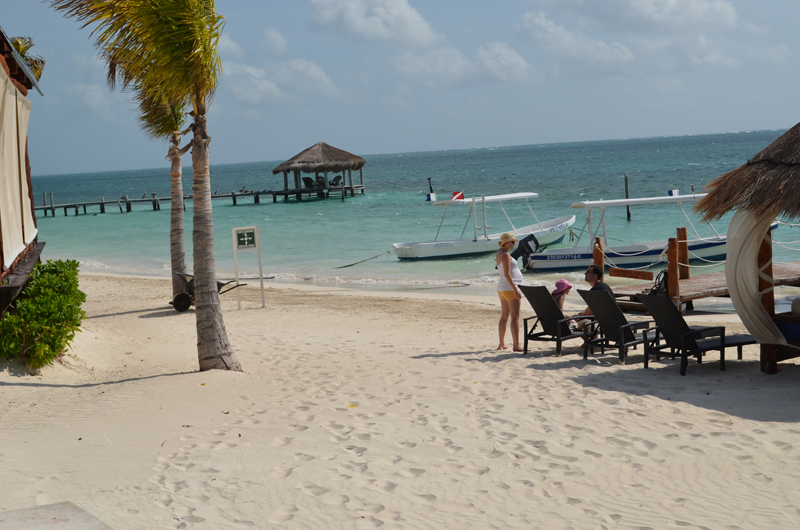 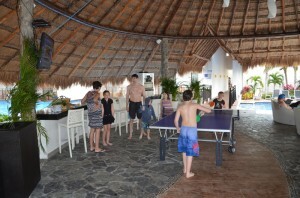 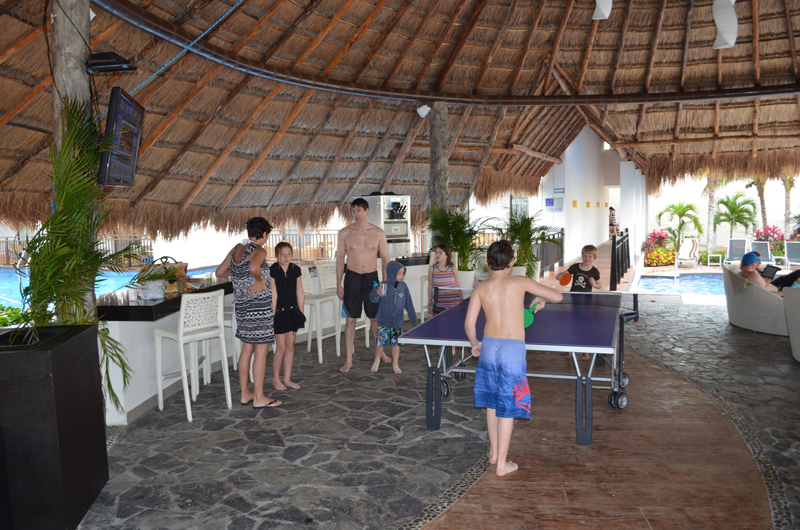 The Azul Beach is very family friendly and children are greeted with milk shakes at arrival. 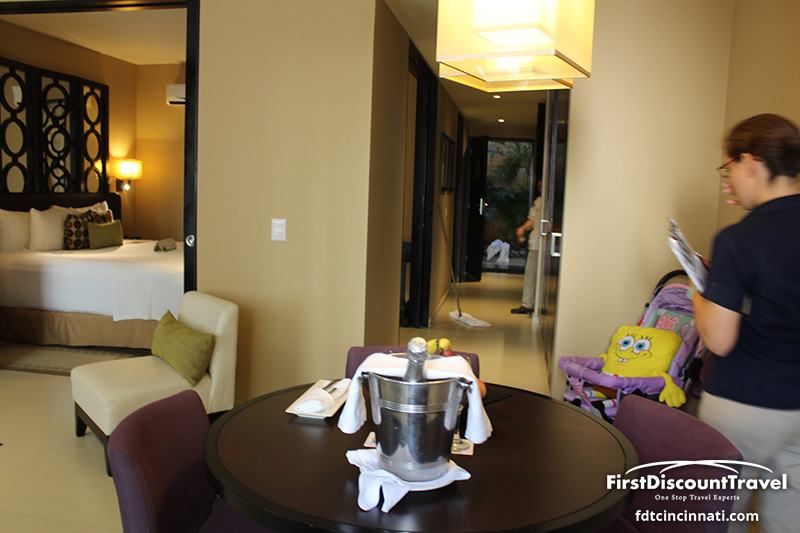 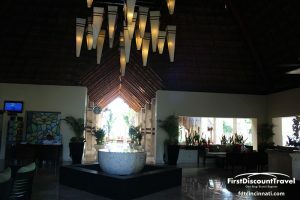 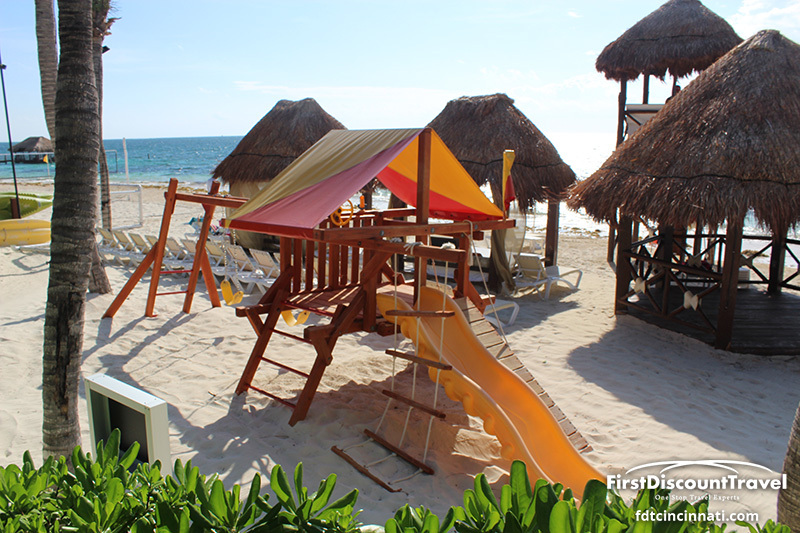 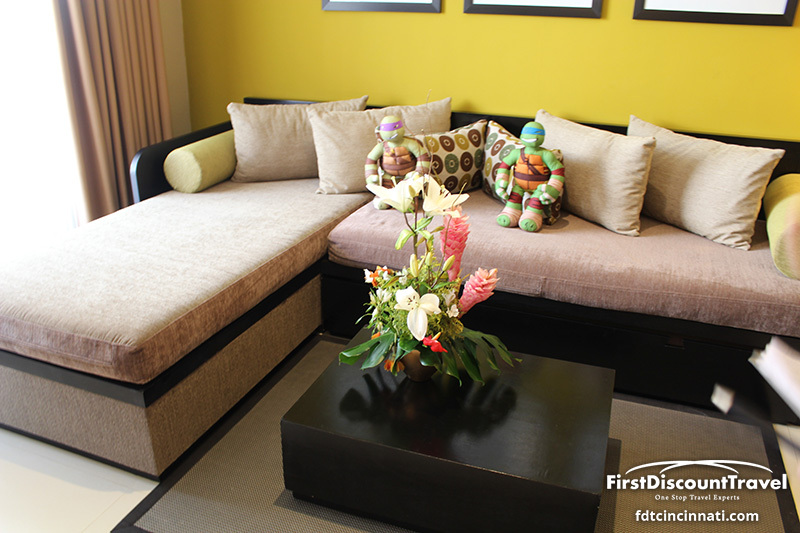 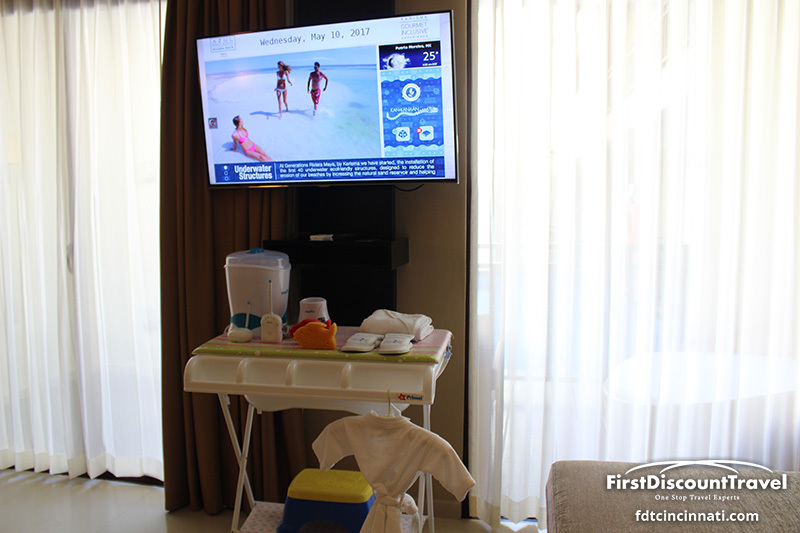 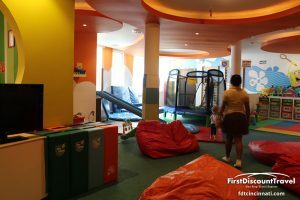 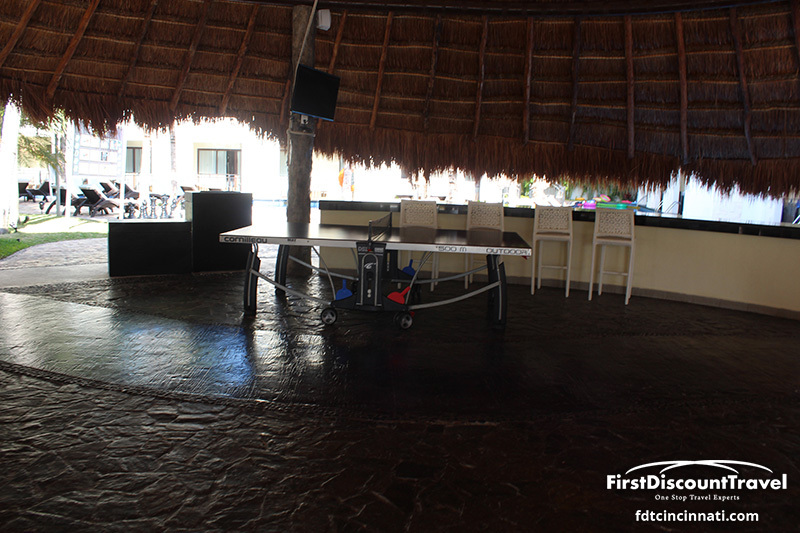 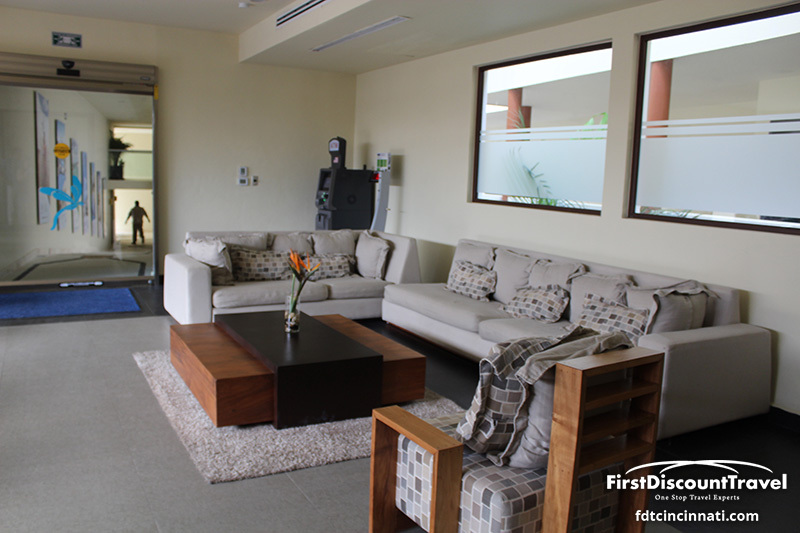 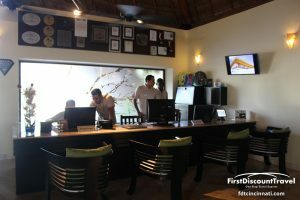 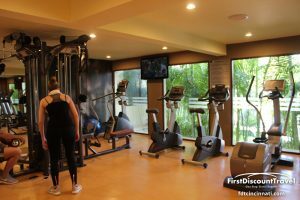 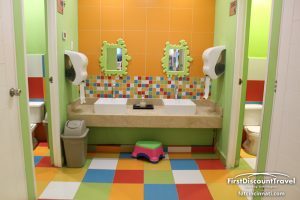 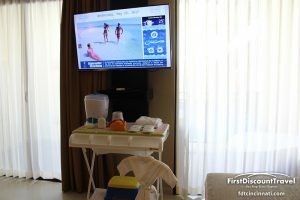 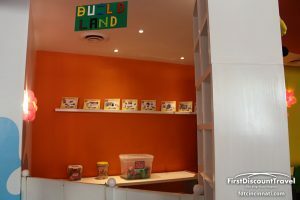 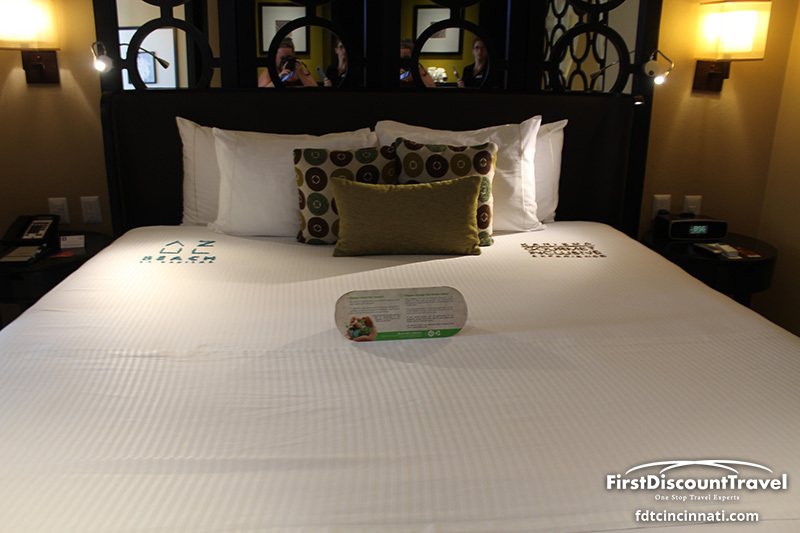 Toys are available at the entrance of each restaurant (to keep the kids busy and quiet during meal time), strollers are complimentary, Gourmet baby food is available, and the Fisher price Toy exchange keeps the children happy even while in the room. 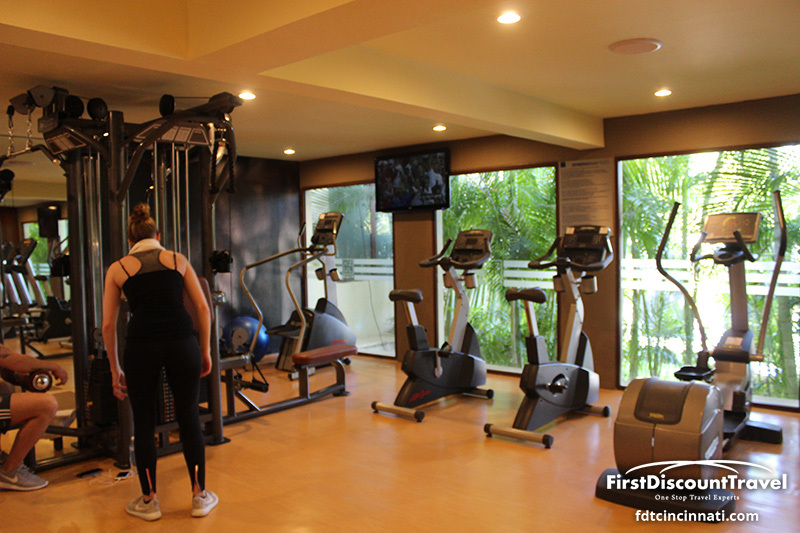 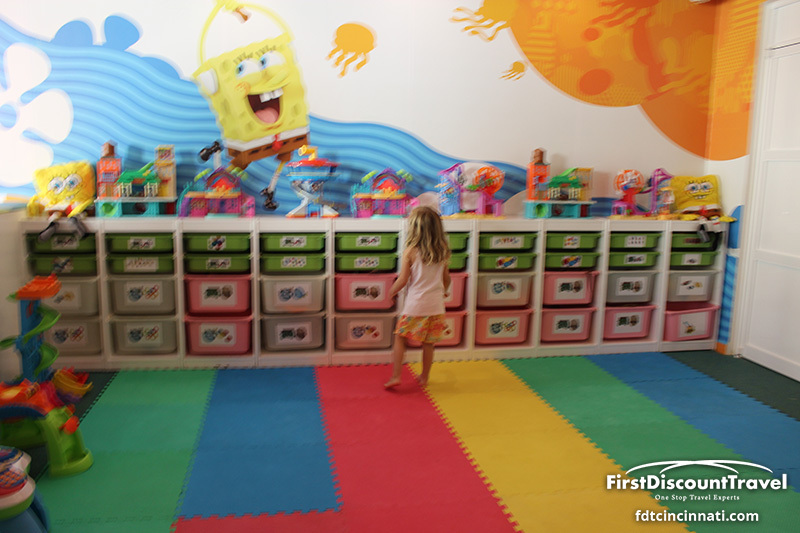 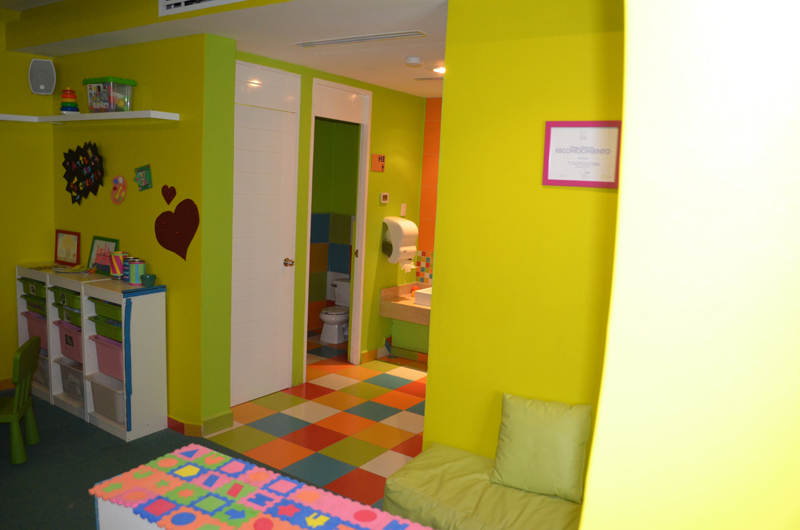 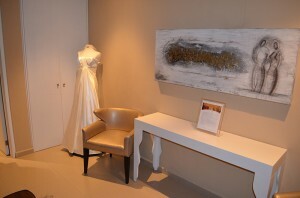 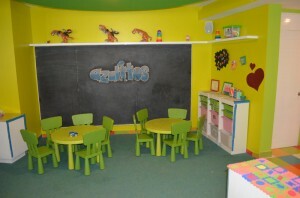 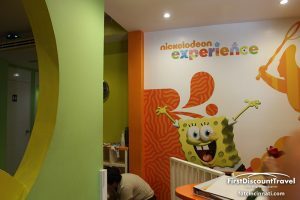 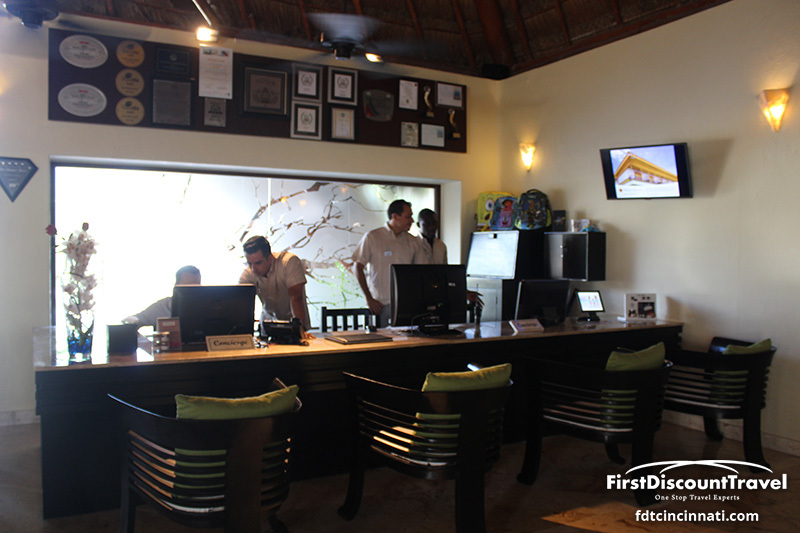 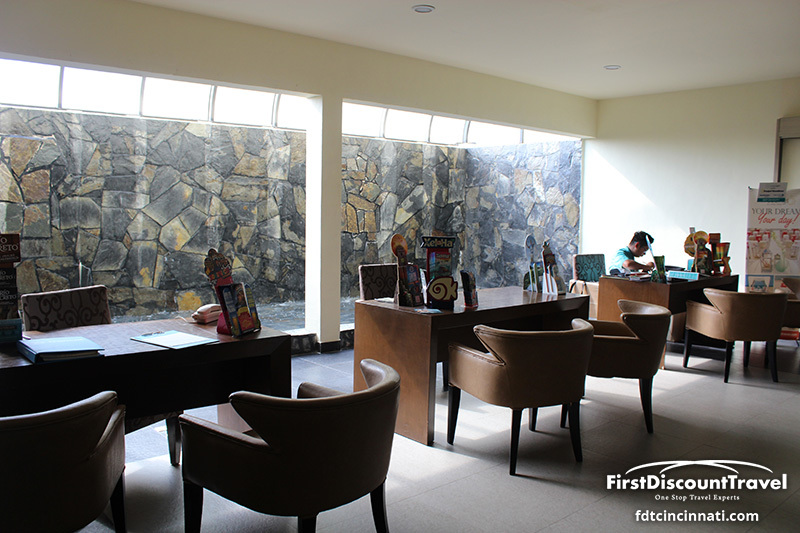 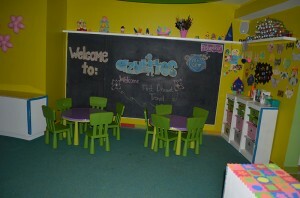 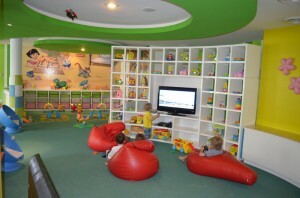 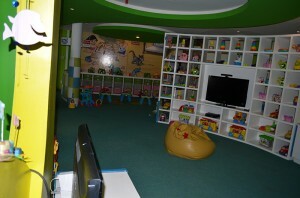 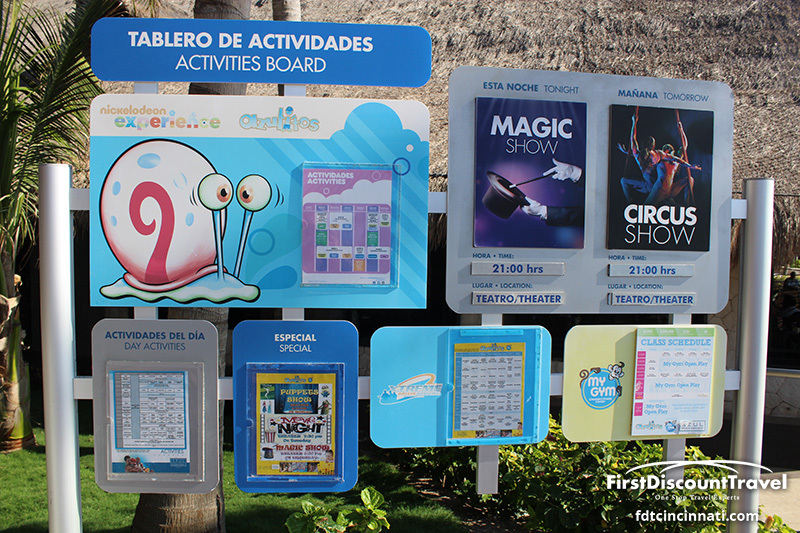 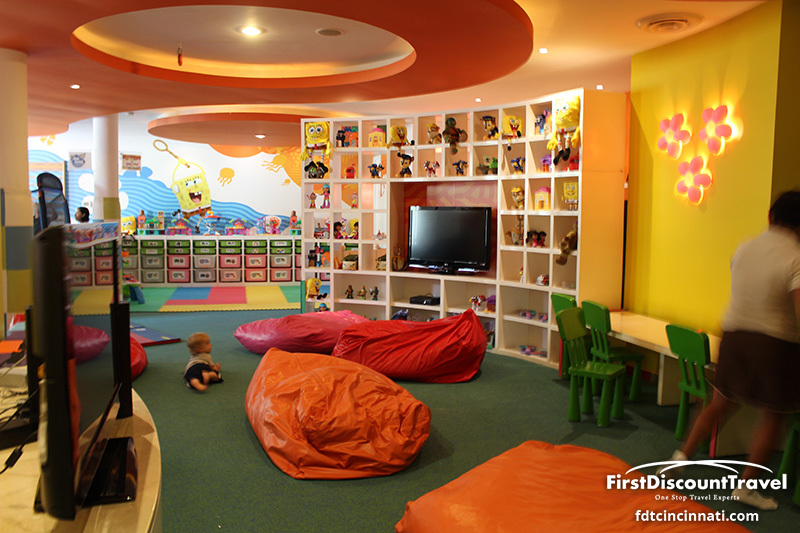 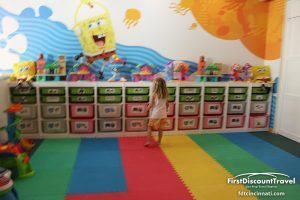 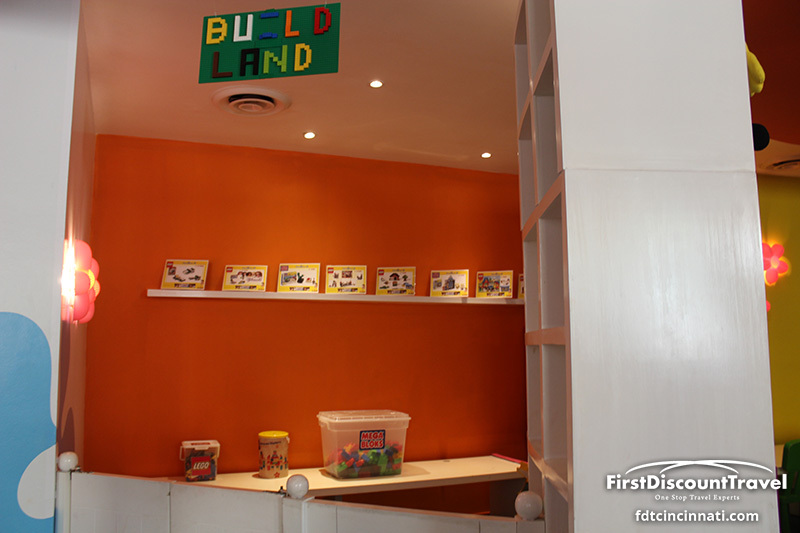 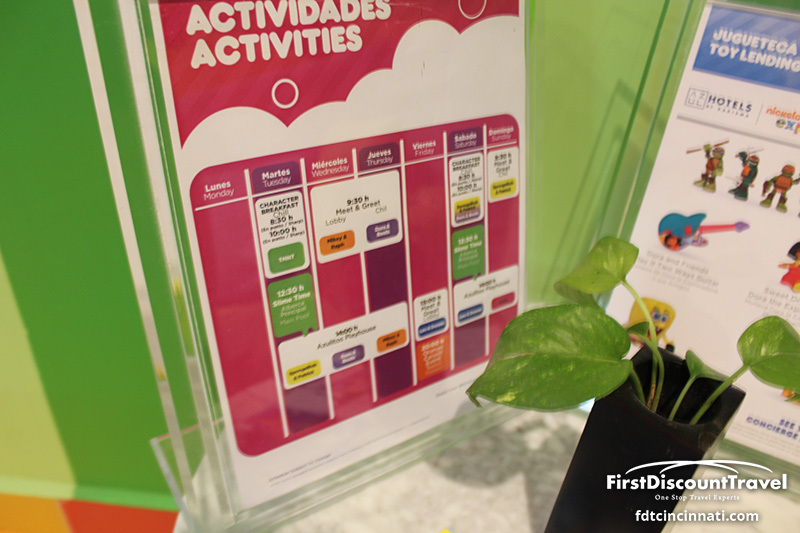 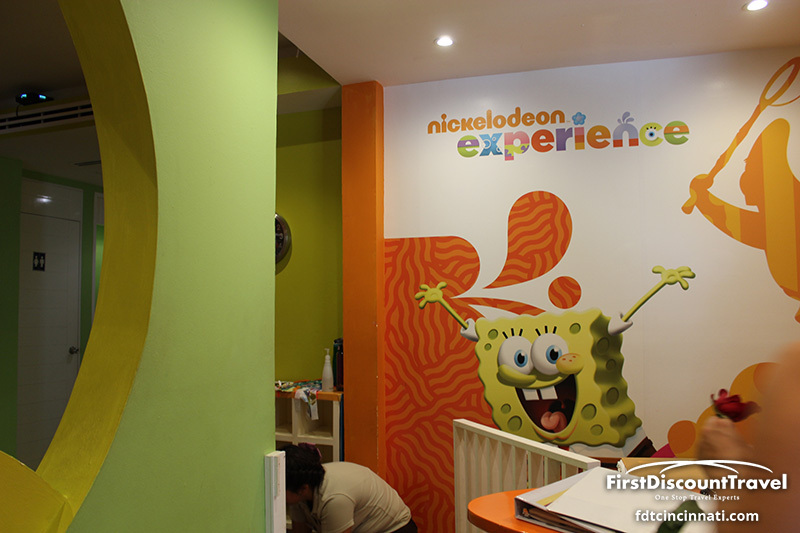 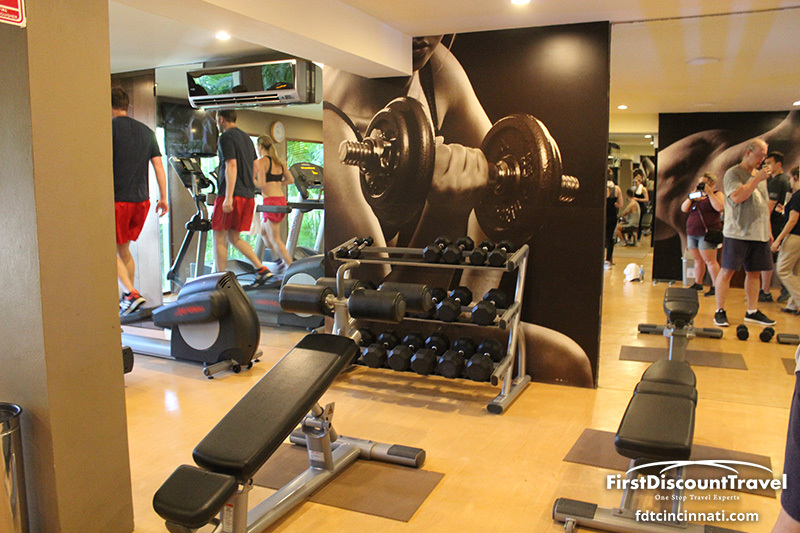 The kid’s club offer fully supervised activities throughout the day. 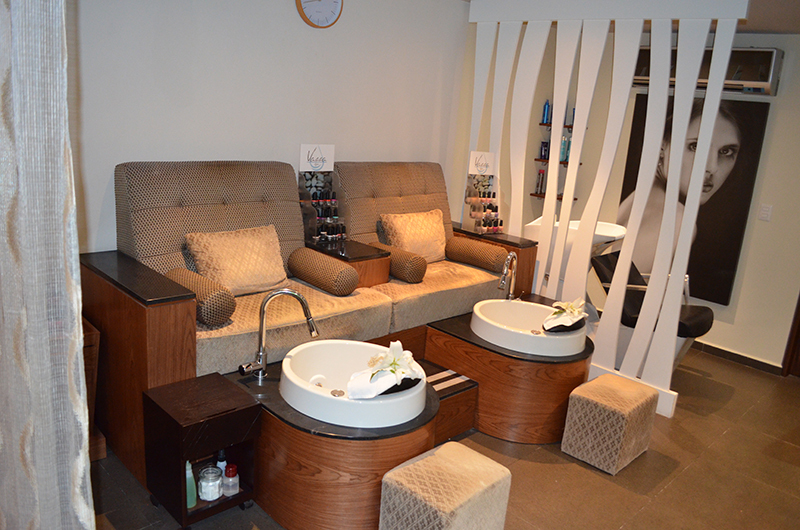 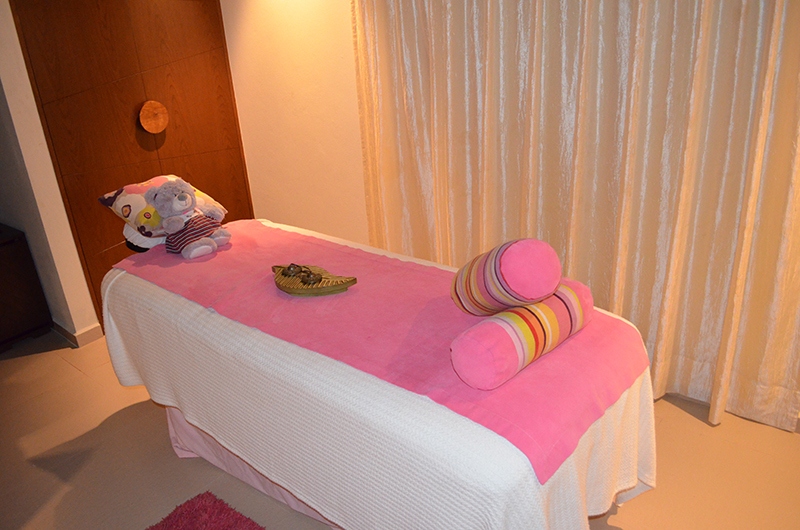 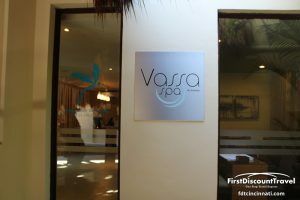 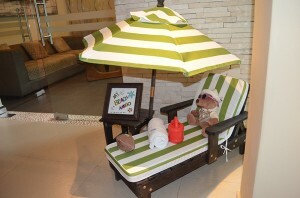 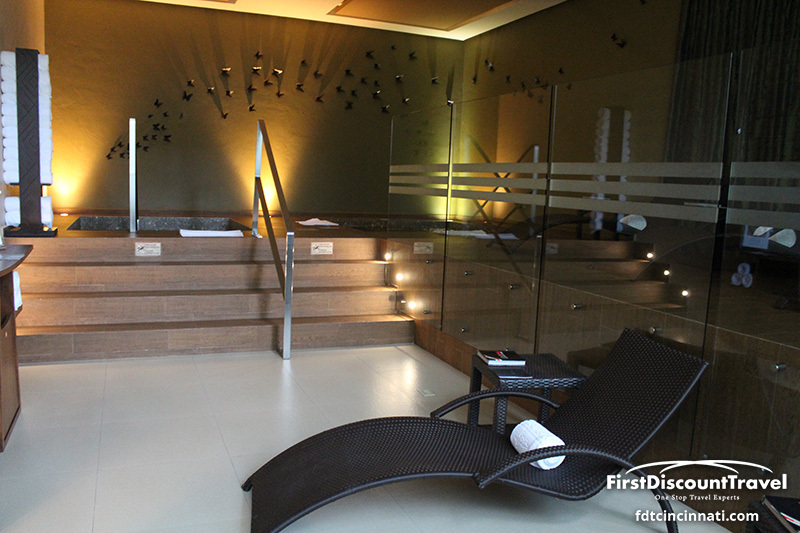 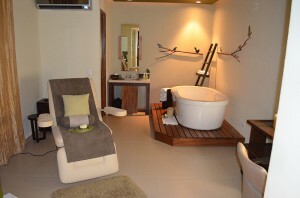 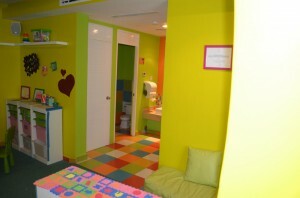 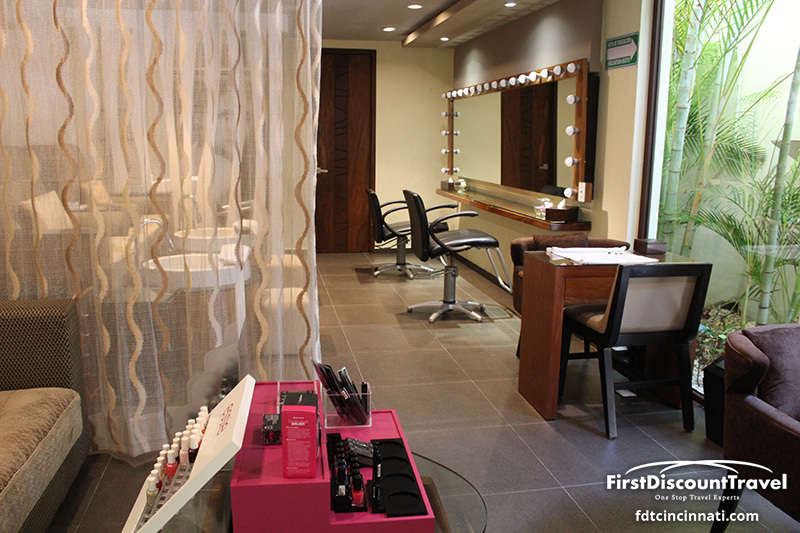 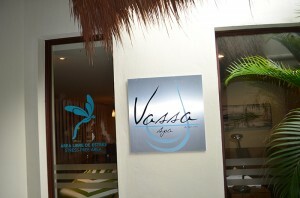 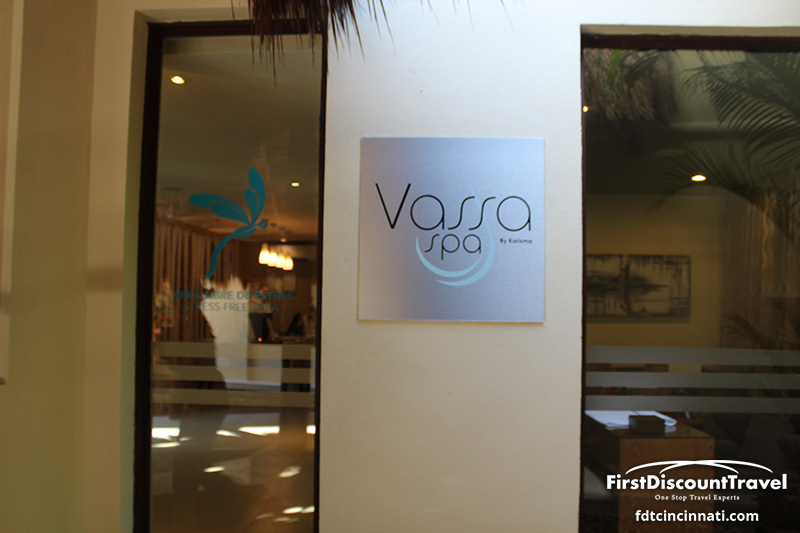 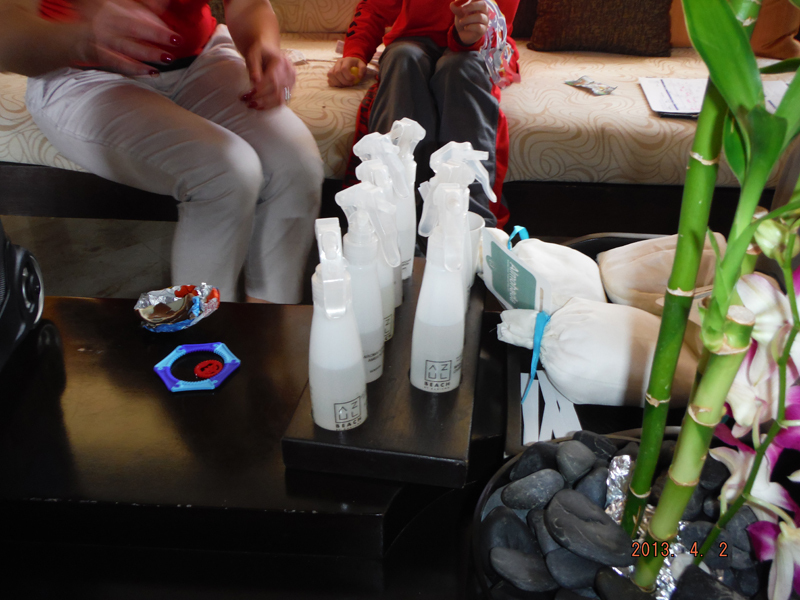 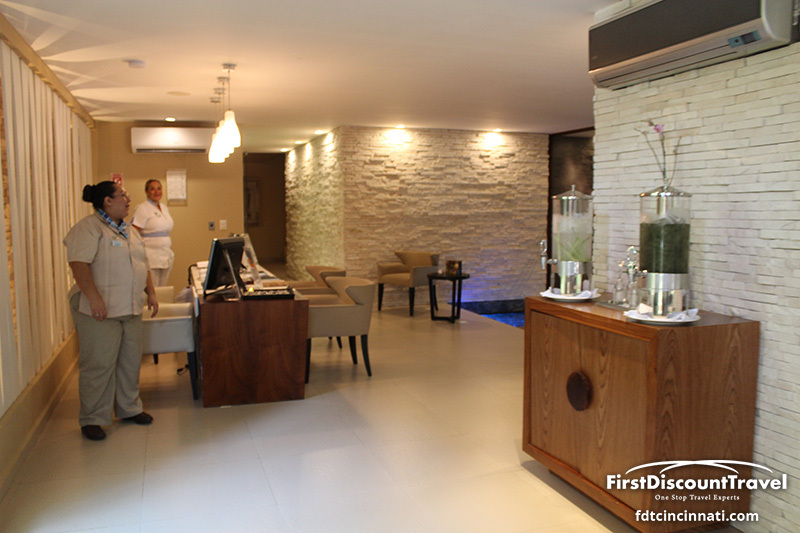 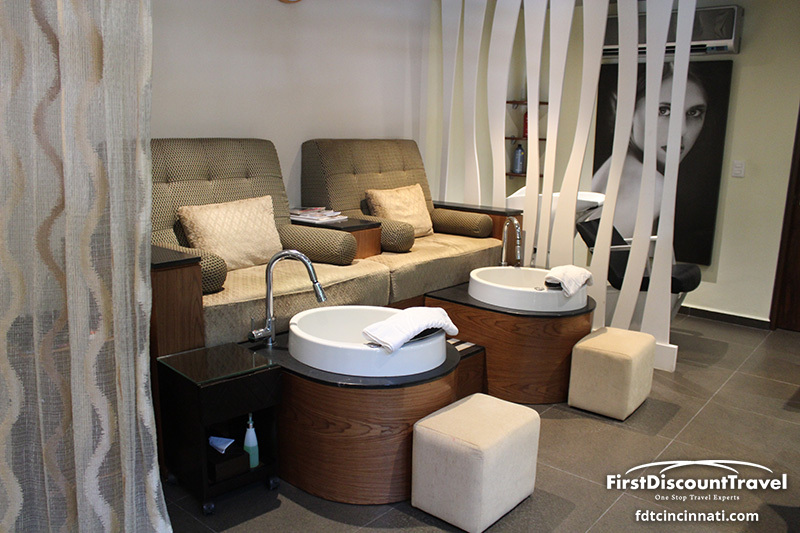 There are special treatments in the spa designed for children and the Mommy and I pedicure is very popular. 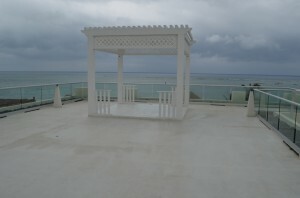 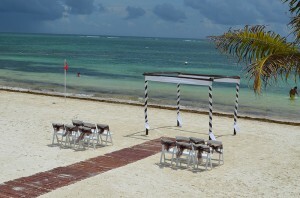 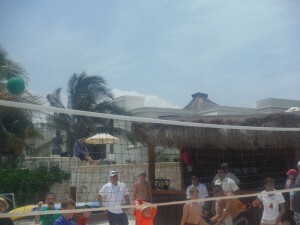 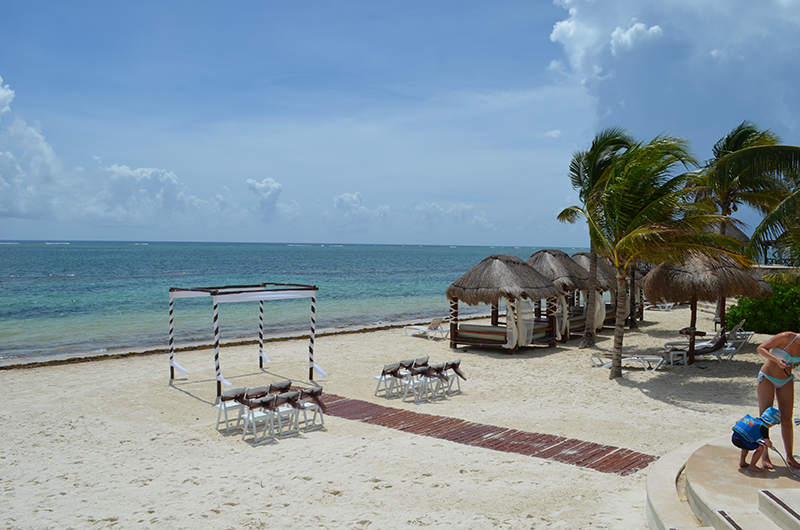 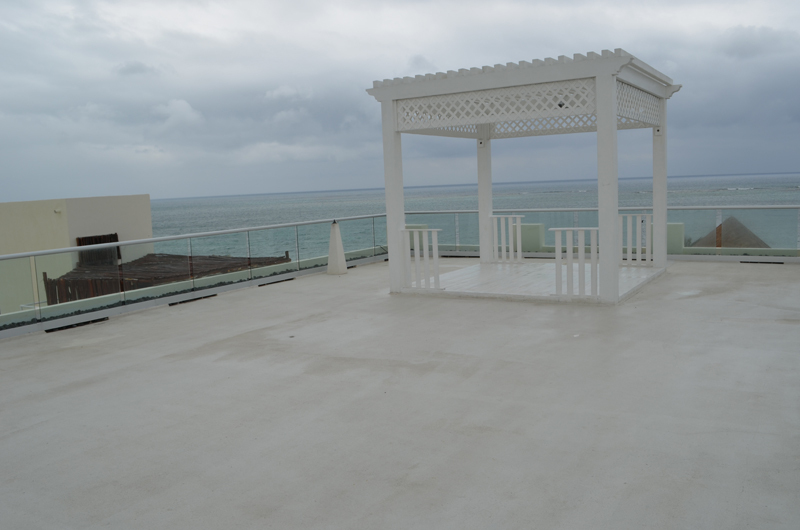 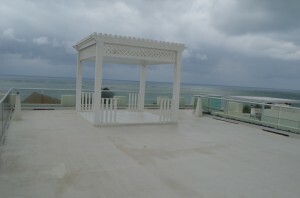 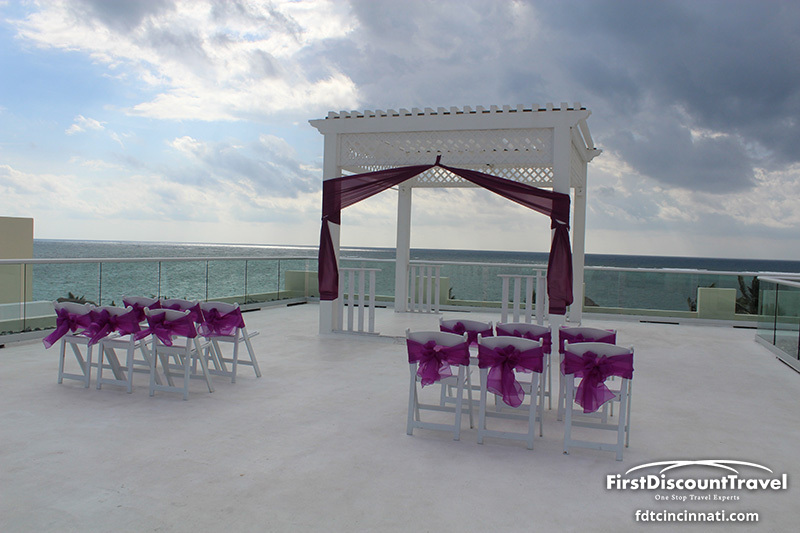 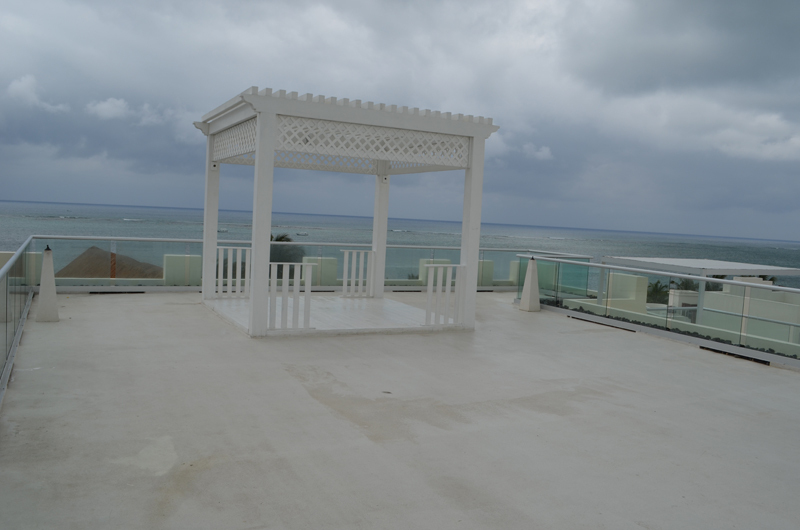 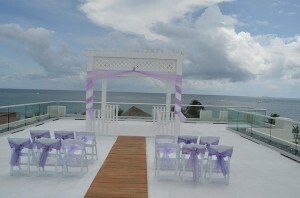 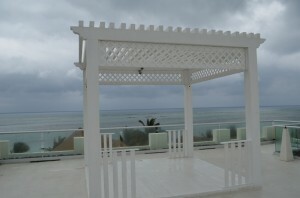 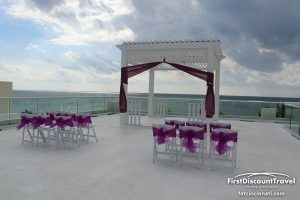 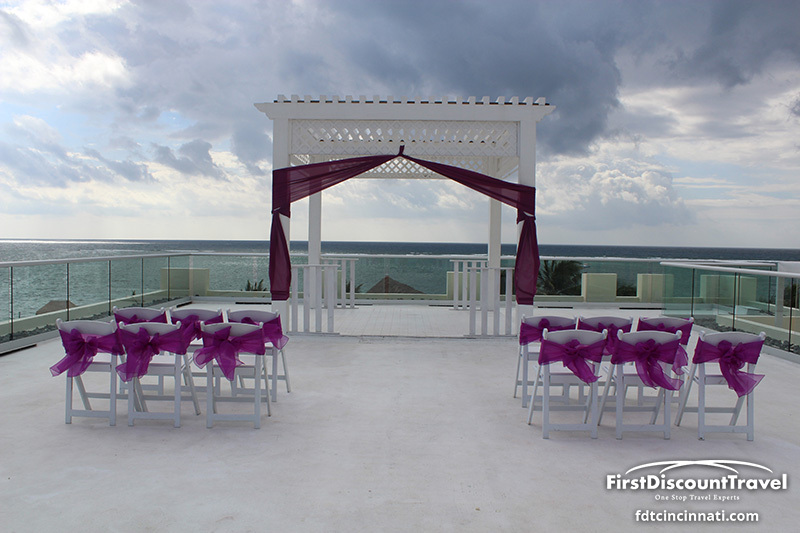 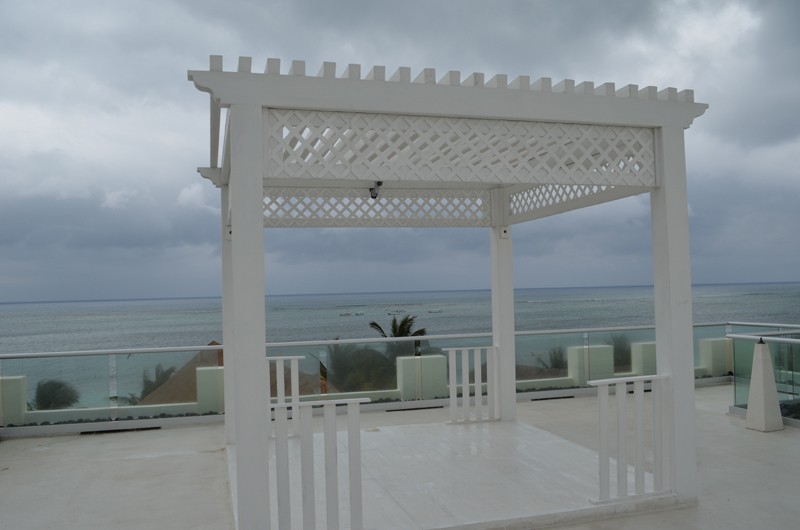 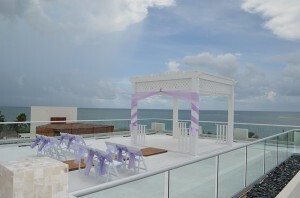 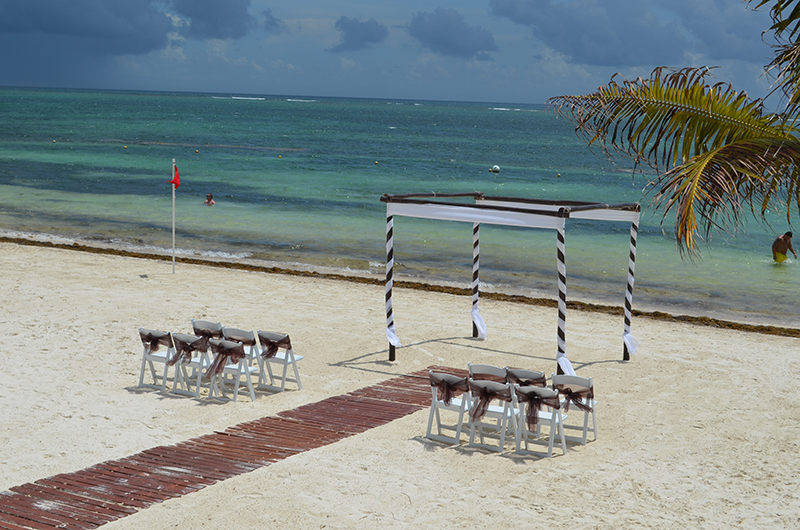 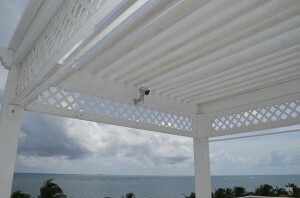 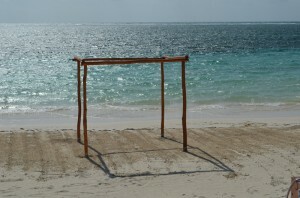 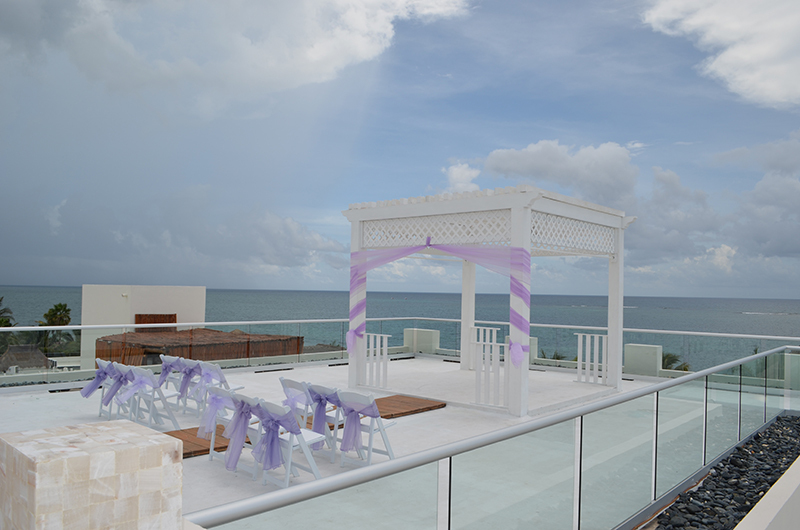 In addition to families, the Azul Beach is very popular for weddings and the Sky Gazebo (located on the roof of the resort) offers a unique and amazing venue. 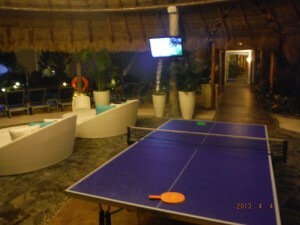 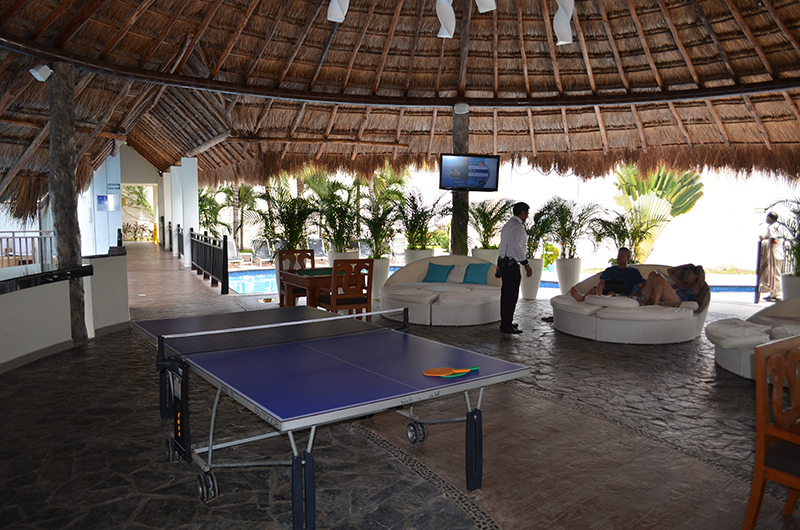 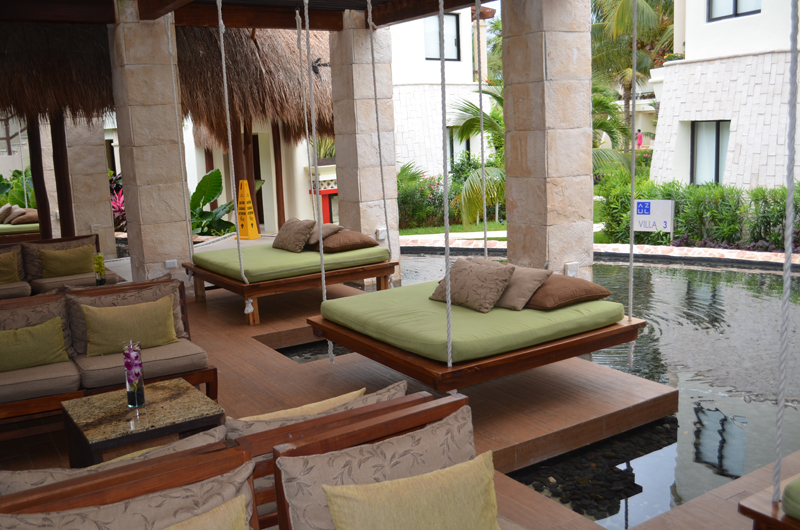 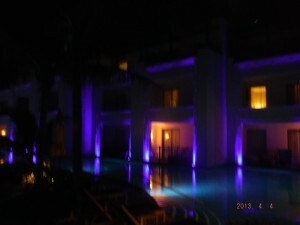 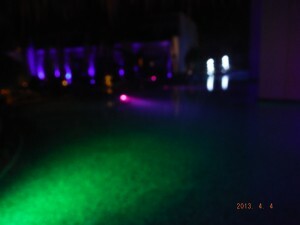 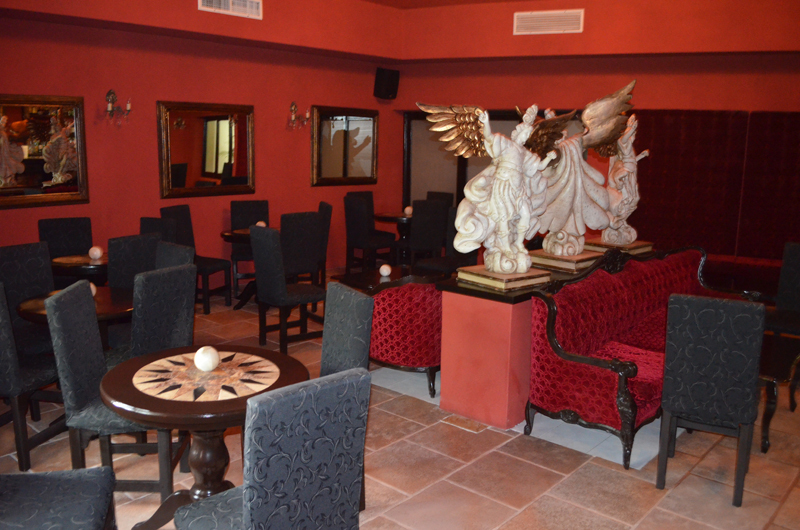 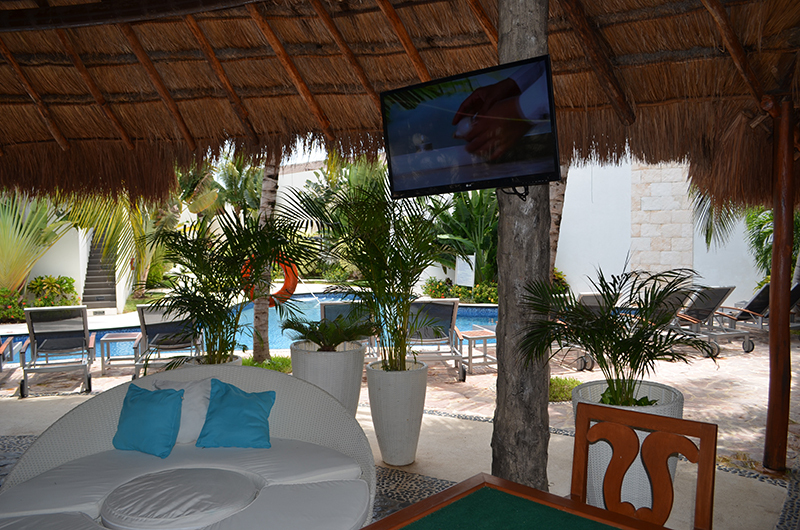 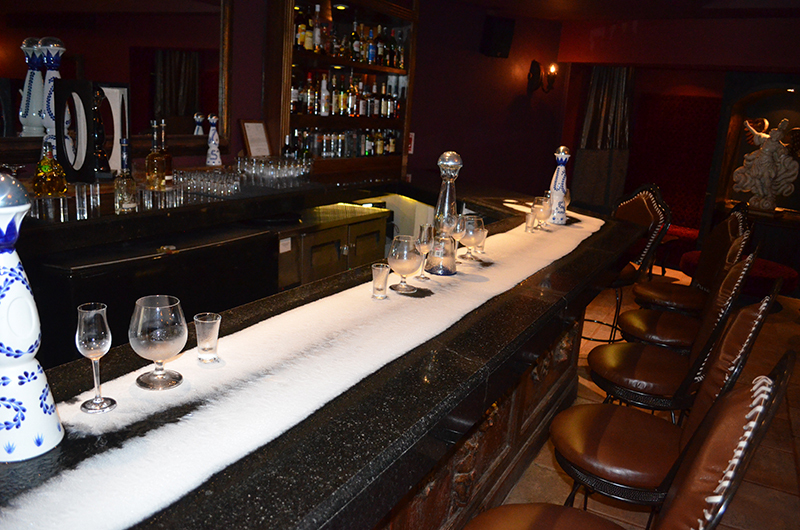 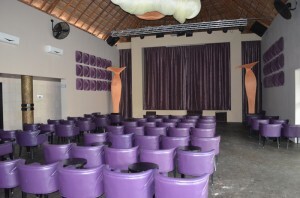 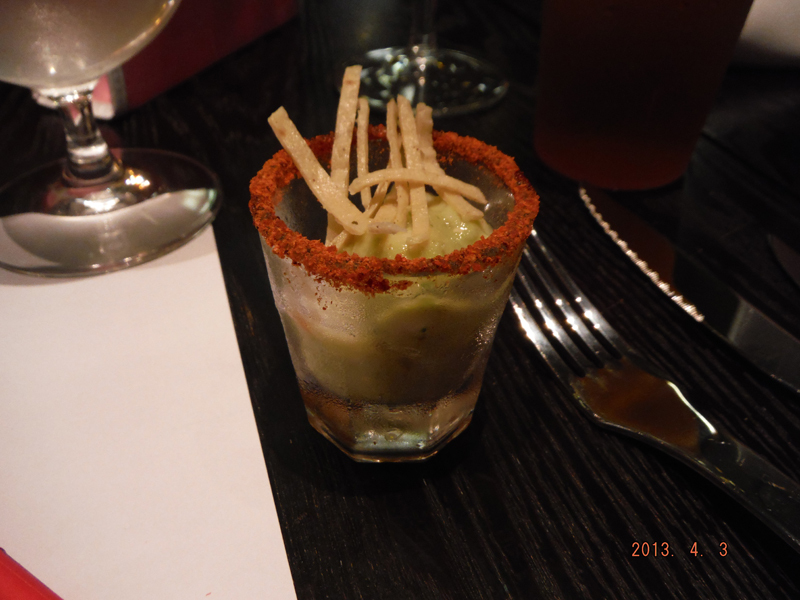 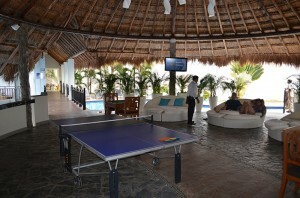 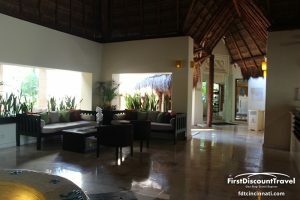 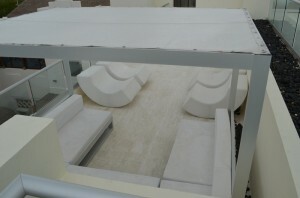 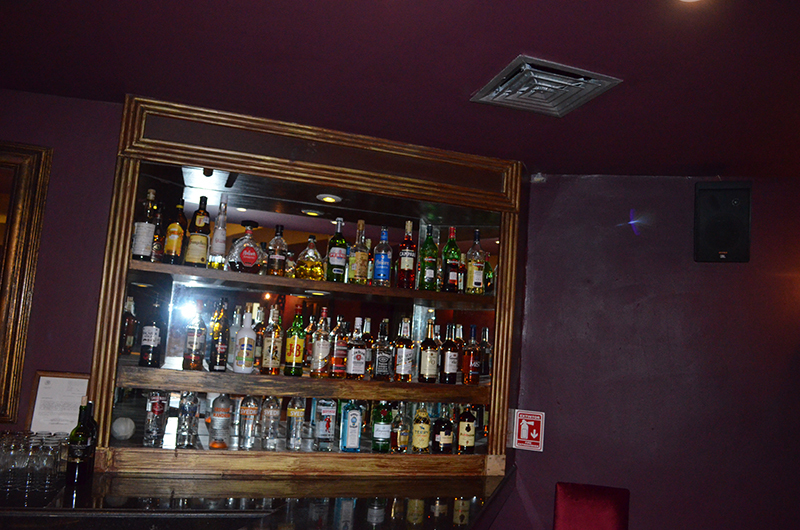 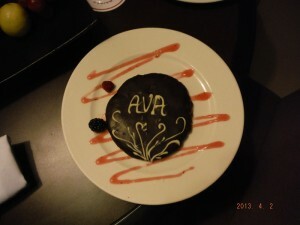 There are several lounges and bars and the Agavero Tequila Lounge has adult only fun from 10PM until 1AM nightly. 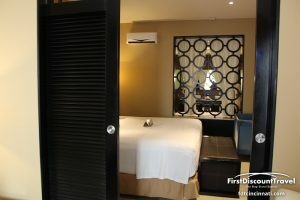 There are many different room categories ranging from the entry level rooms at 312 square feet to the new family suites at 855 square feet. 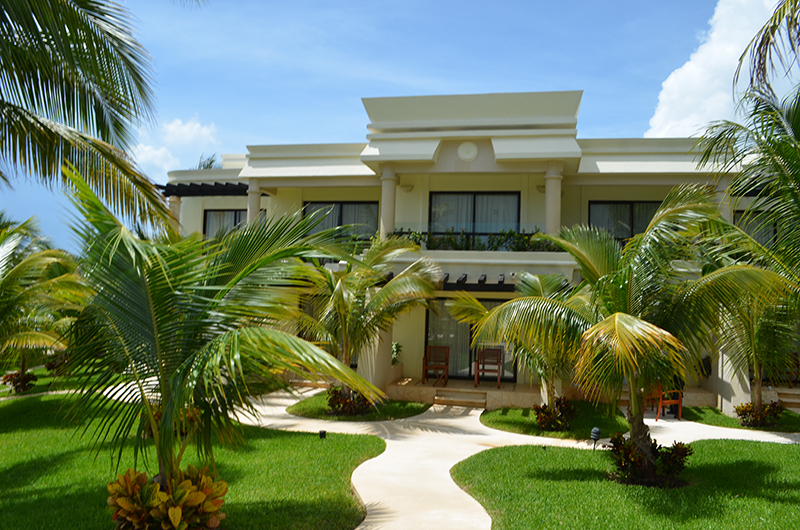 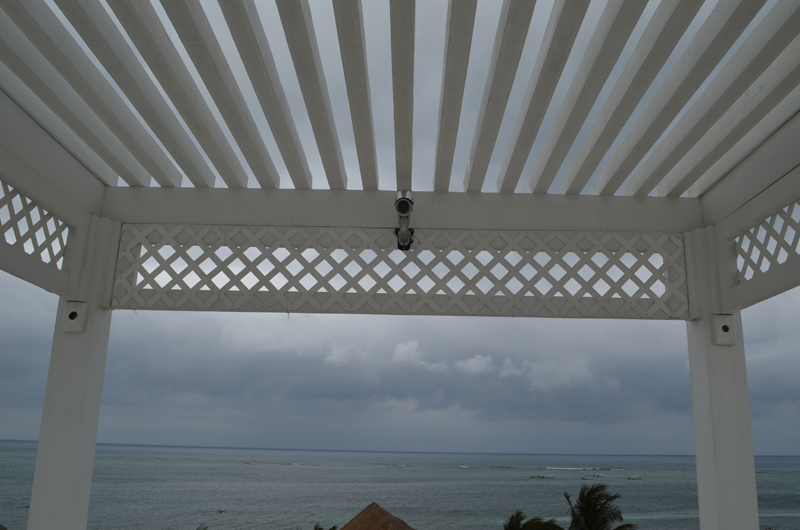 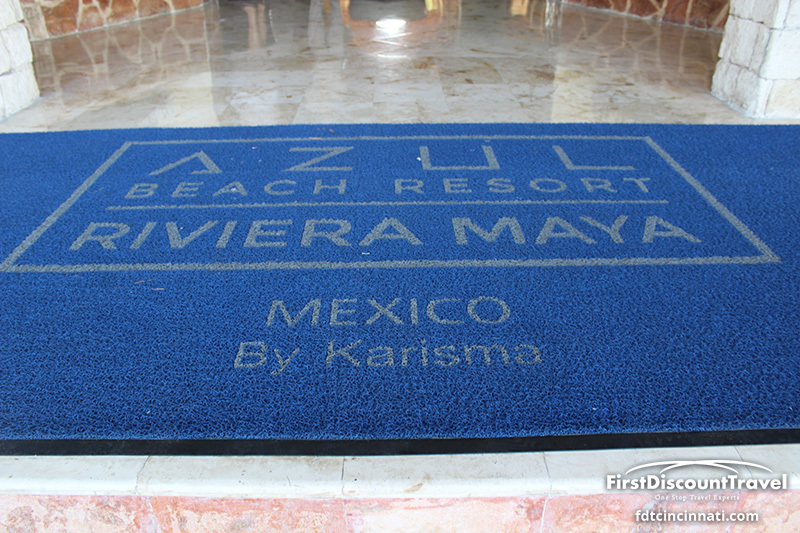 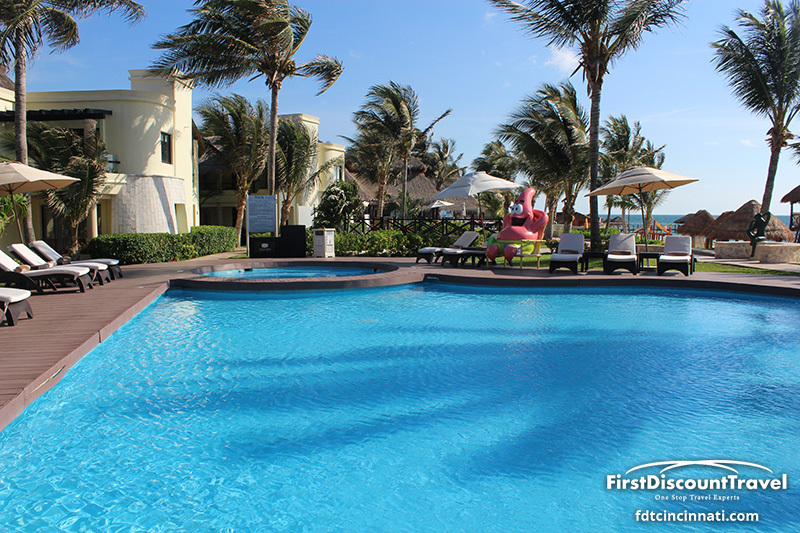 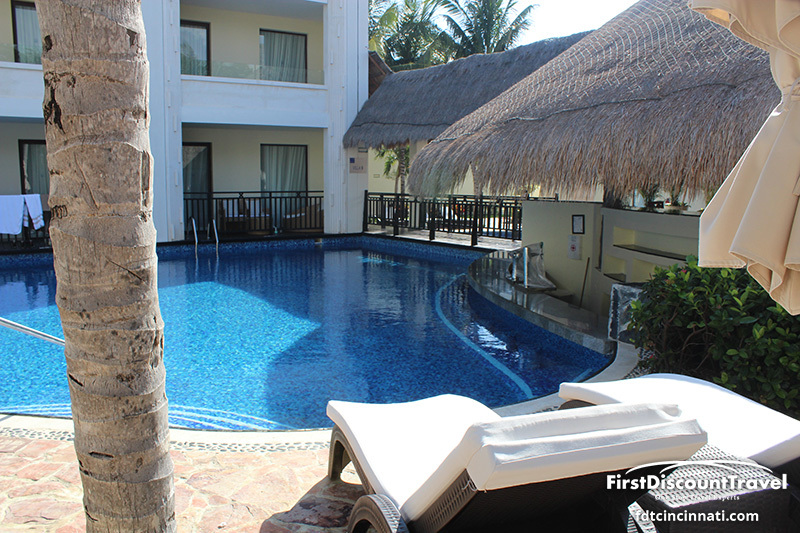 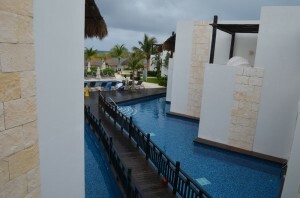 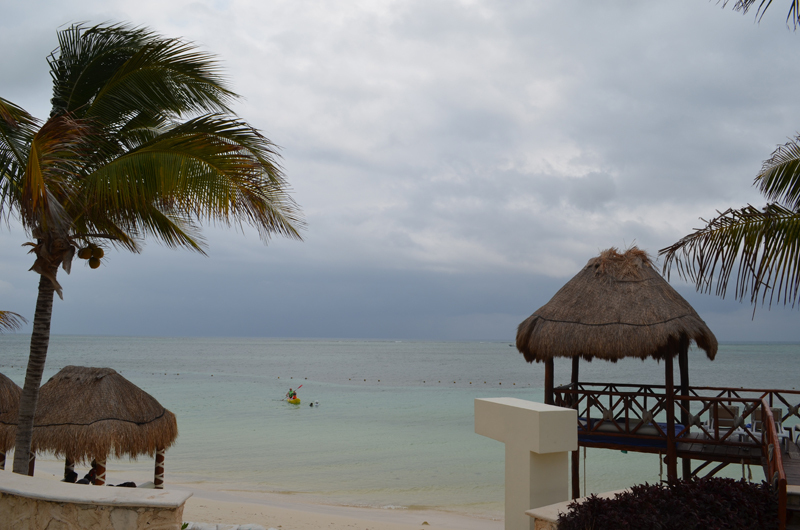 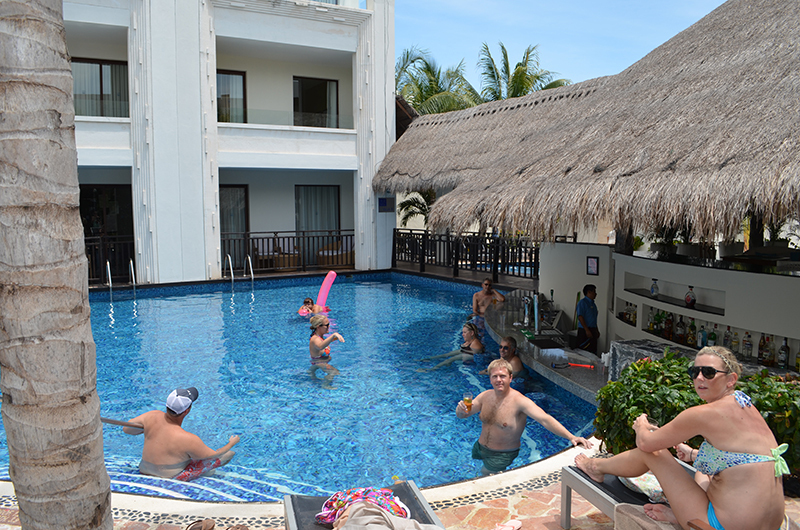 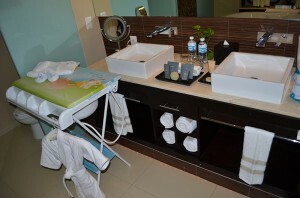 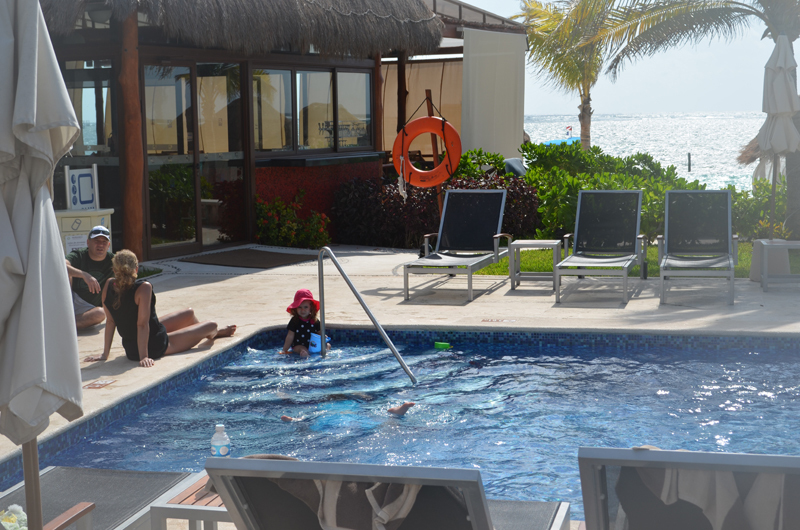 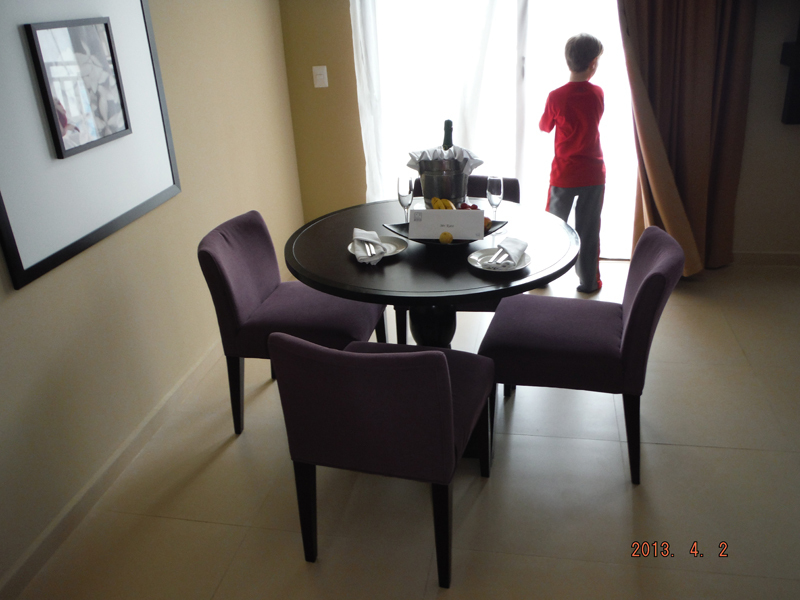 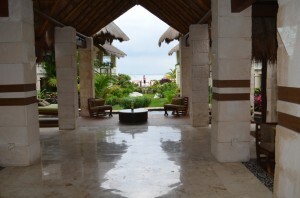 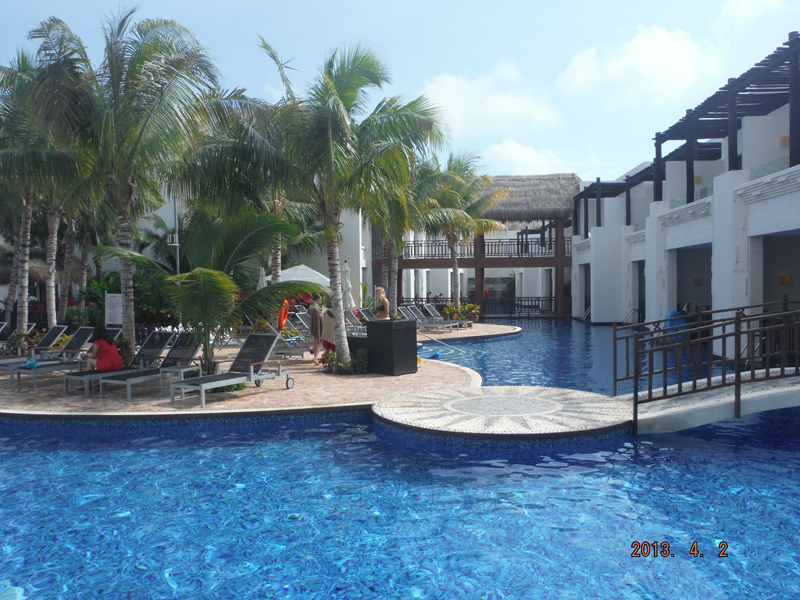 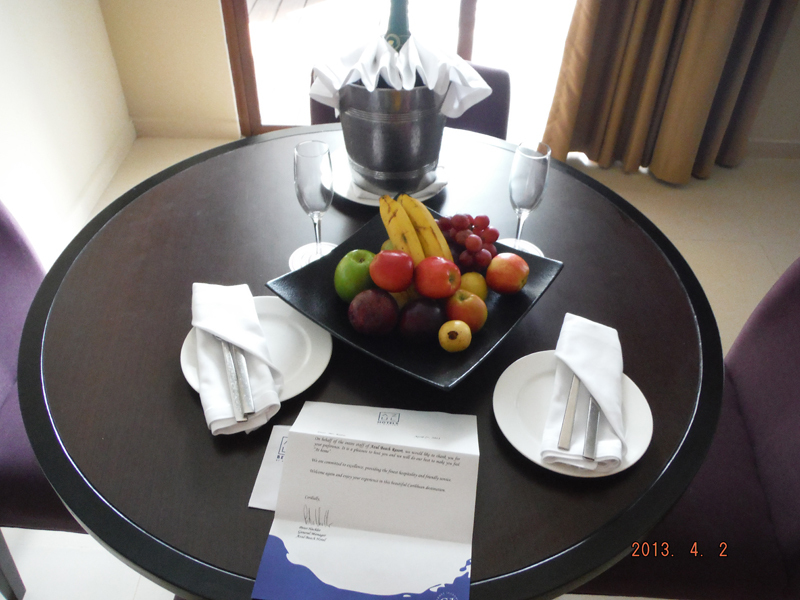 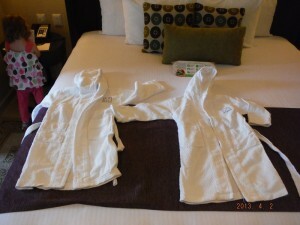 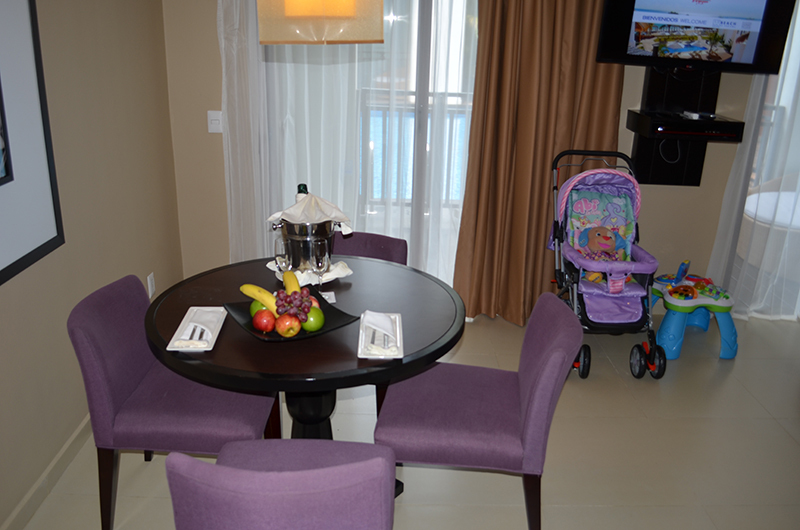 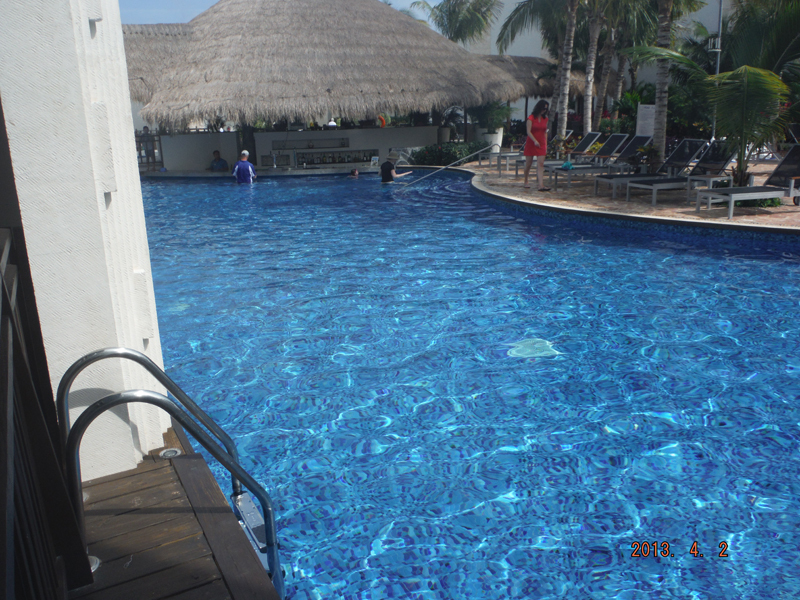 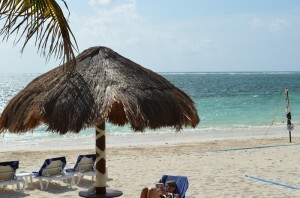 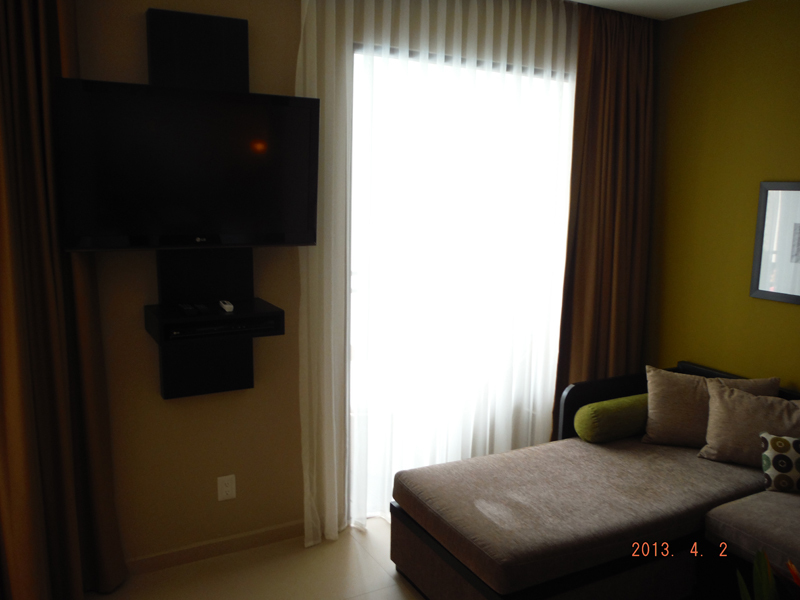 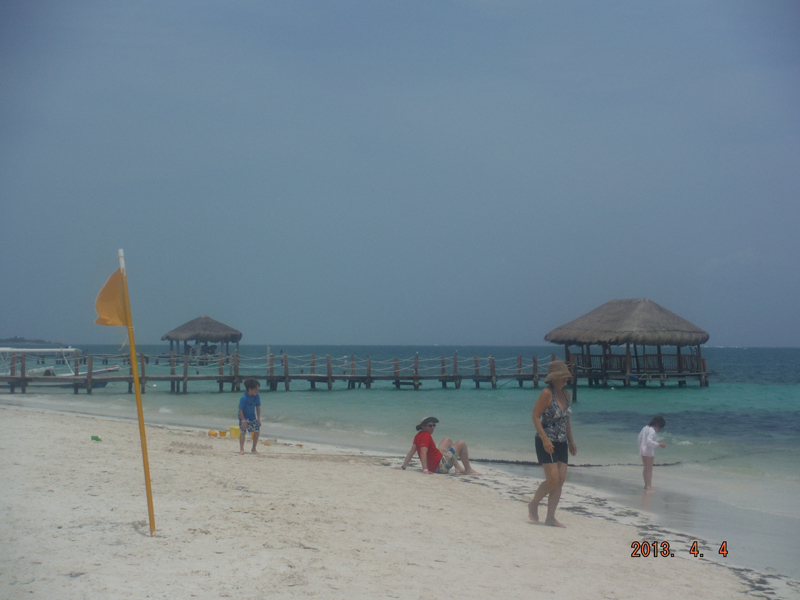 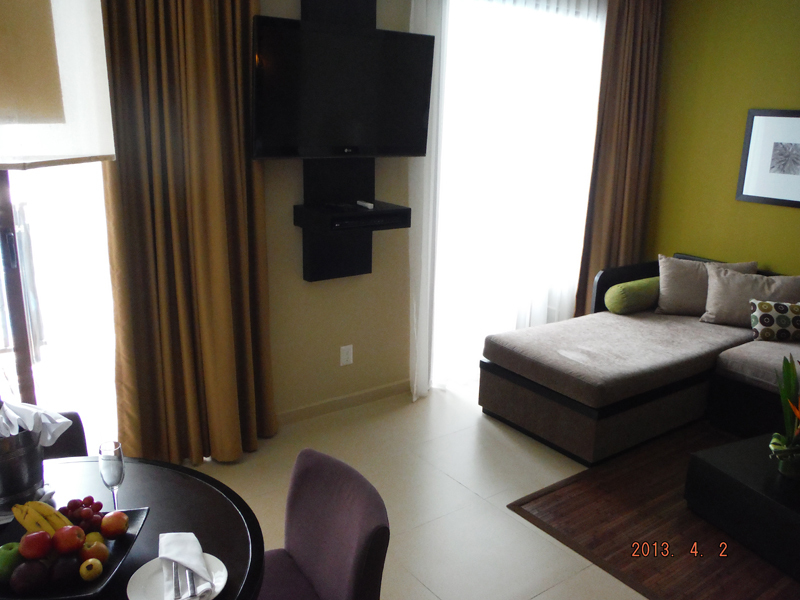 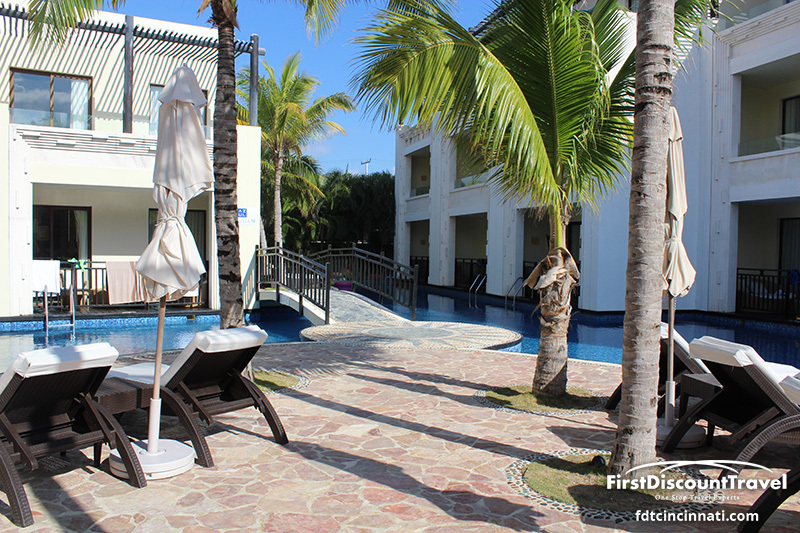 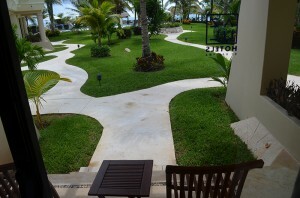 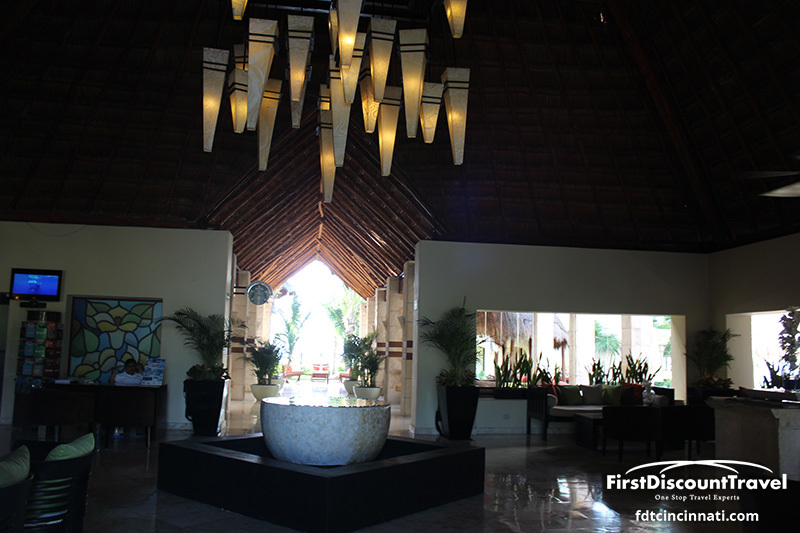 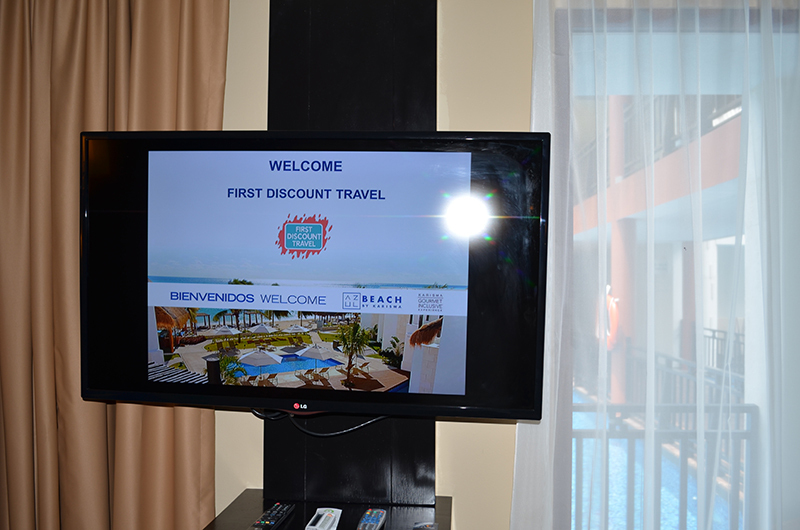 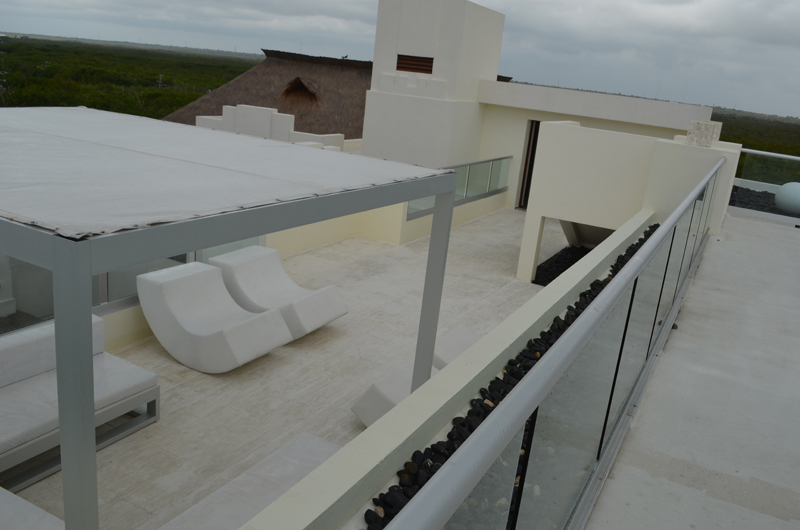 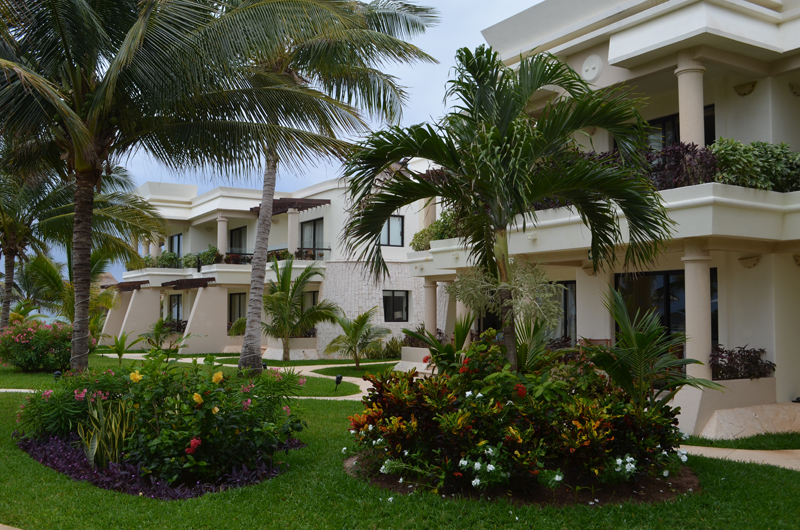 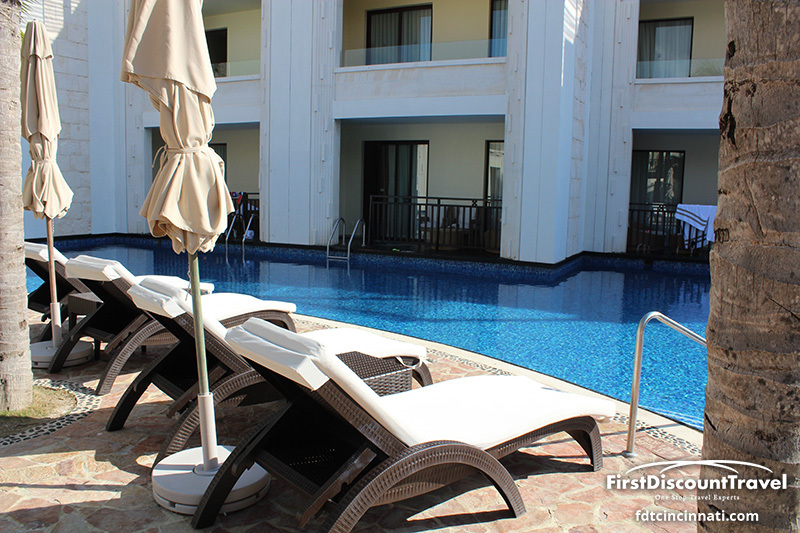 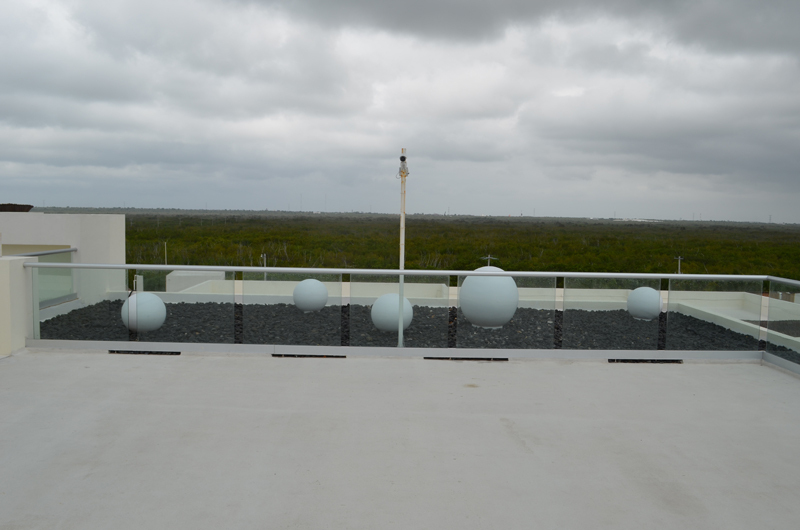 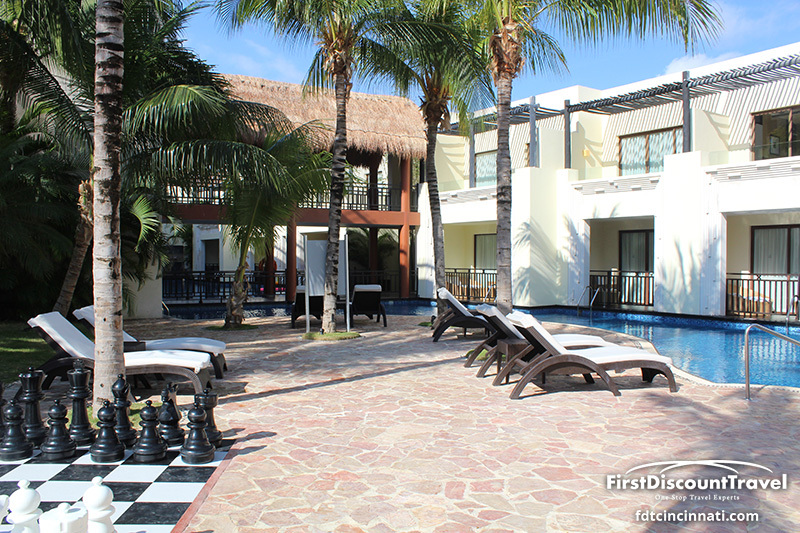 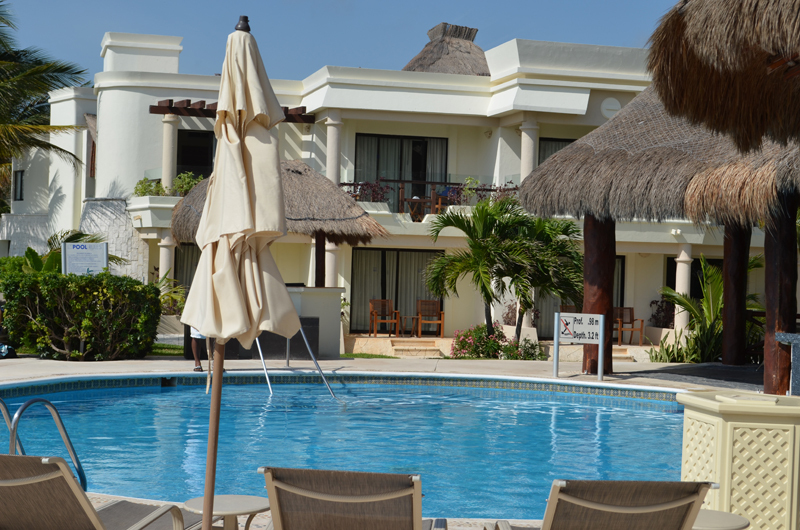 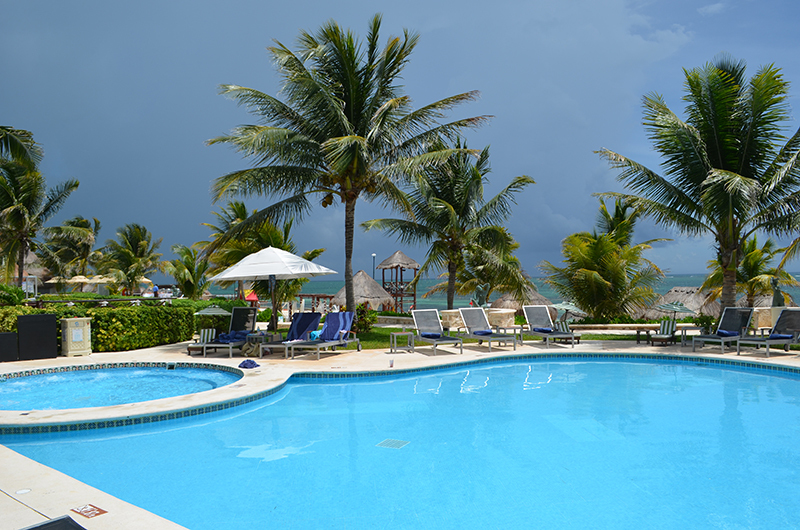 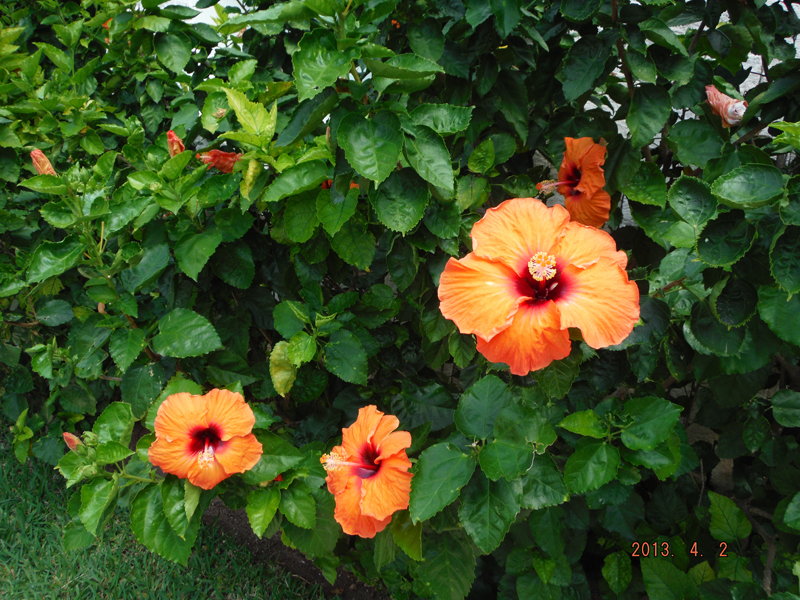 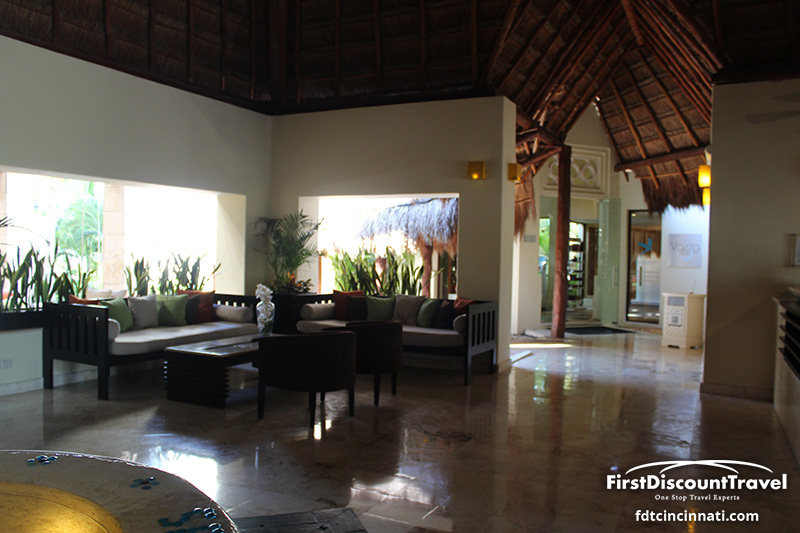 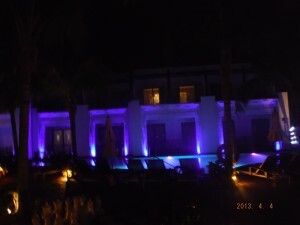 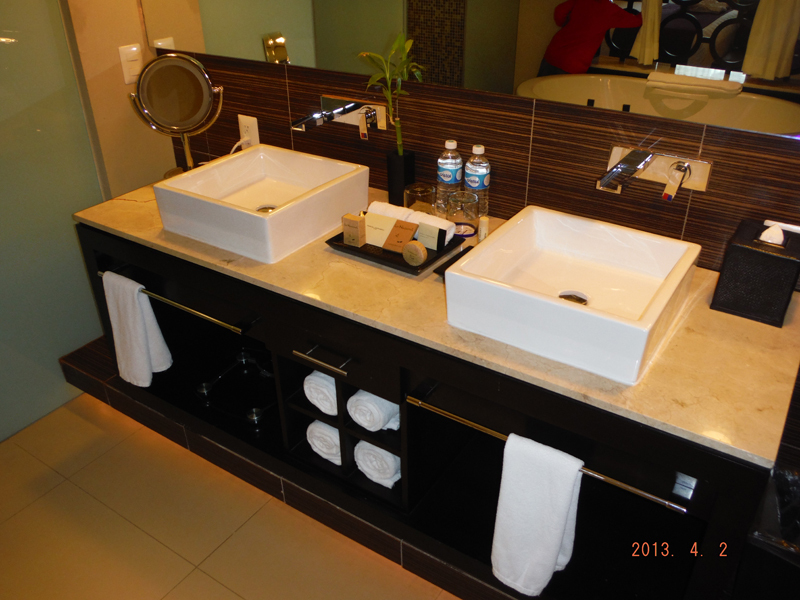 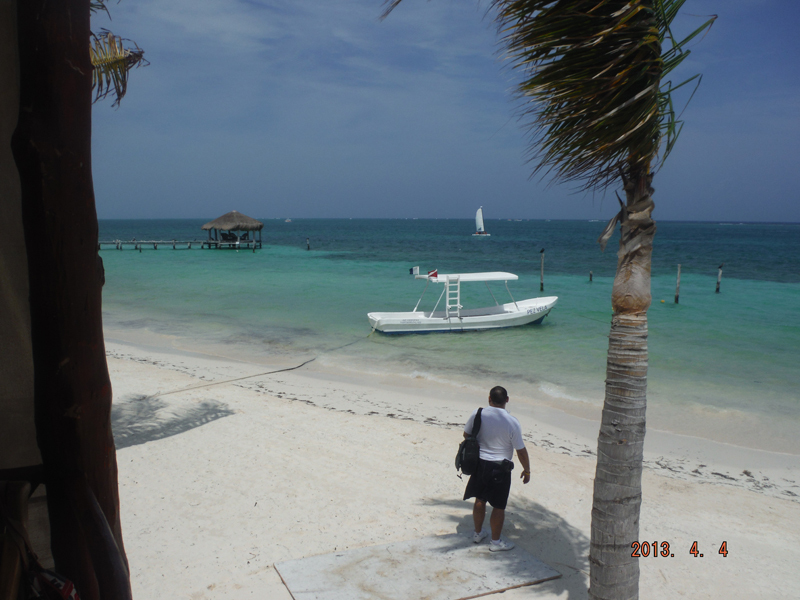 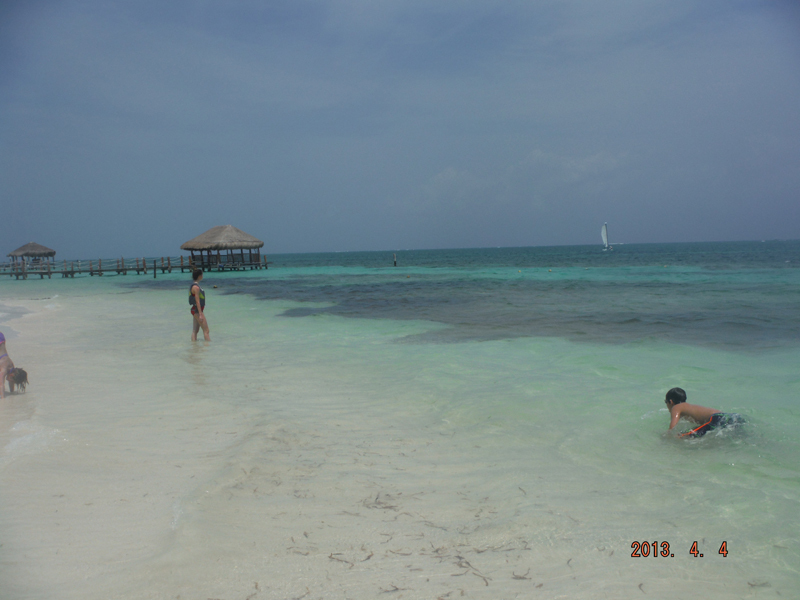 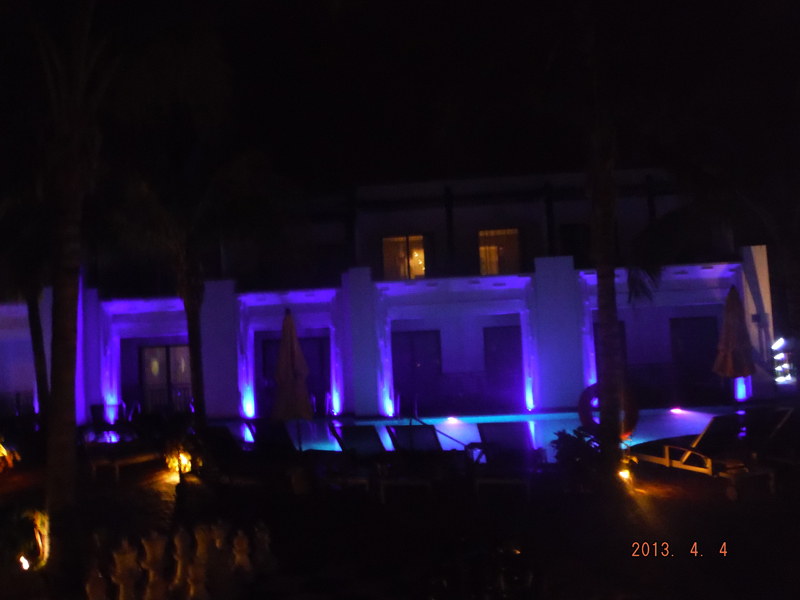 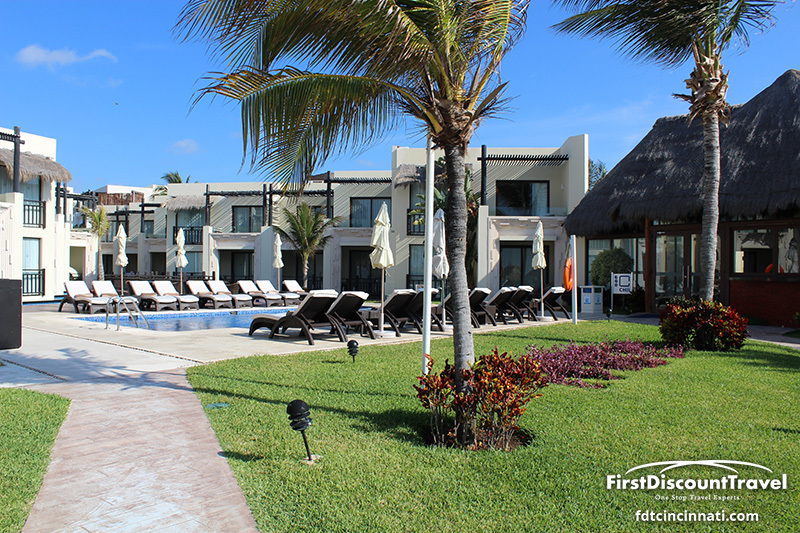 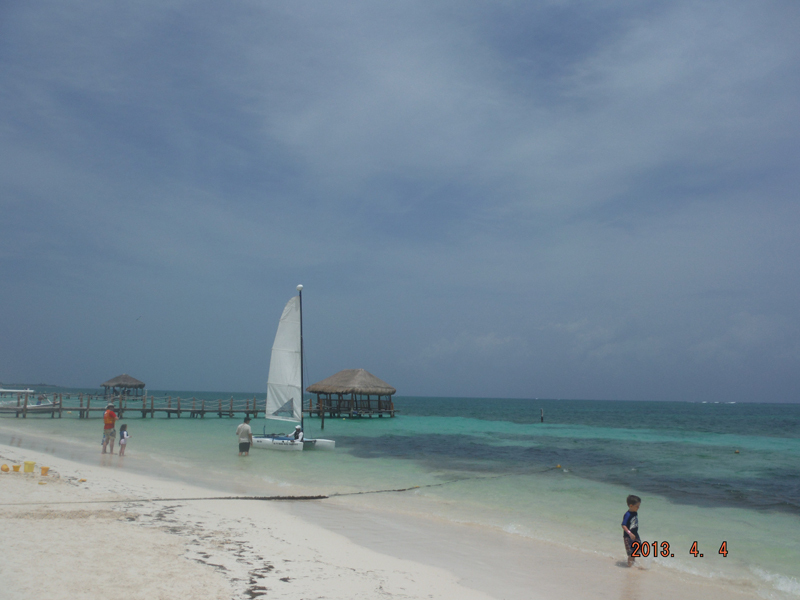 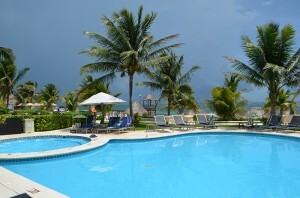 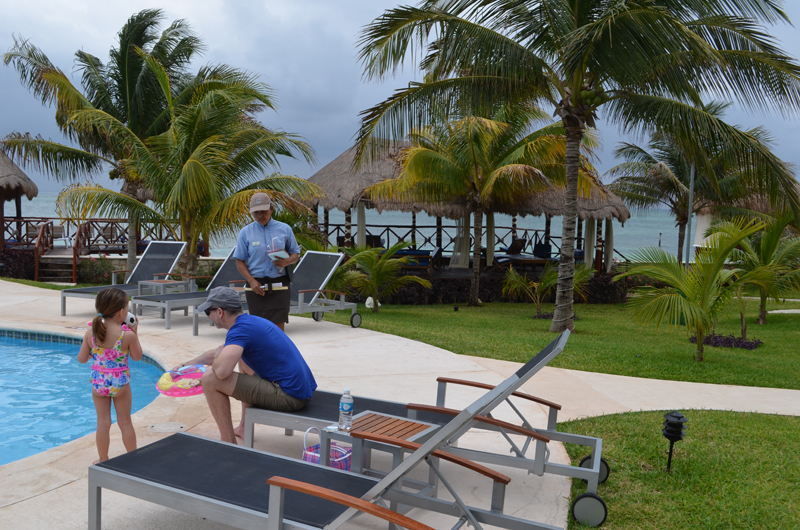 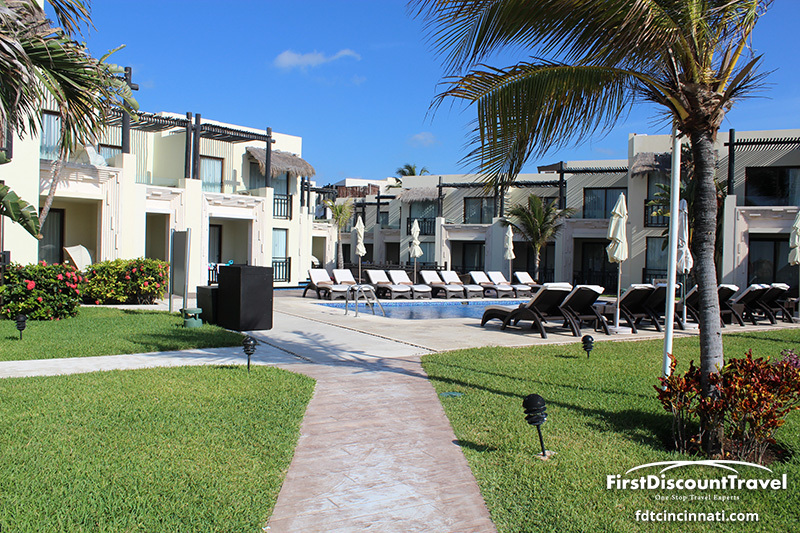 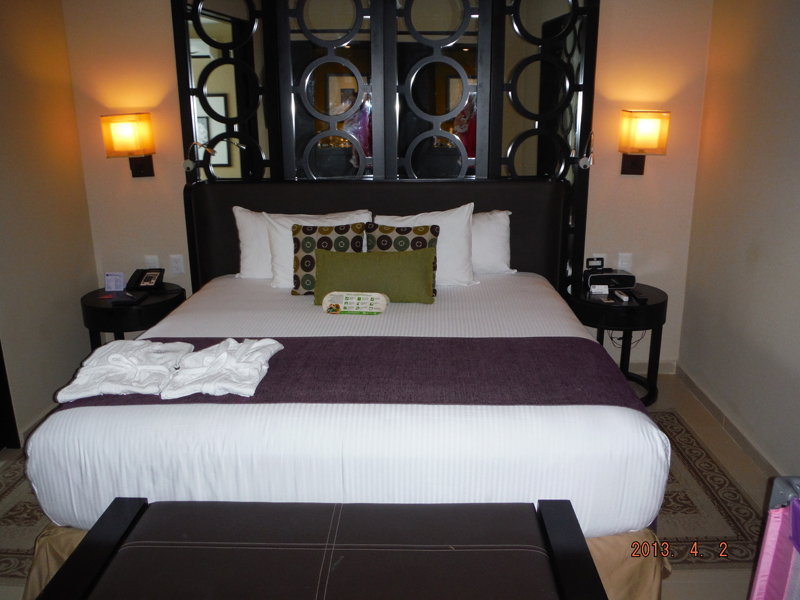 I spent a week at the Azul Beach in April of 2013 and absolutely loved my family suite and the resort itself. 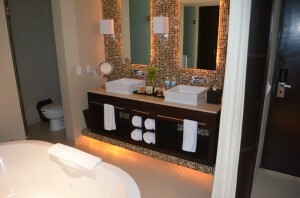 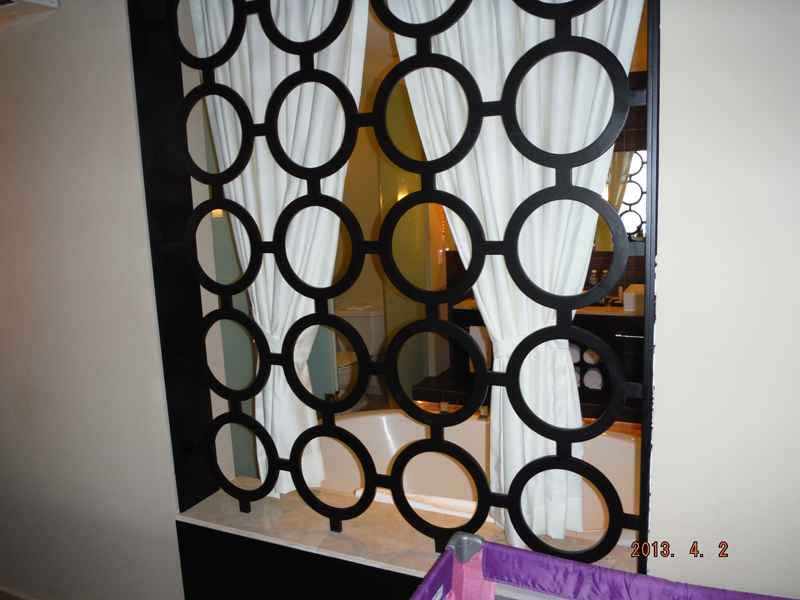 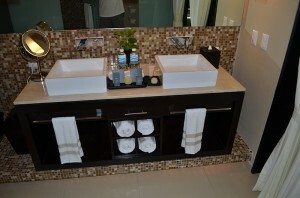 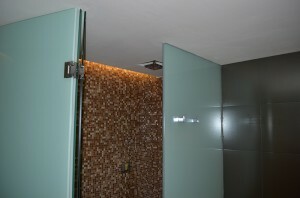 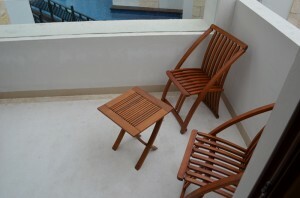 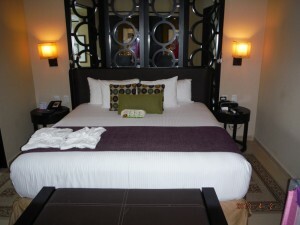 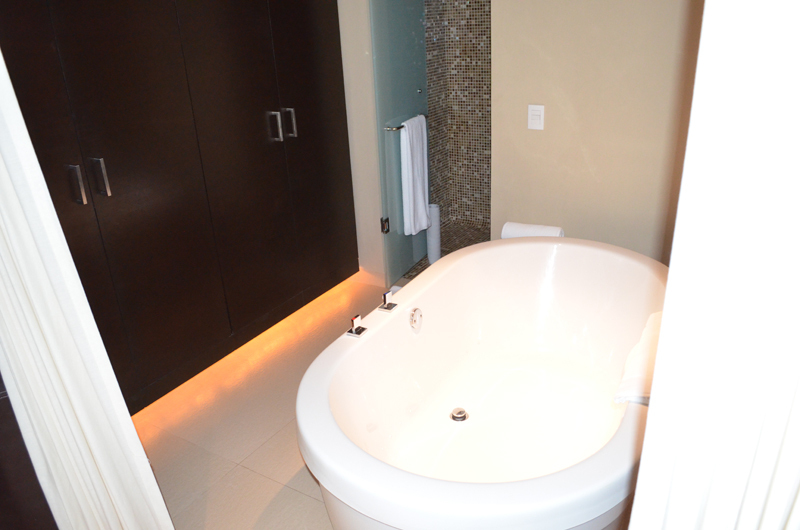 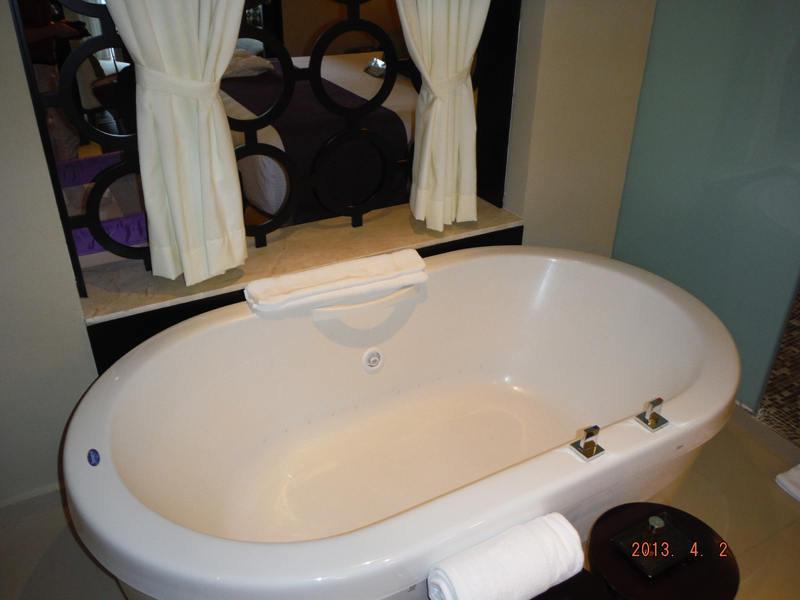 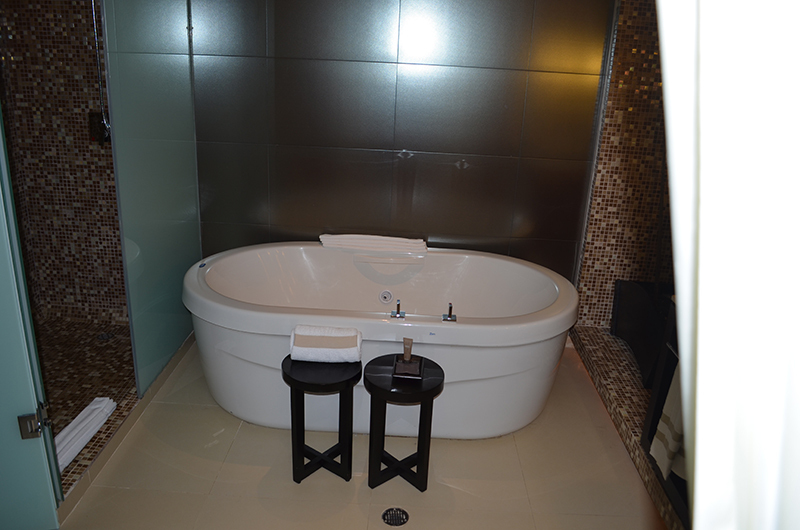 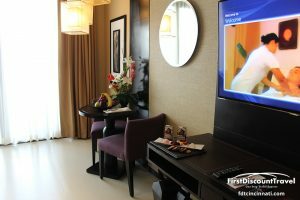 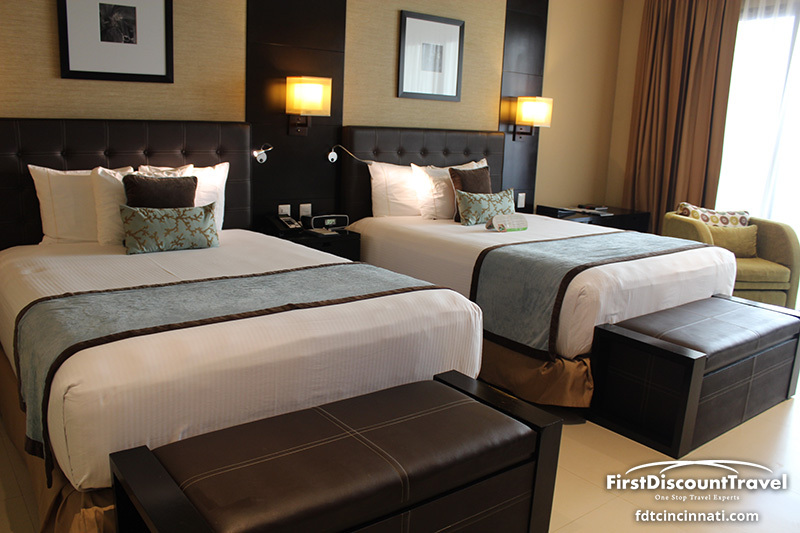 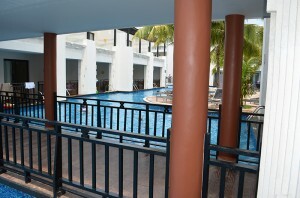 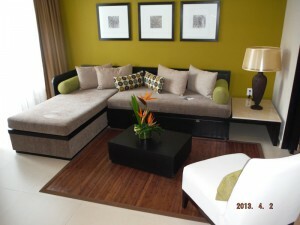 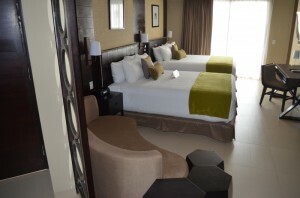 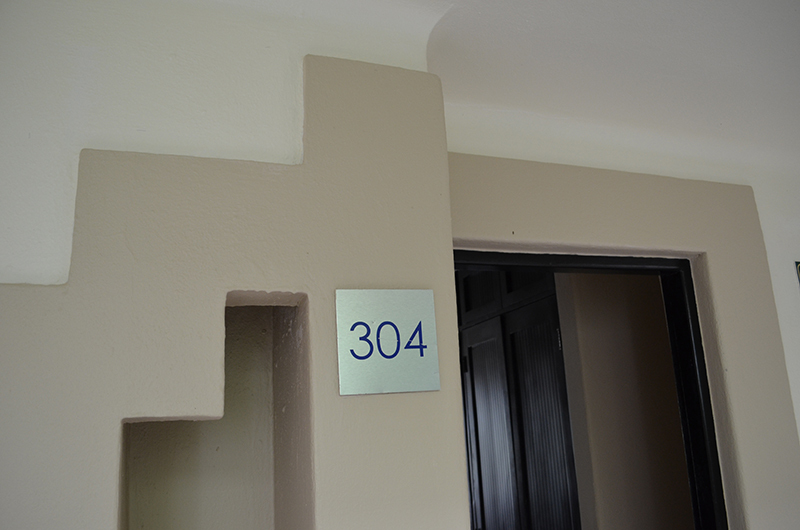 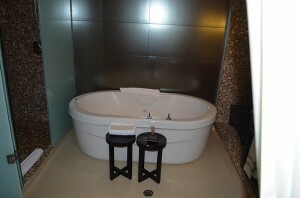 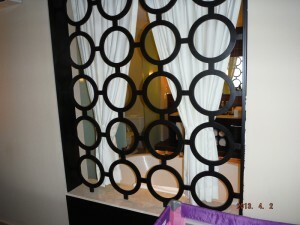 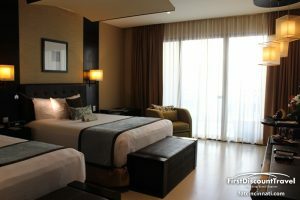 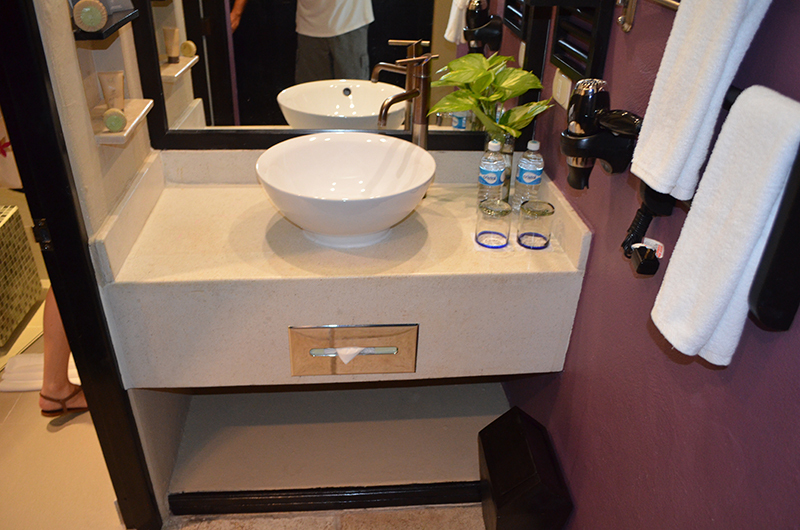 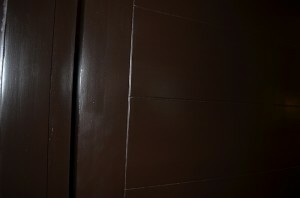 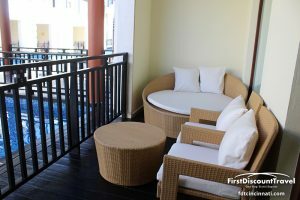 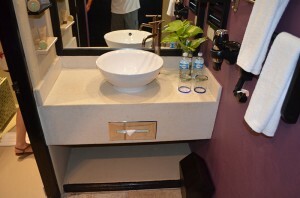 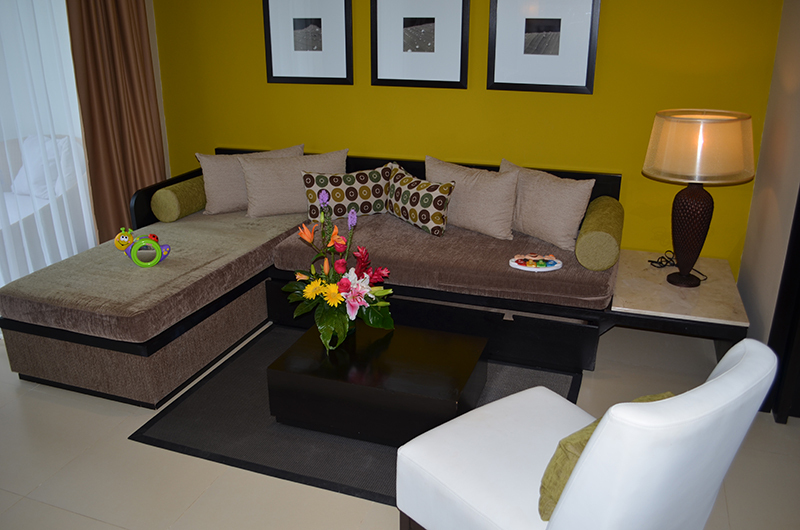 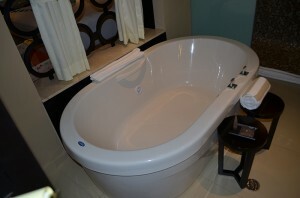 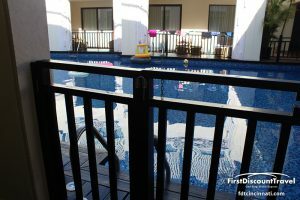 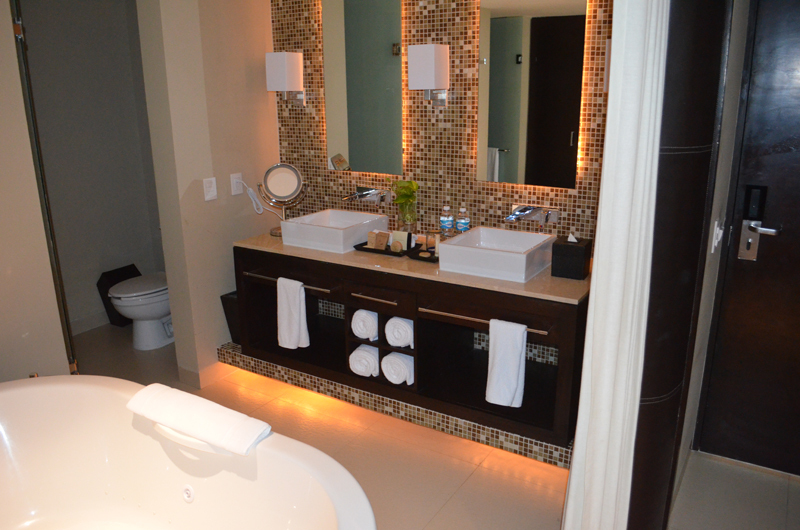 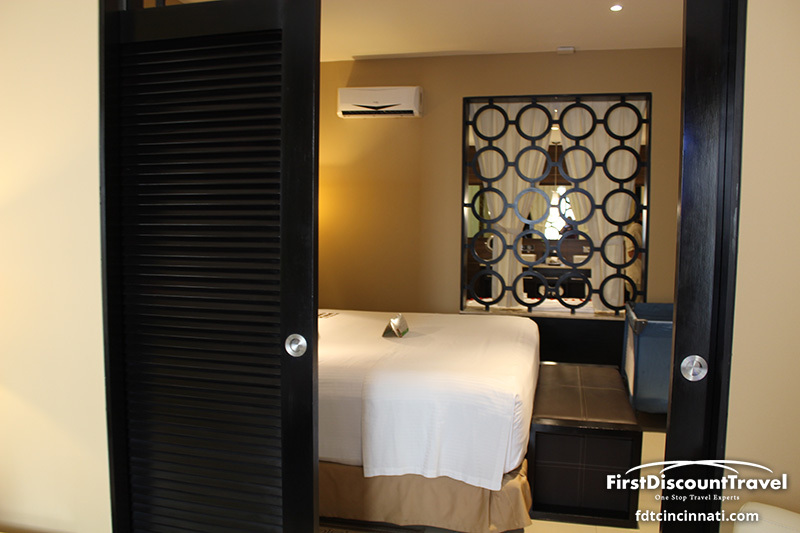 The rooms are beautifully decorated with large two person Jacuzzi, double vanity, and separate master bedroom. 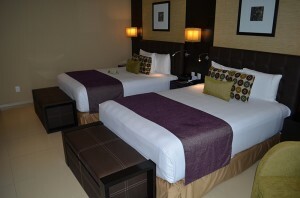 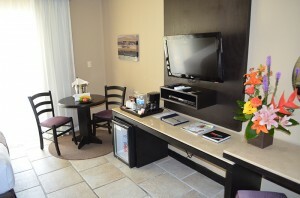 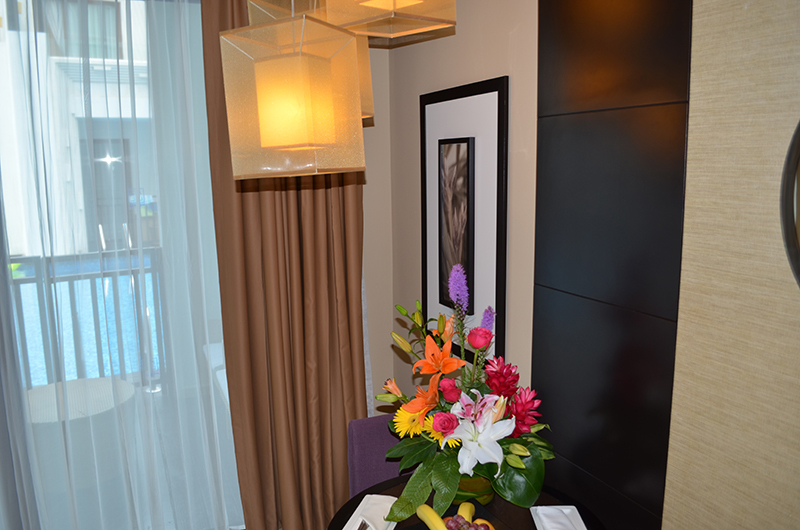 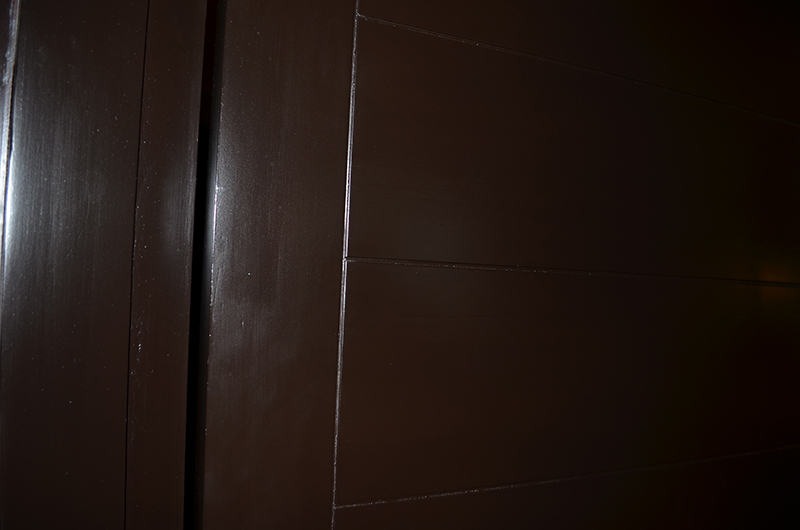 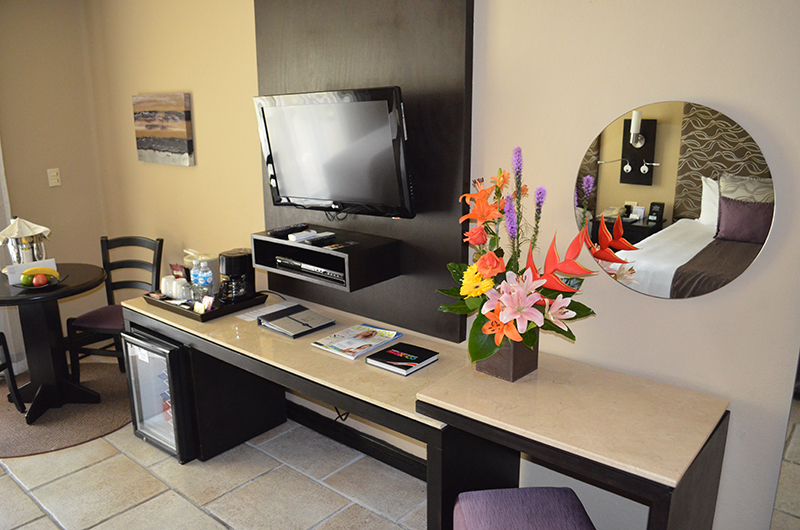 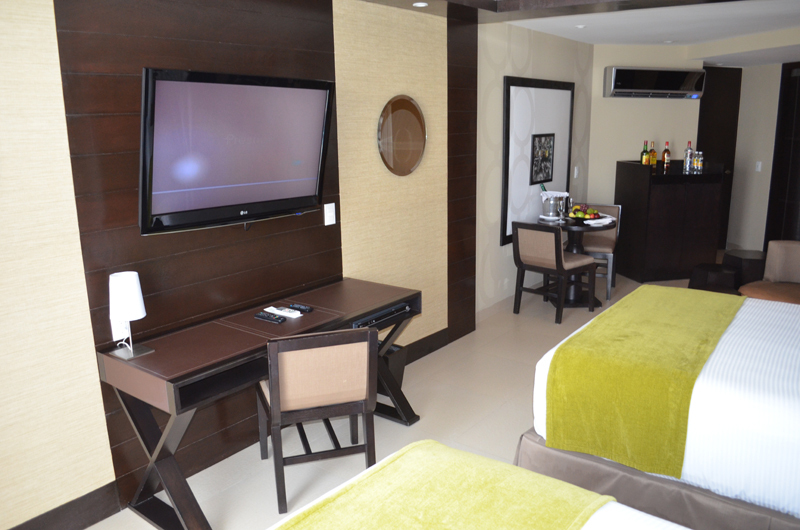 All room categories offer 24 hour room service and a fully stocked minibar. 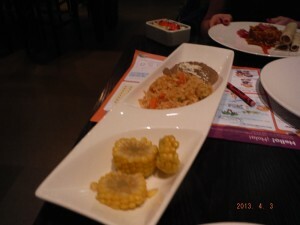 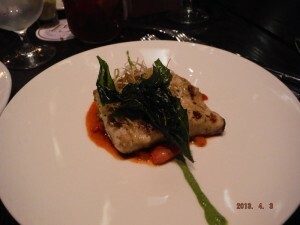 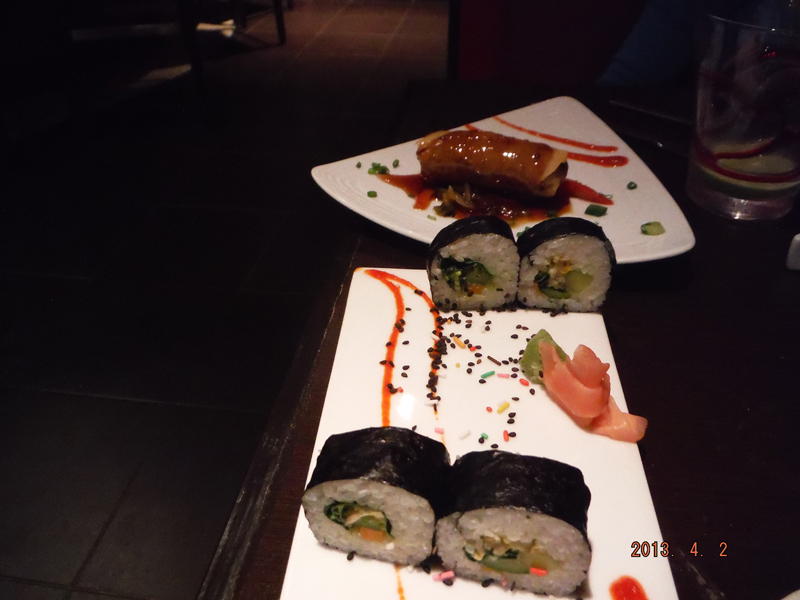 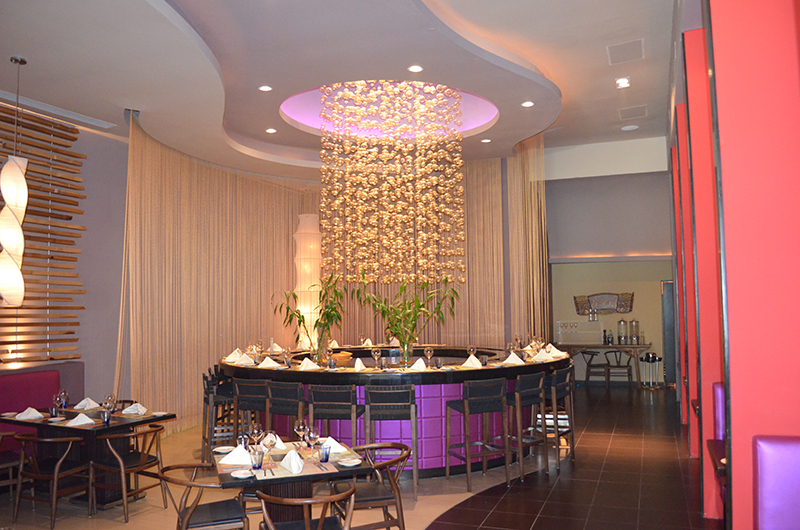 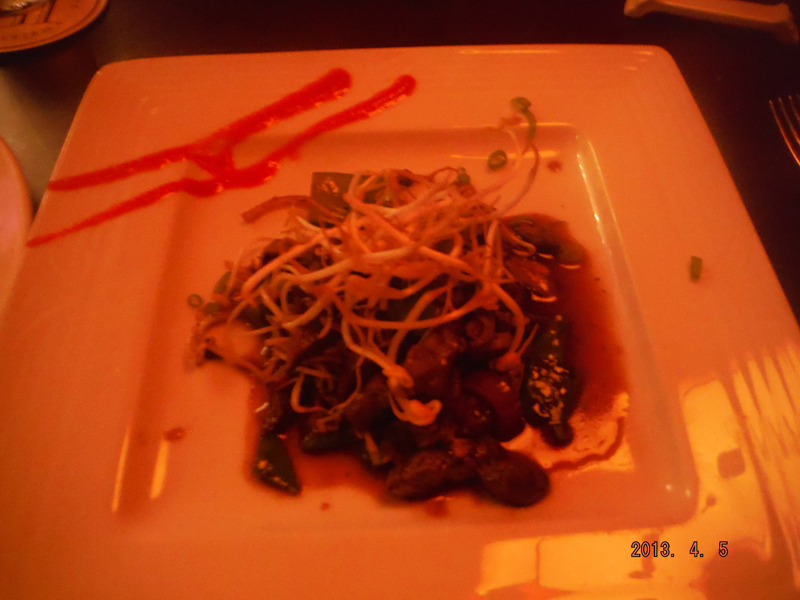 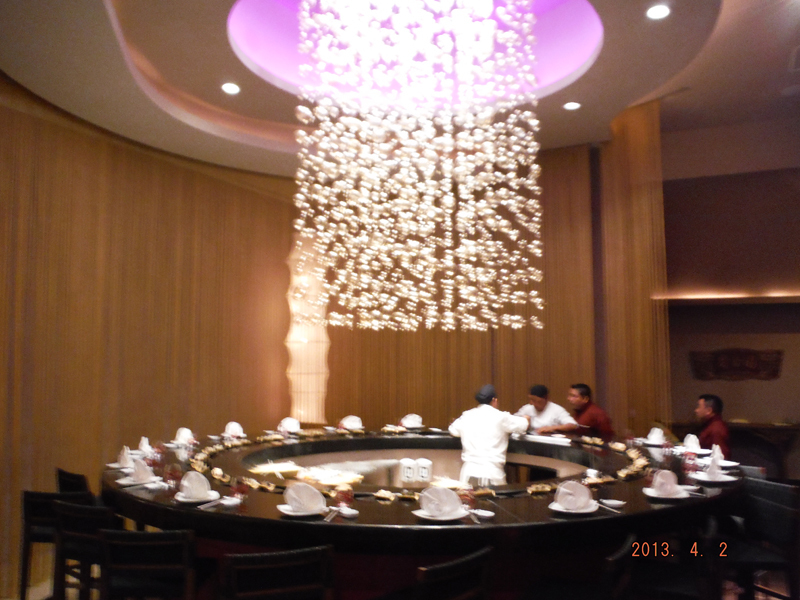 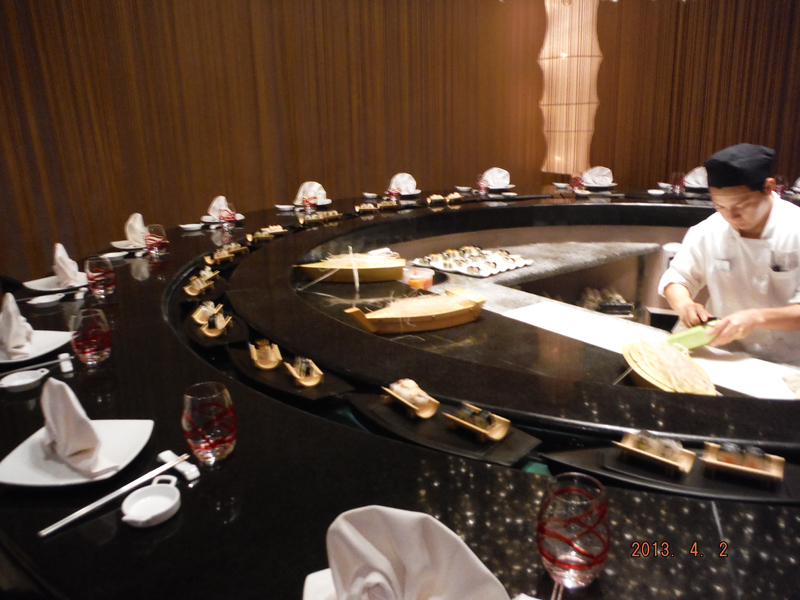 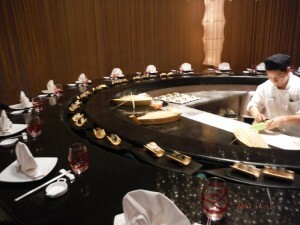 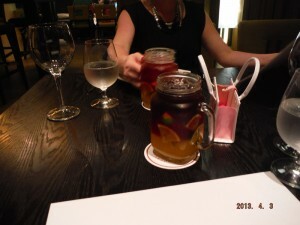 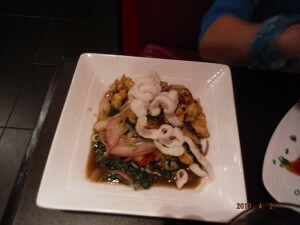 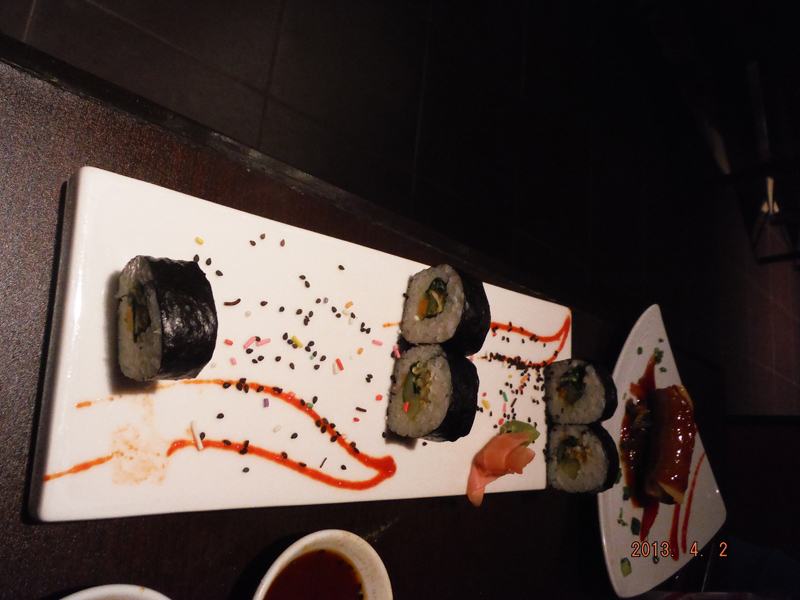 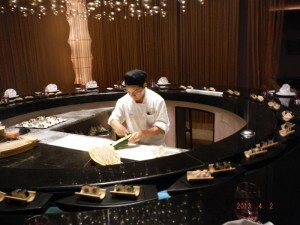 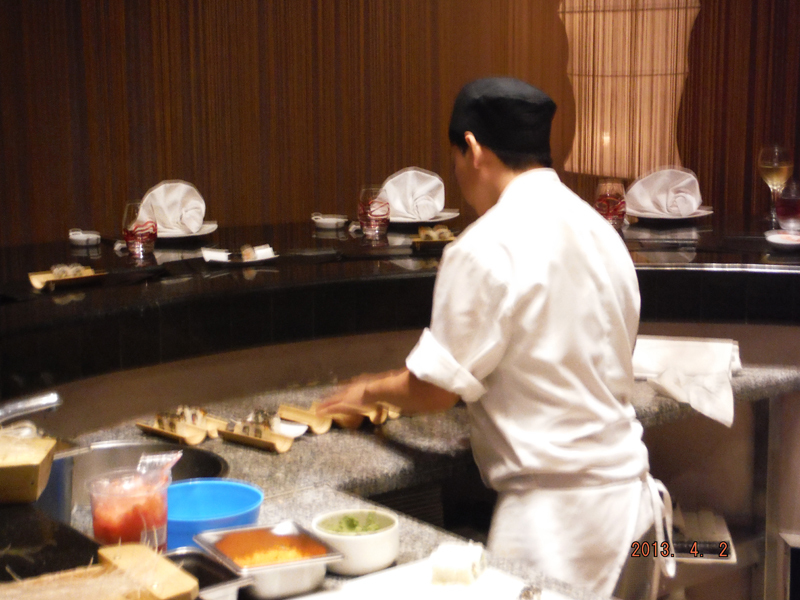 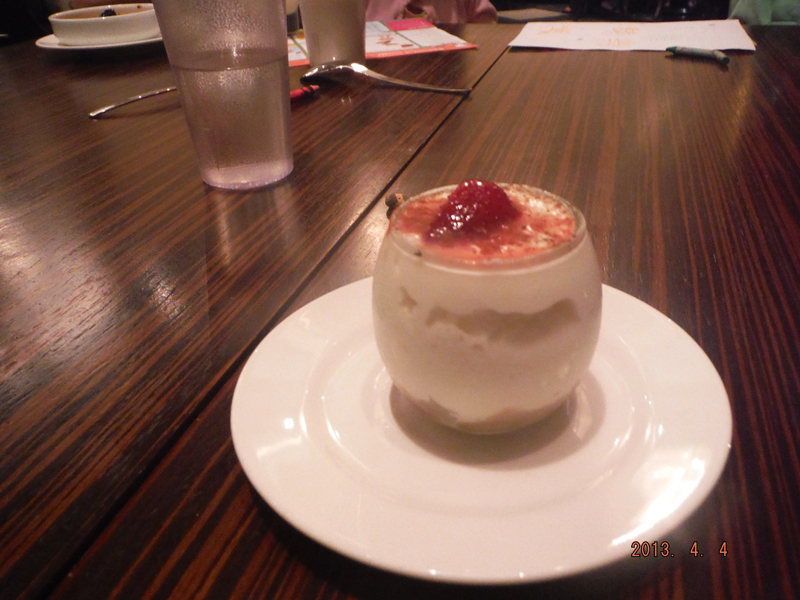 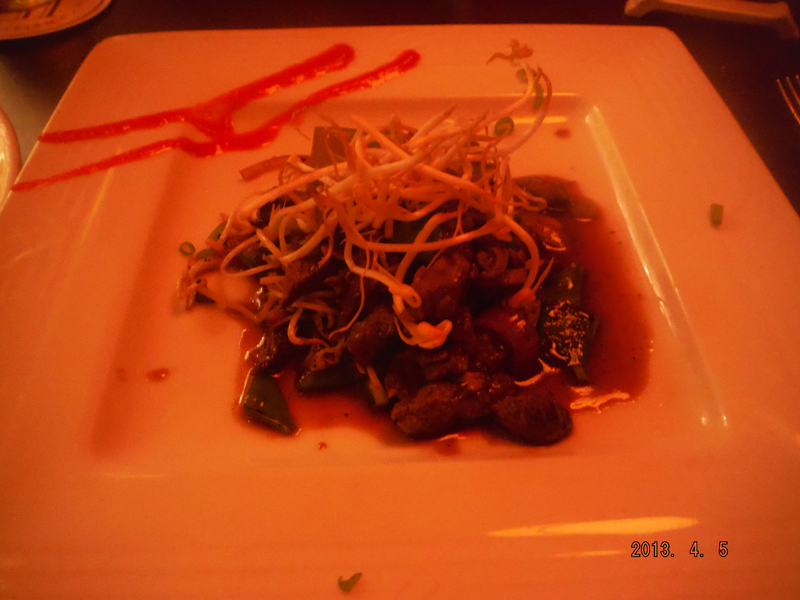 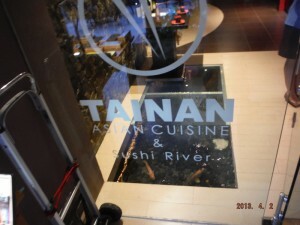 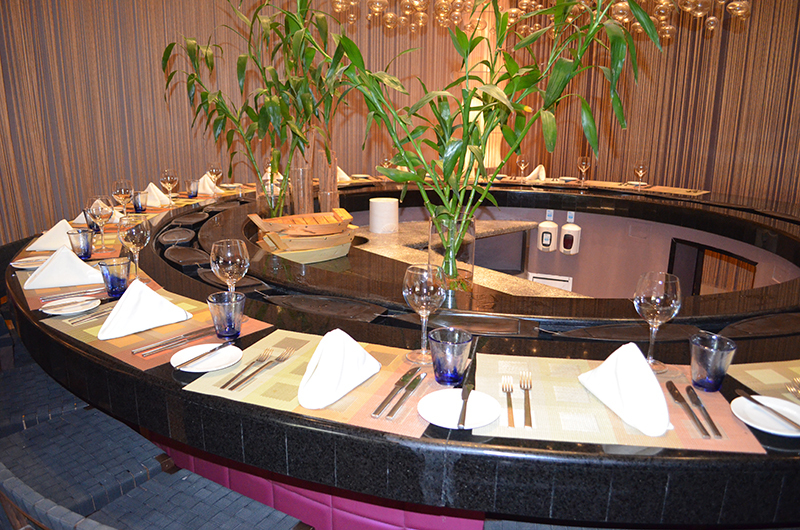 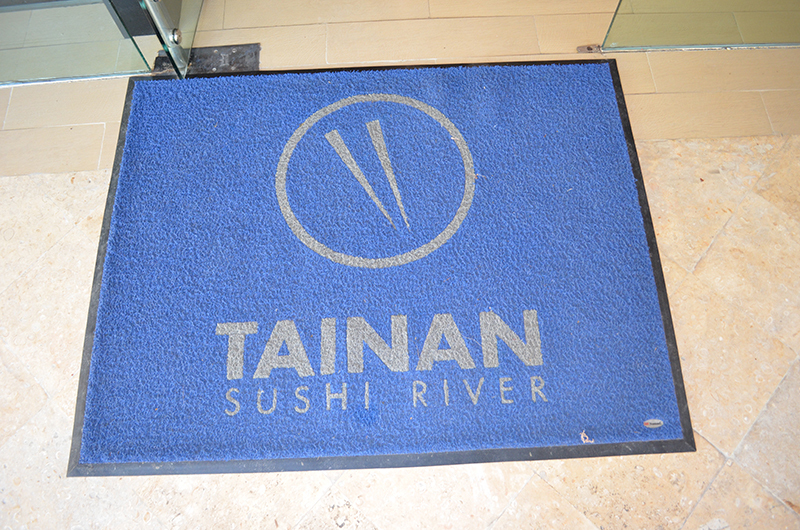 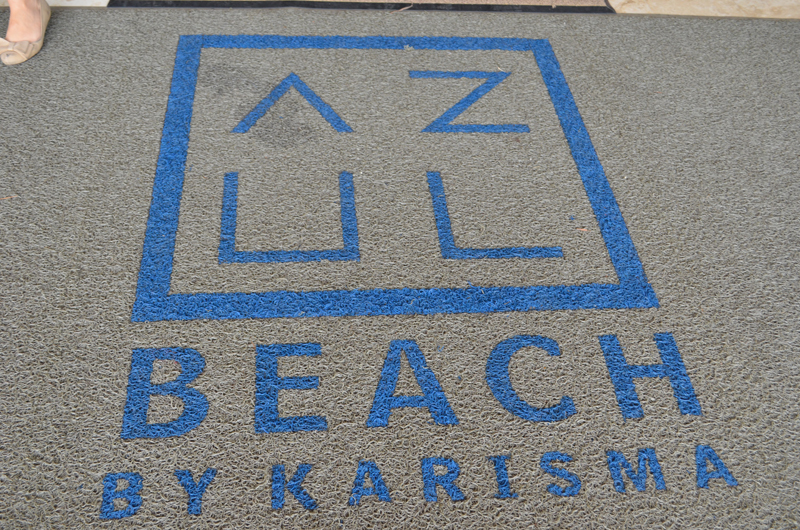 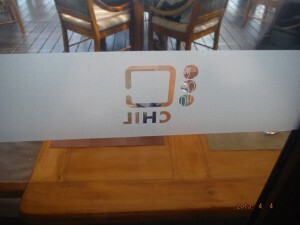 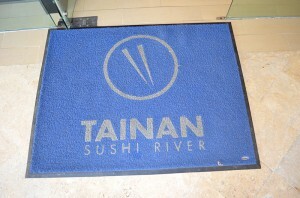 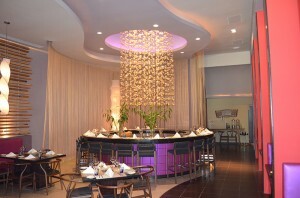 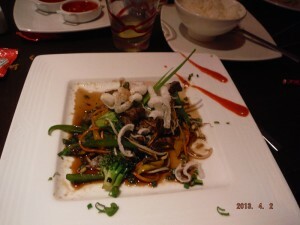 There are six restaurants at the Azul Beach including the Sushi Island in the Tainan restaurant. 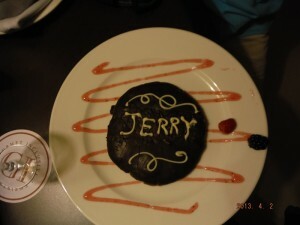 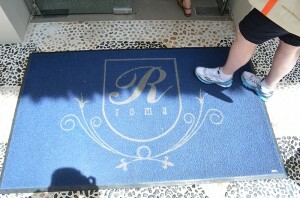 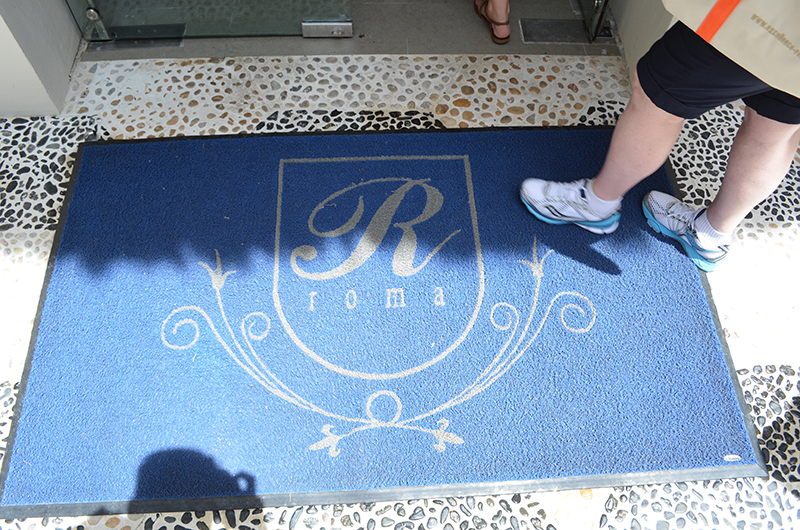 This was my favorite restaurant, but Roma was a close second. 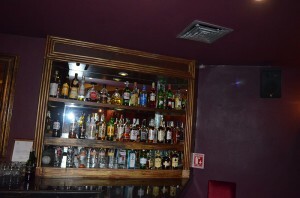 All Karisma properties serve top shelf liquor and Mexican beers. 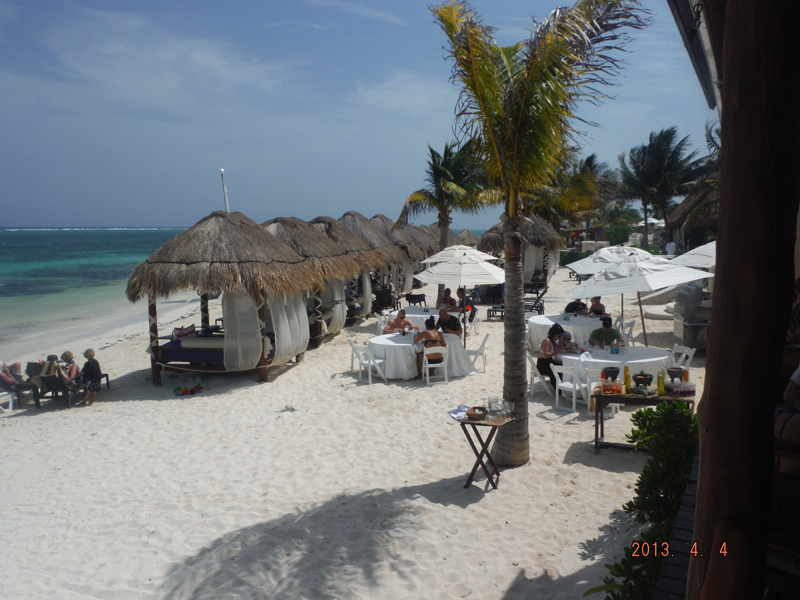 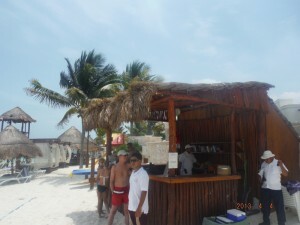 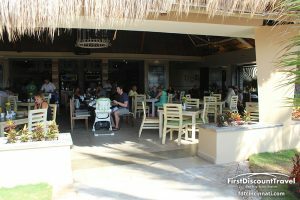 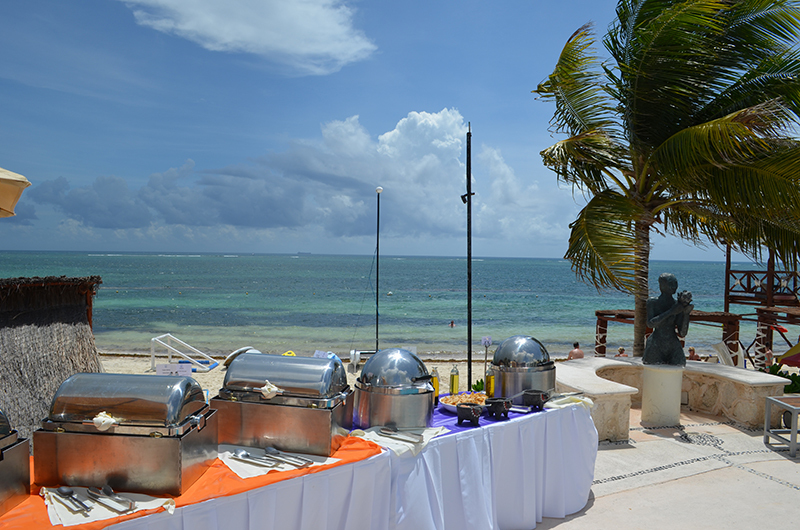 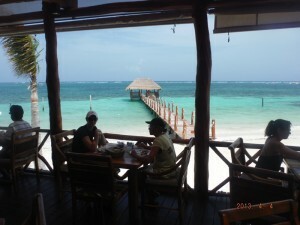 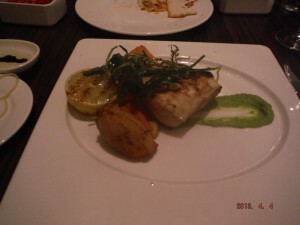 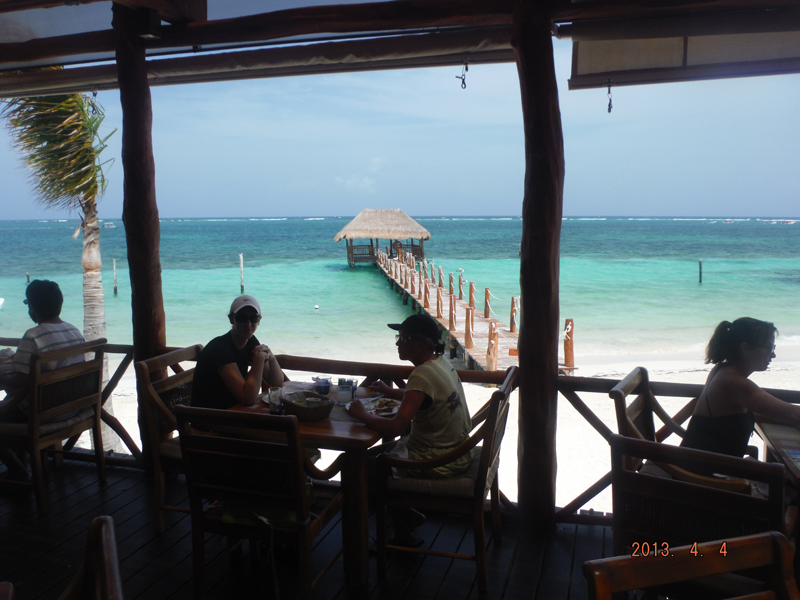 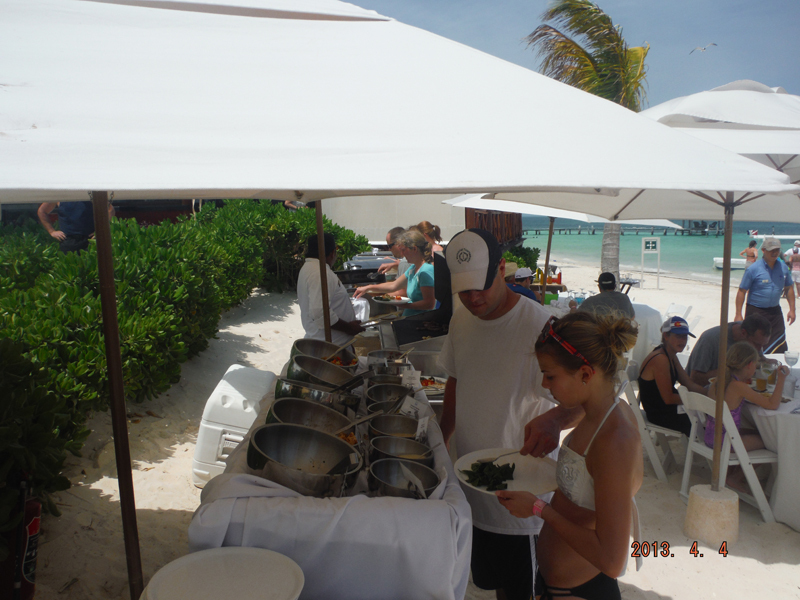 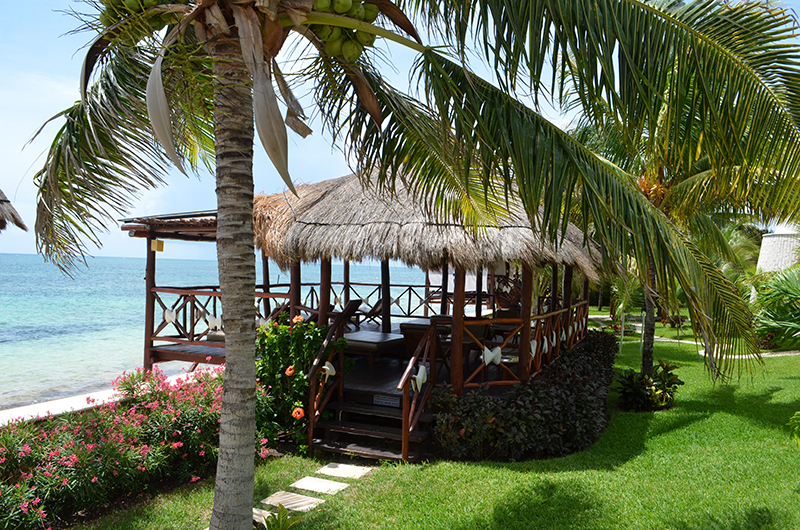 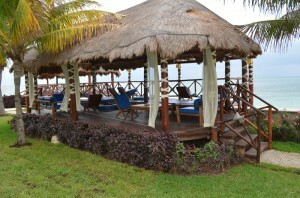 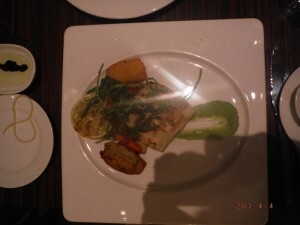 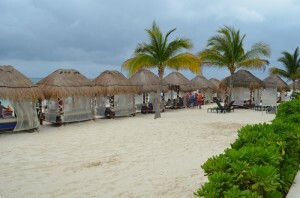 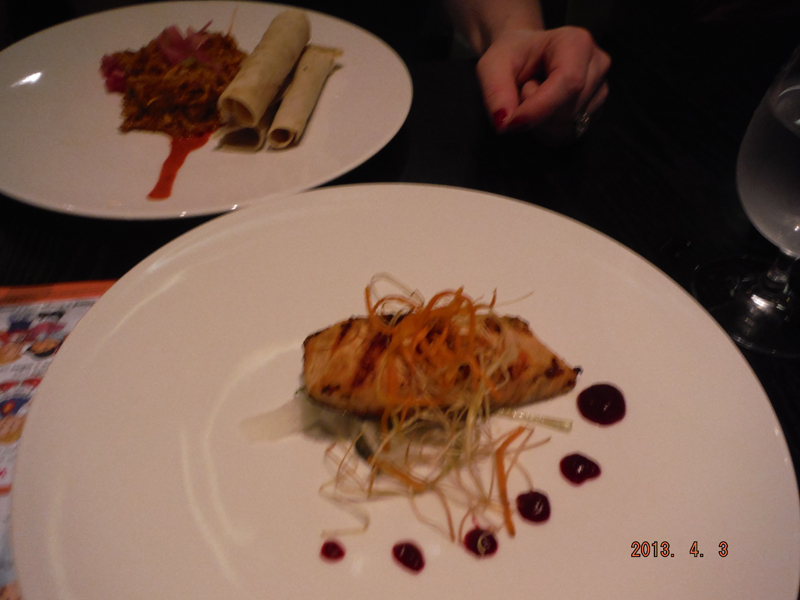 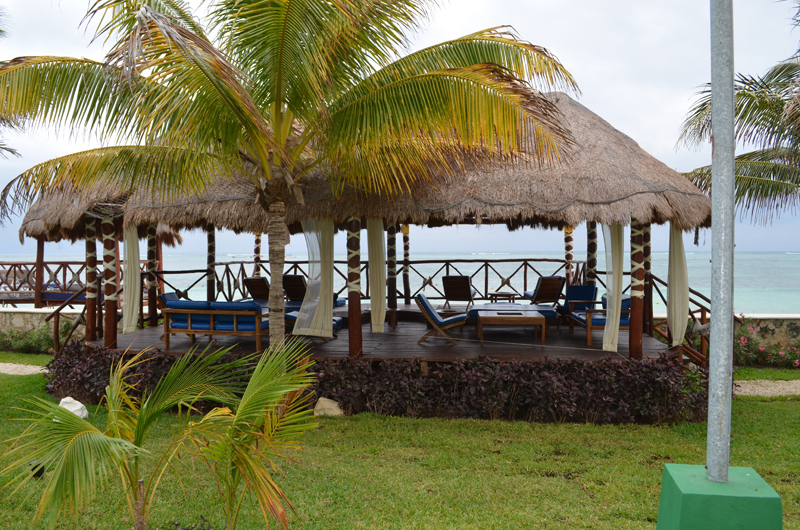 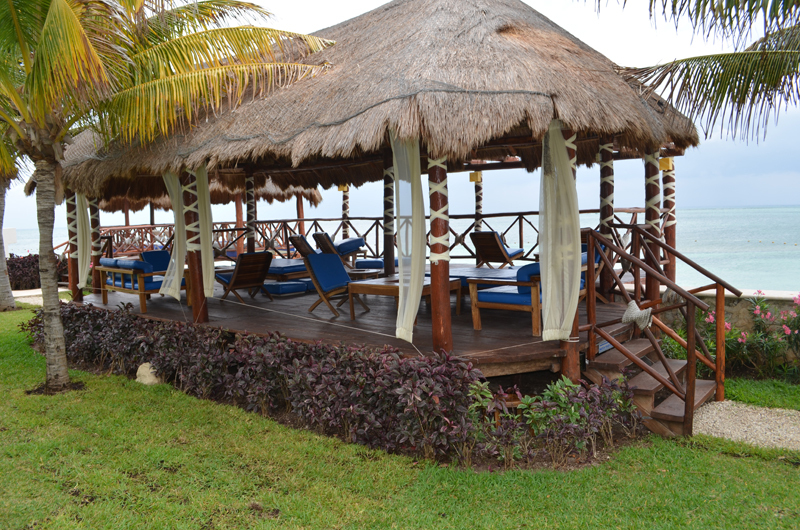 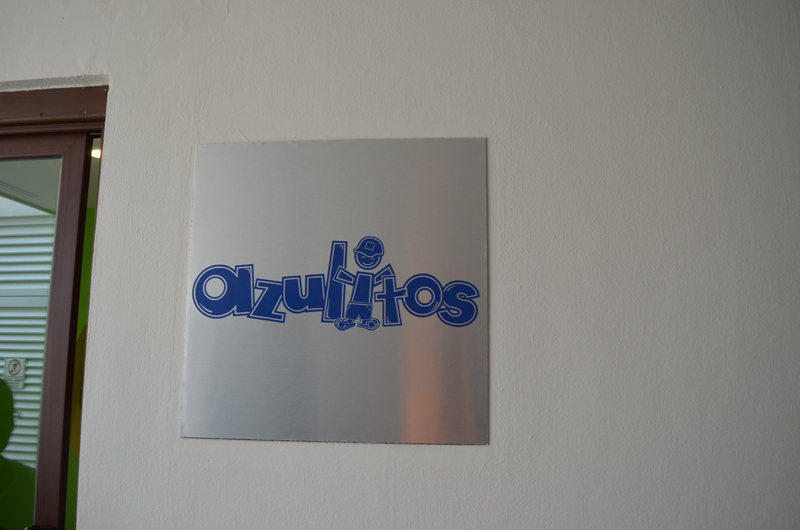 There are a total of six restaurants at the Azul Beach. 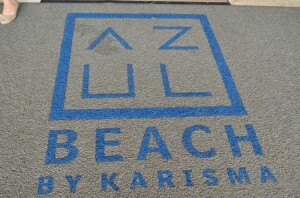 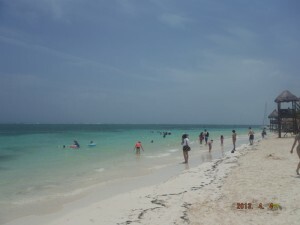 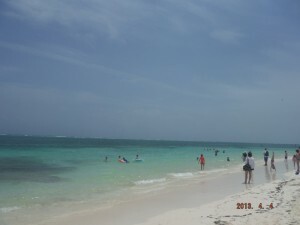 Overall, I LOVED the Azul Beach. 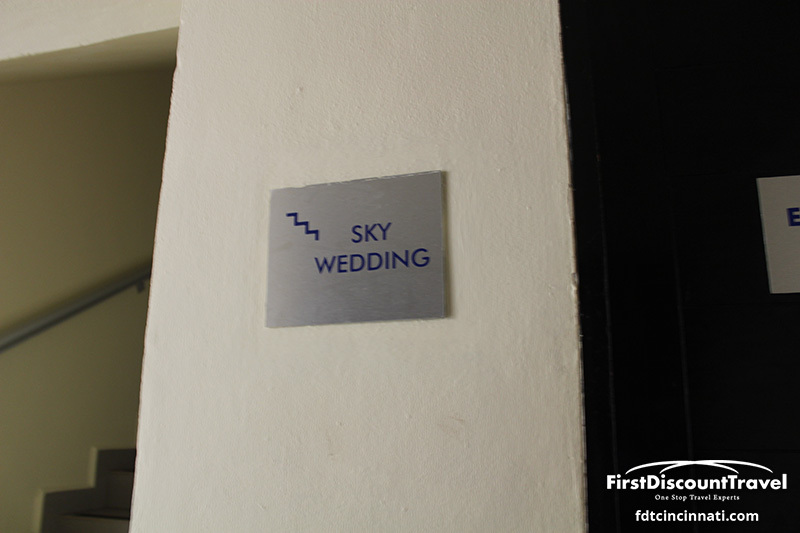 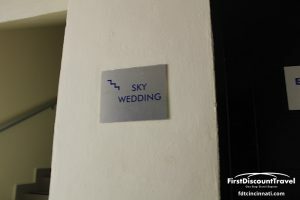 It would be perfect for a destination wedding due to the unique venues and close proximity to the airport. 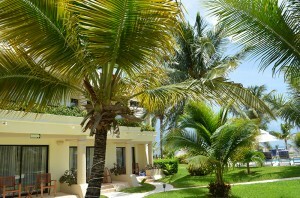 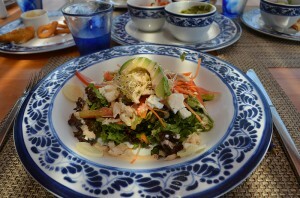 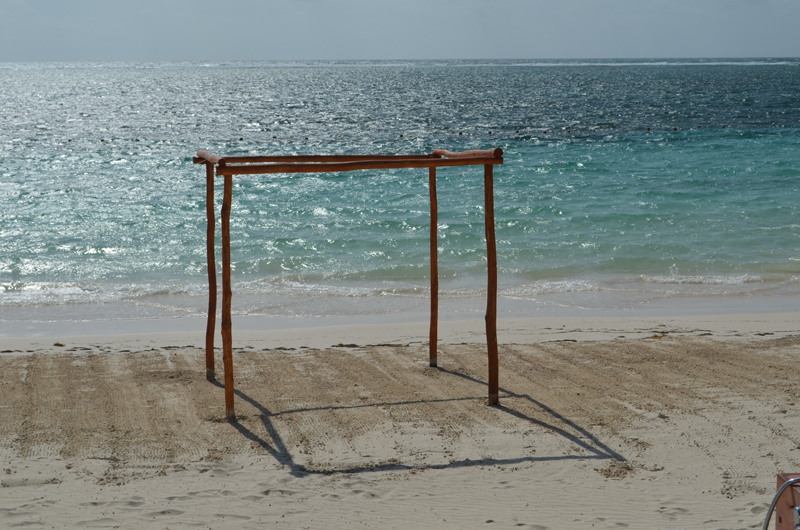 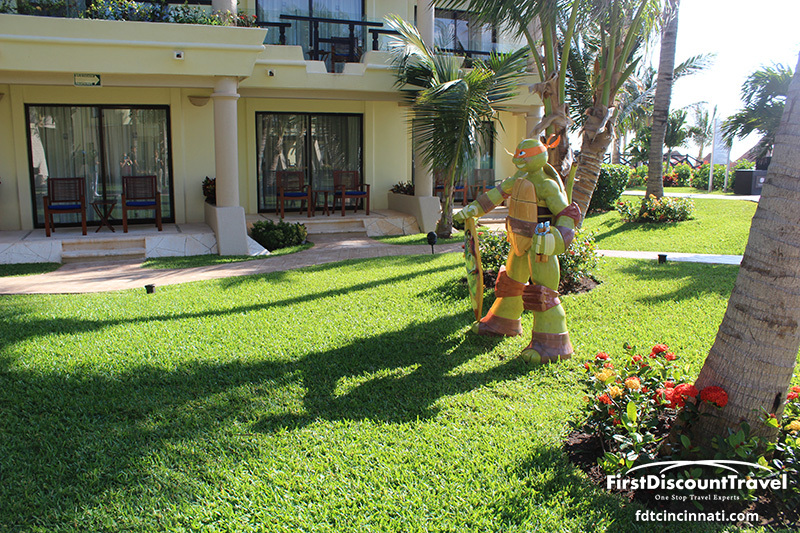 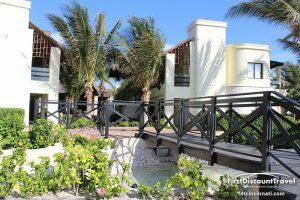 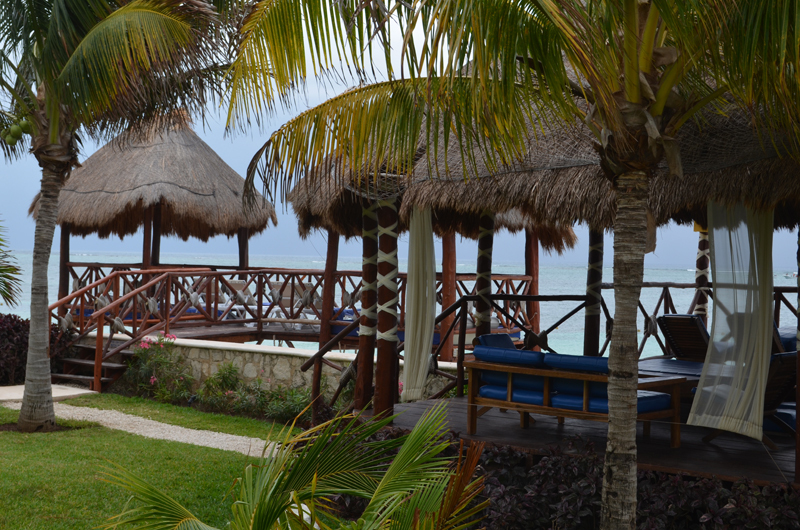 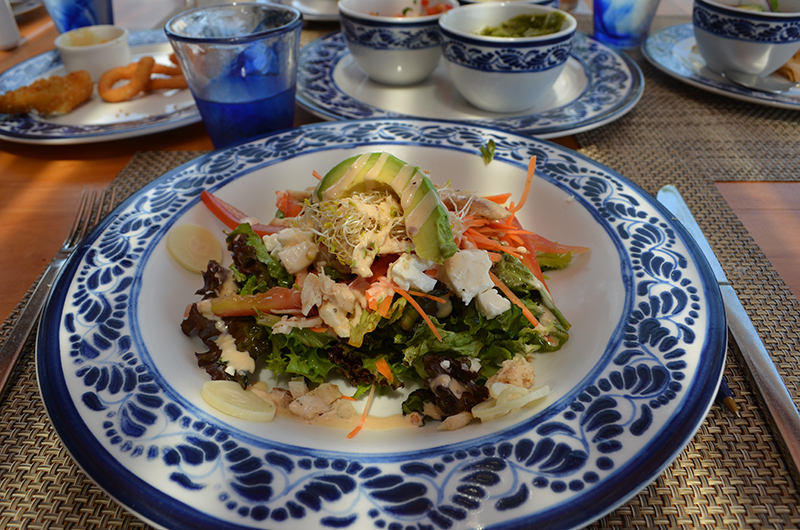 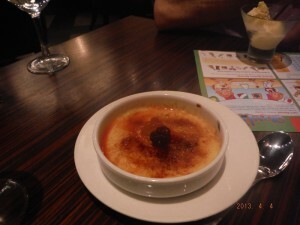 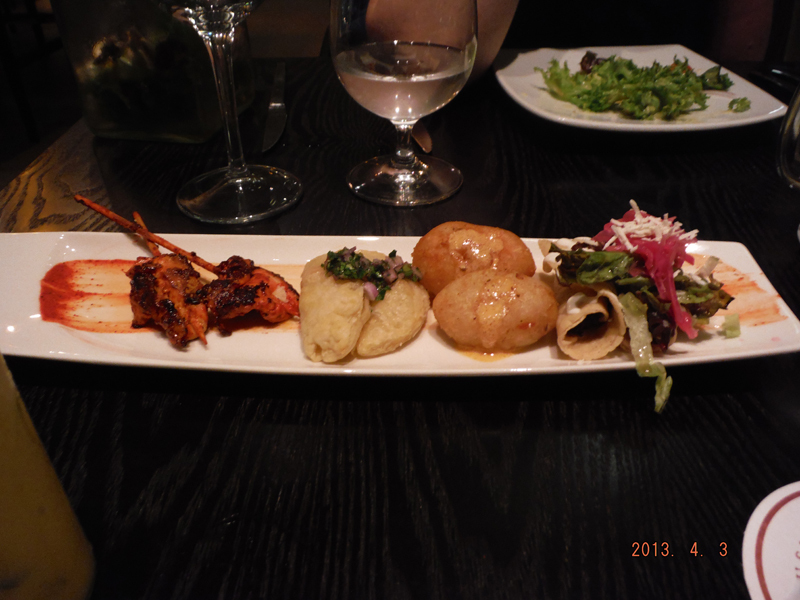 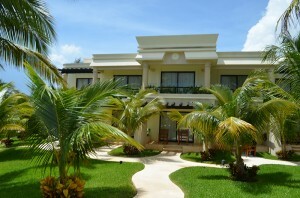 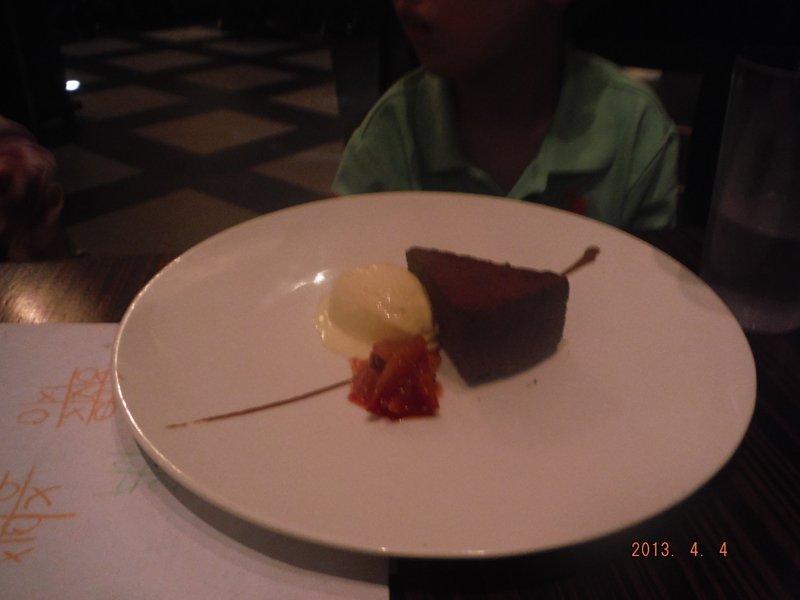 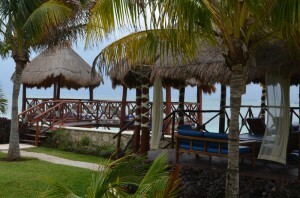 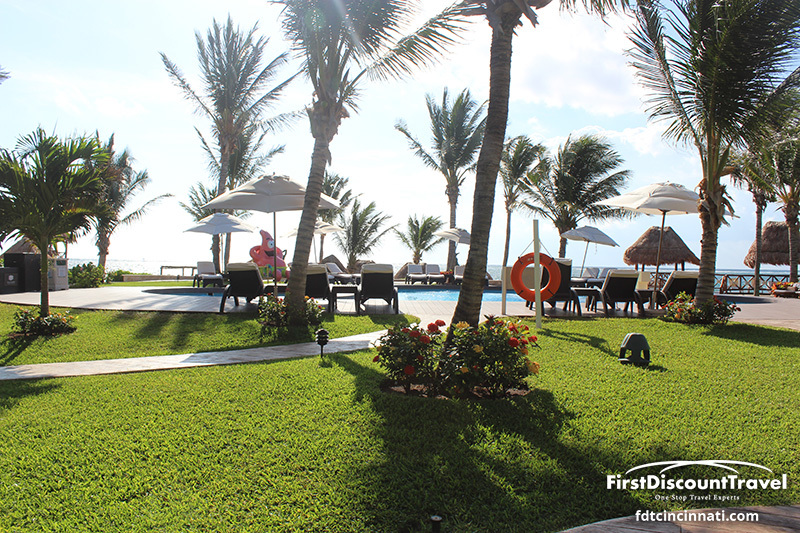 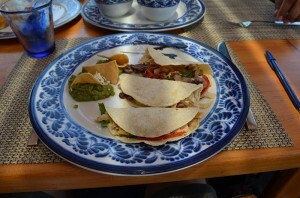 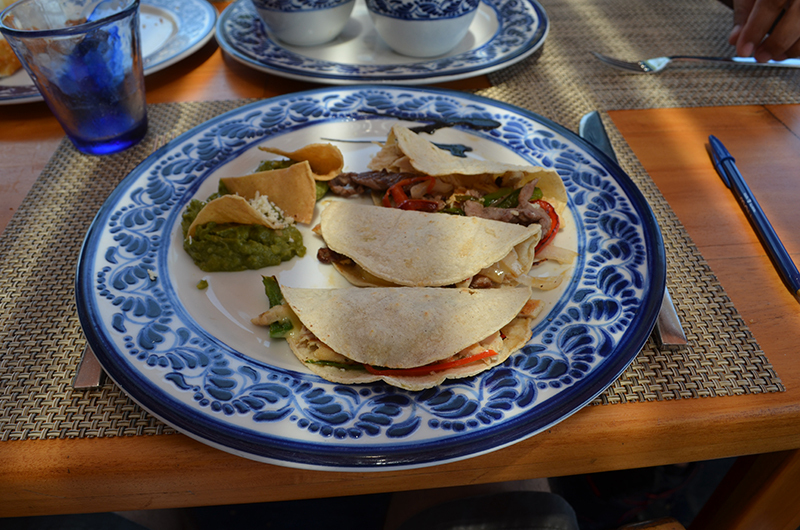 The Azul Beach is perfect for families, has fantastic rooms and I love the cuisine. 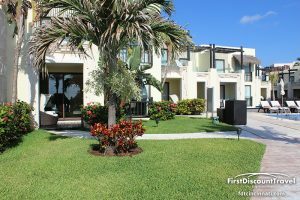 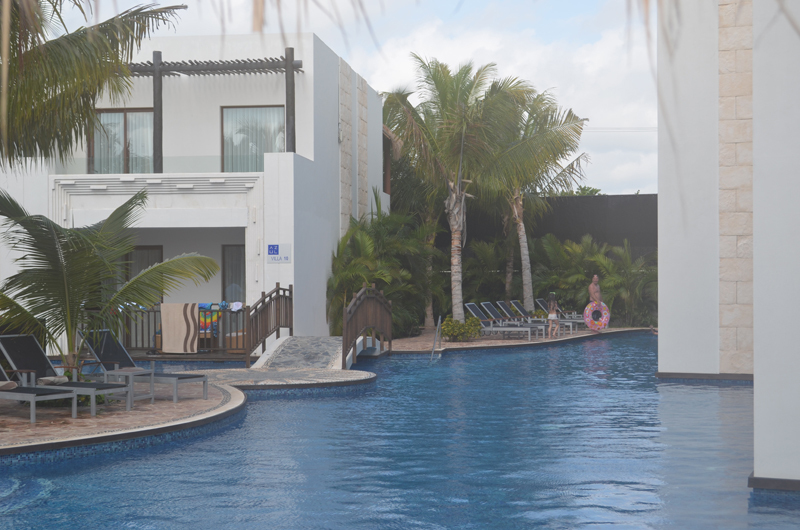 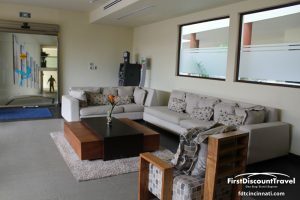 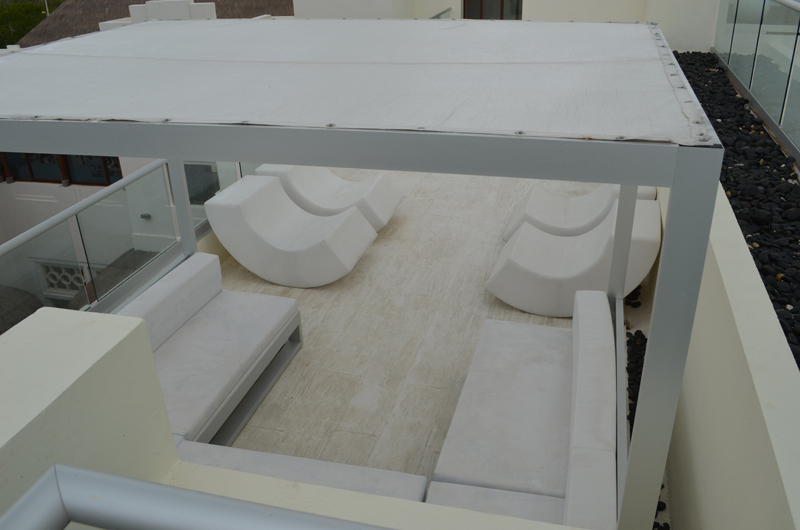 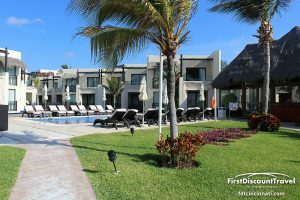 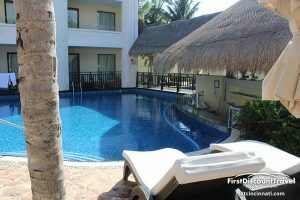 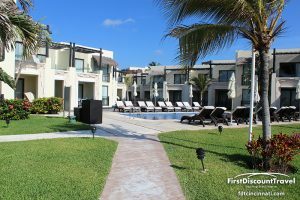 The major drawback to the Azul Beach is the lack of a huge pool and the best rooms (family suites) don’t have ocean views. This is my favorite family friendly resort in Mexico.